Learn Marvelous Designer to Quickly Create Realistic, Awesome Looking Dynamic 3D Clothes! 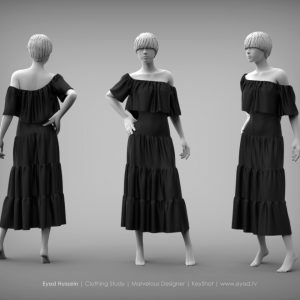 Quickly make beautiful and dynamic clothes for your 3D models – for games, animation films, commercials, online virtual catalogs, DAZ/Poser/iClone and for sale on SecondLife, Sansar, SIMS 4, Renderosity etc. Eliminate time waste and frustrations on lengthy self-learning attempts. 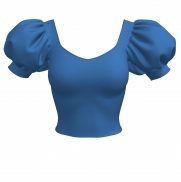 Even if you have NO sewing experience, never used MD before or don’t know how to make patterns, with our training you will speedily be able to create any clothes you need. 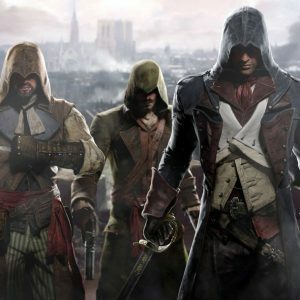 This training is designed for anyone; from complete beginners to intermediate/ advanced users who want to learn new techniques and advanced tricks, few others know. 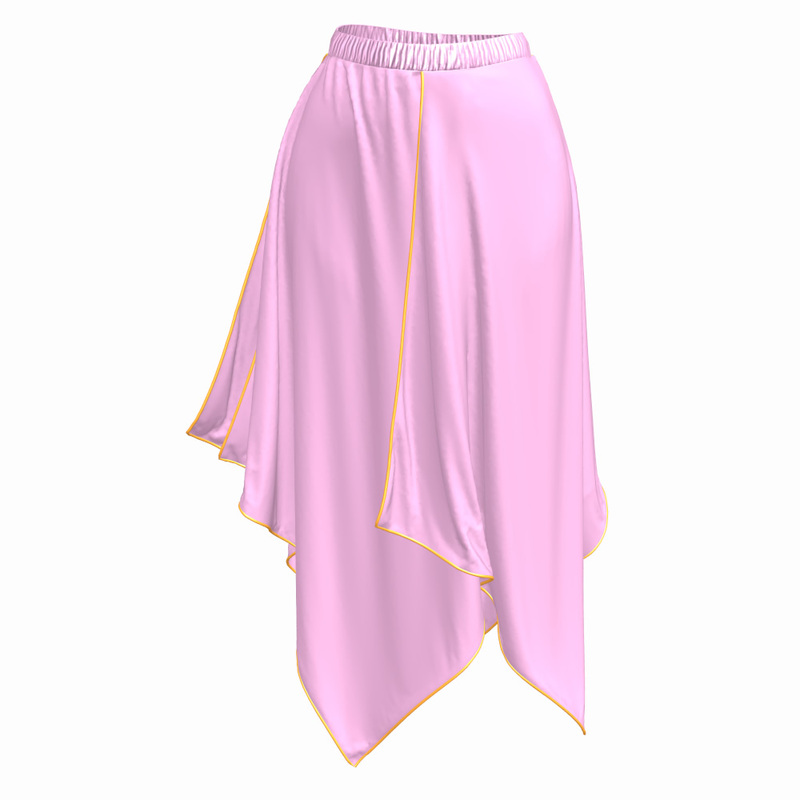 By watching my entire workflow, you’ll understand the logic of clothes making and you’ll be able to create any kind of clothing, even if there are no patterns or tutorials for them. 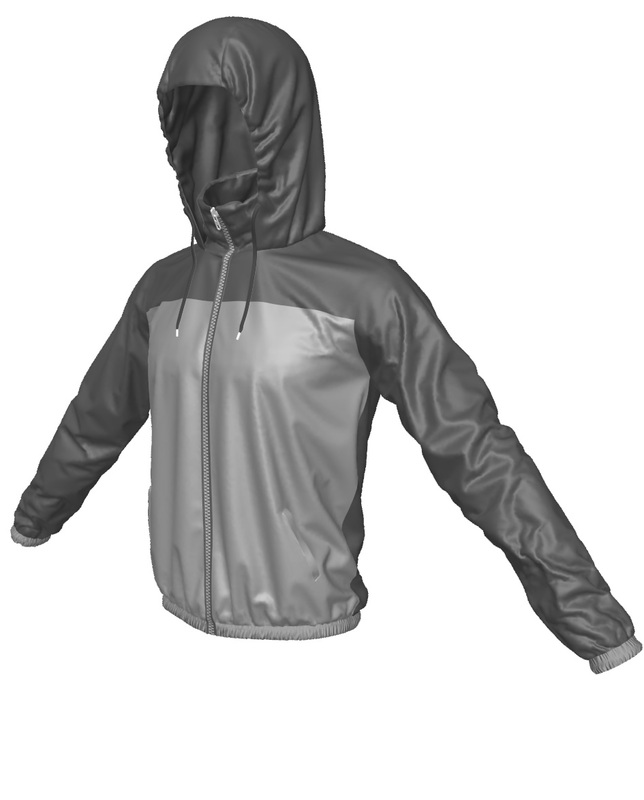 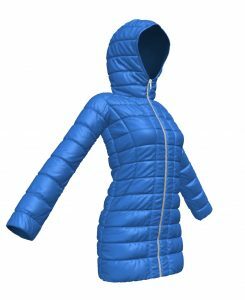 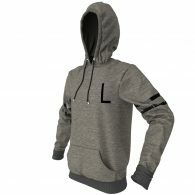 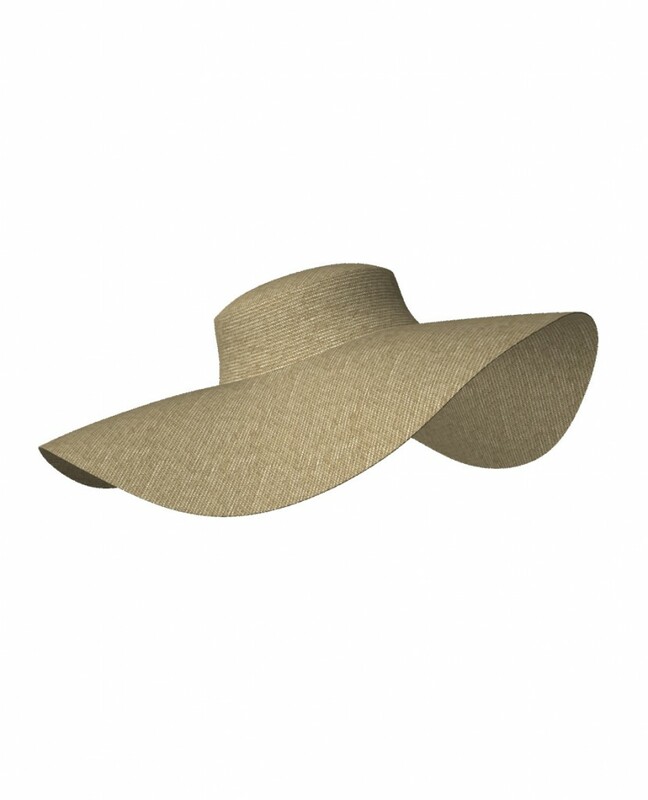 You’ll also learn how to solve any garment simulation problems that arise. 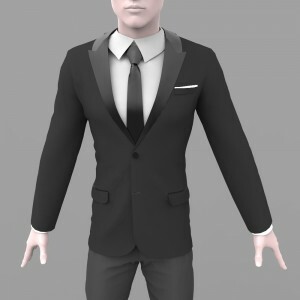 You’ll gain new skills and increase your job opportunities. 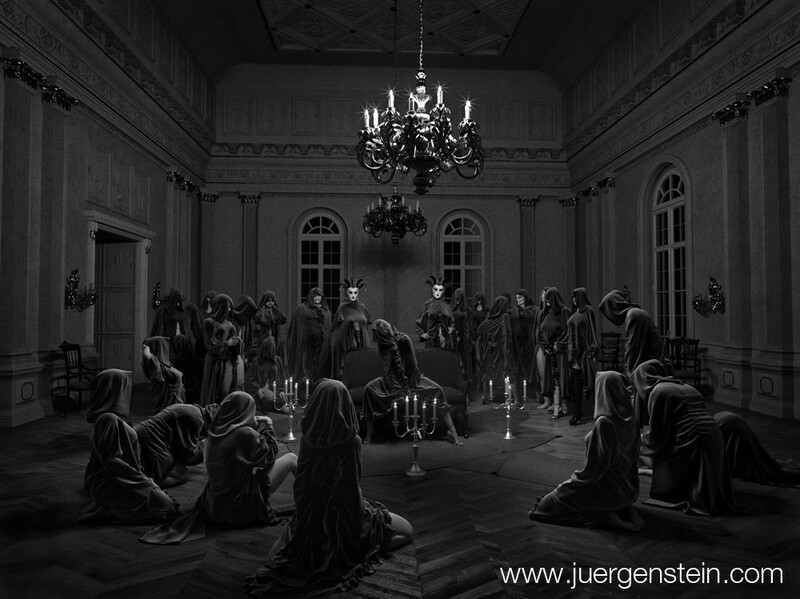 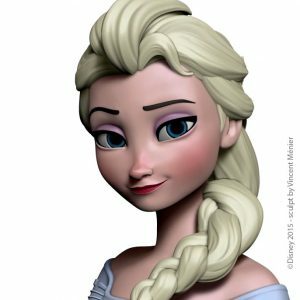 – Ryan Kingslien – first product manager of ZBrush, founder of ZBrushWorkshops and UArtsy, Certified ZBrush Instructor. 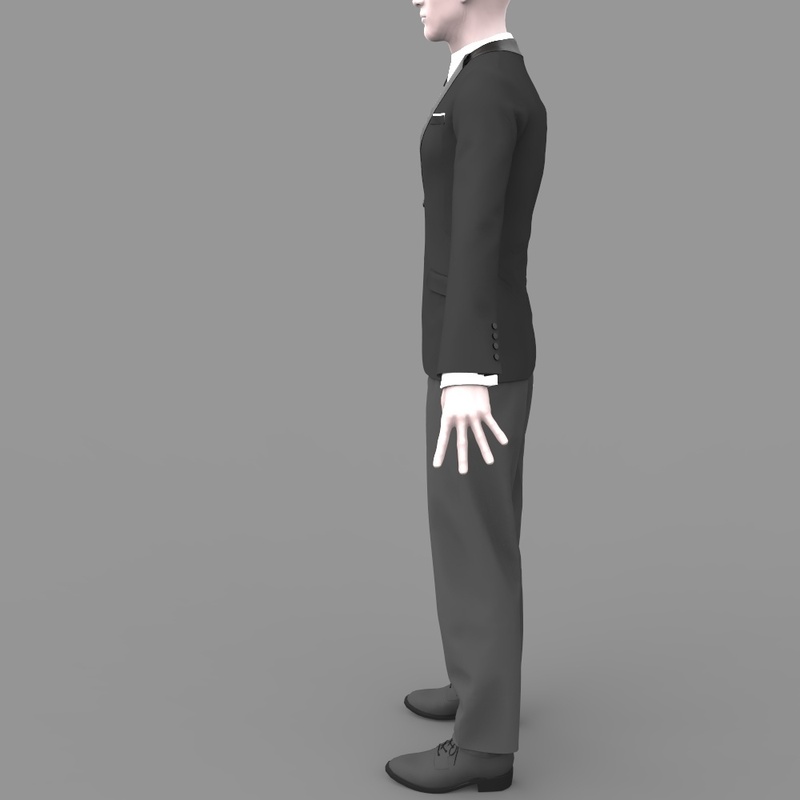 Delivery method: Video tutorials, 1080p HD quality. 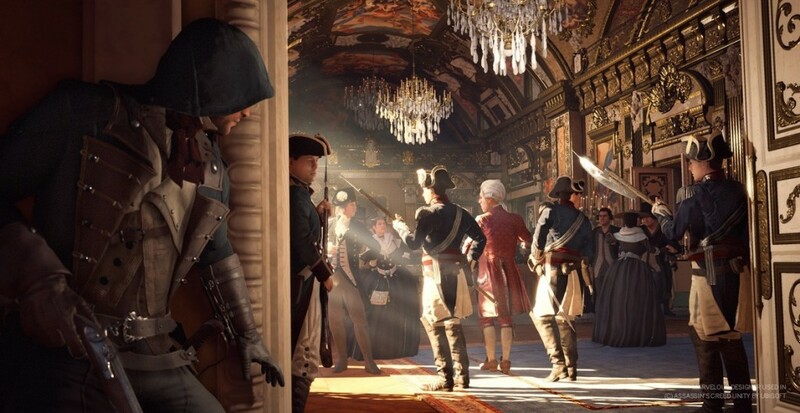 You will get access to online membership area. 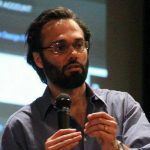 You can watch training in an orderly way, or jump to specific workshops you need for your projects, as needed, whenever you have time, day or night. 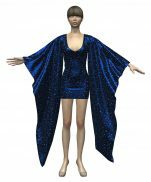 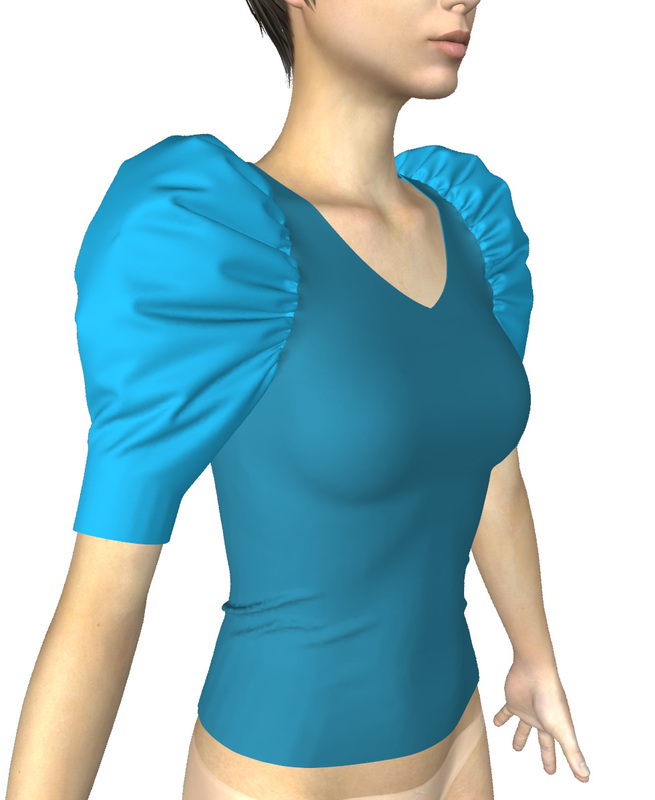 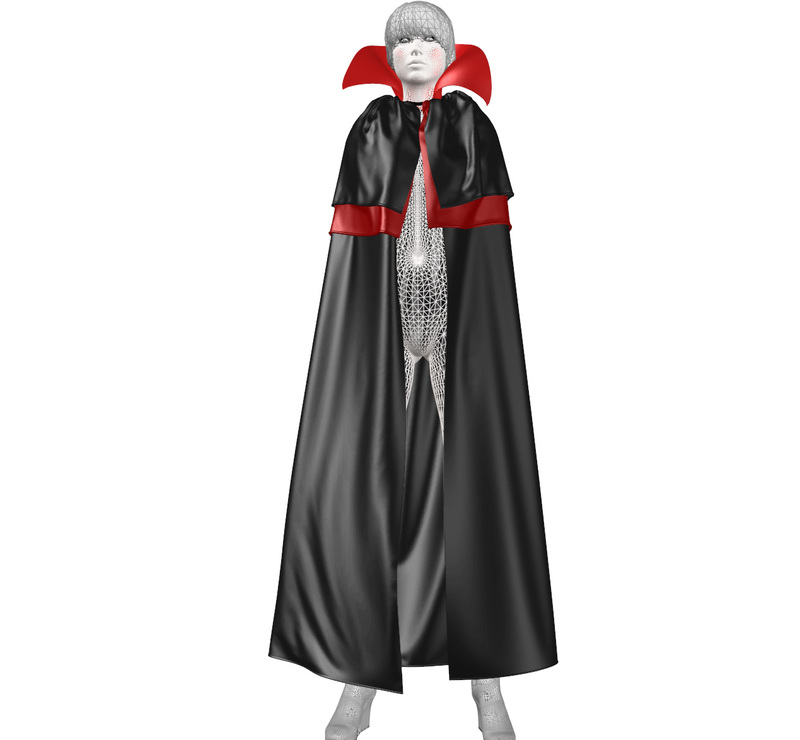 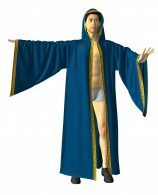 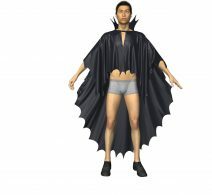 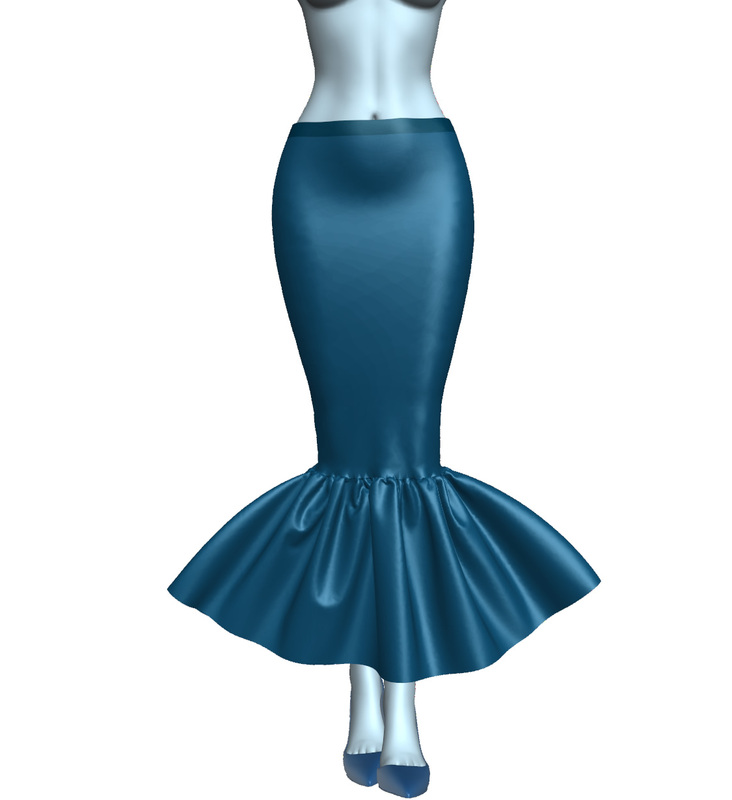 Marvelous Designer is a cutting-edge software for quickly creating dynamic 3D clothes for your 3D models. 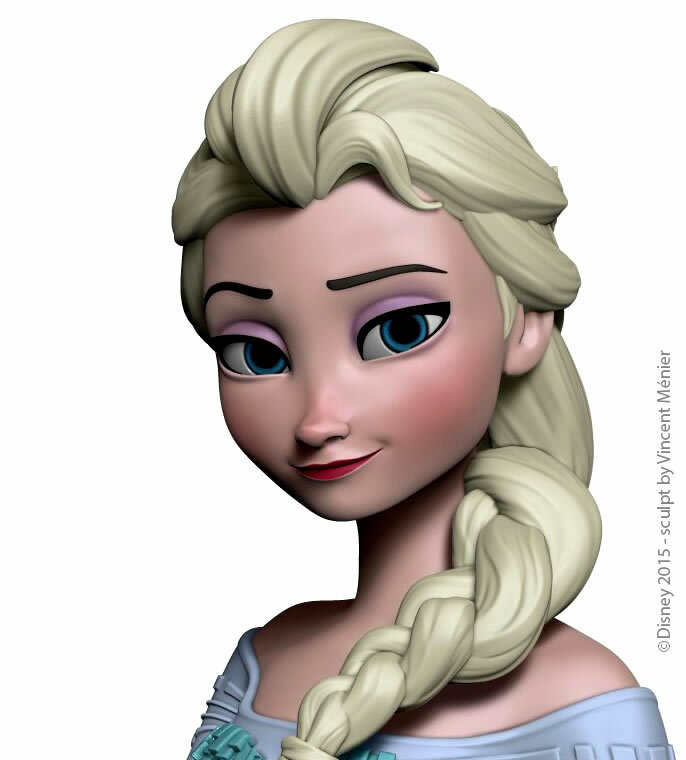 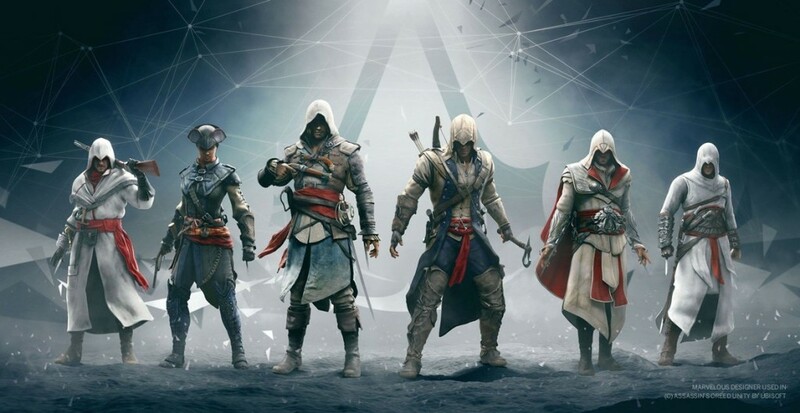 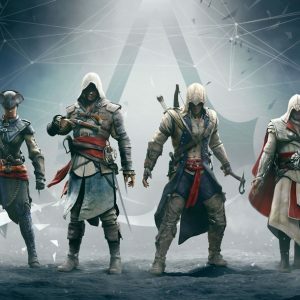 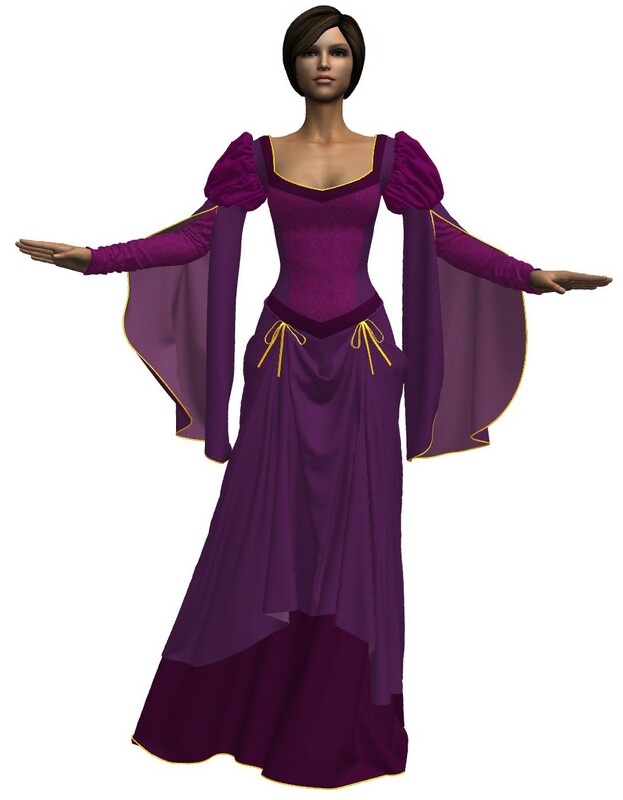 It is used in 3D games (i.e., video games, computer games, virtual worlds), animated commercials and for 3D animations and films (especially for digital doubles). 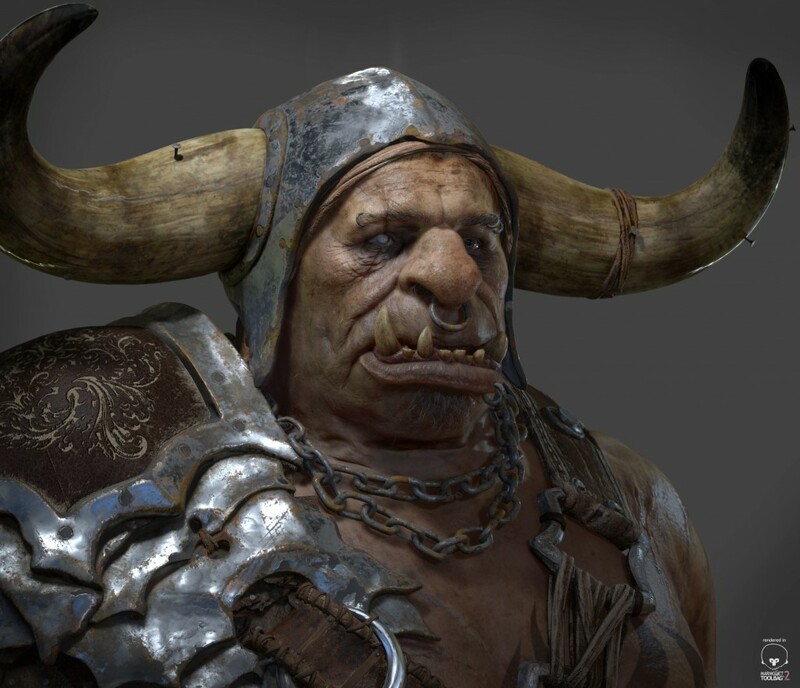 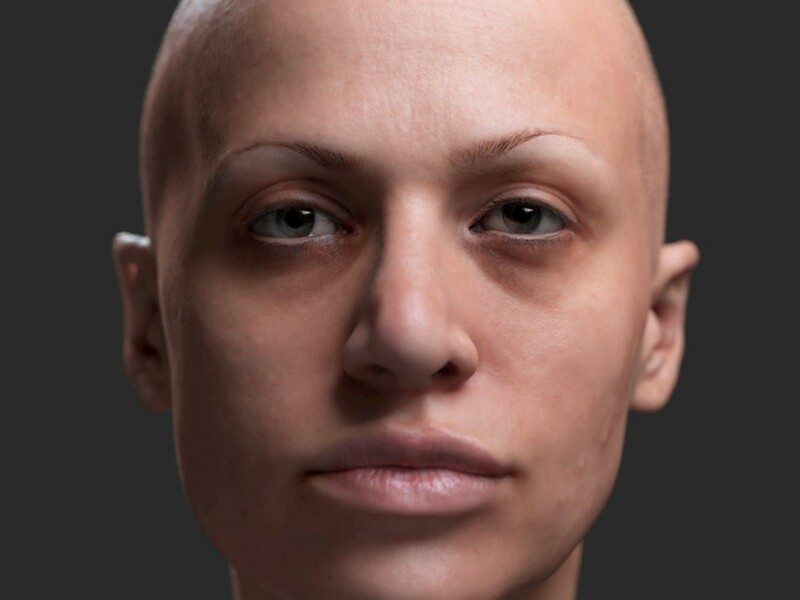 Traditional old-school 3D modeling and sculpting techniques require hours upon hours of hard work to produce perfectly real-looking wrinkles and folds in the garments. Additionally, you need to rig and animate the clothes and the results are never as convincing as with Marvelous. 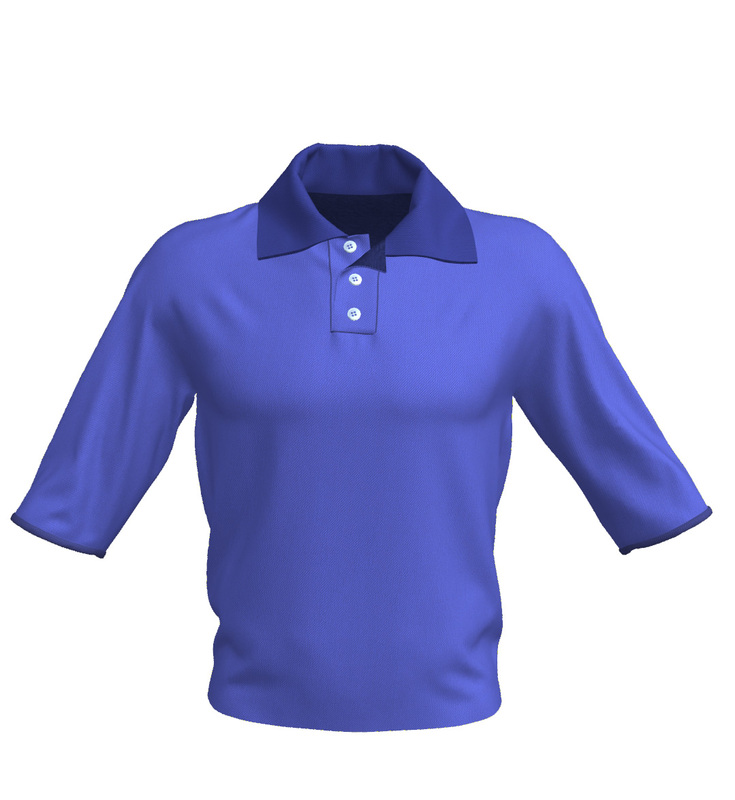 With Marvelous Designer you can save time and money. 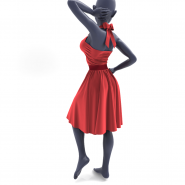 No need for sculpting and re-sculpting wrinkles every single time you change your 3D avatar’s pose, or when your art director changes his mind about the clothing design. 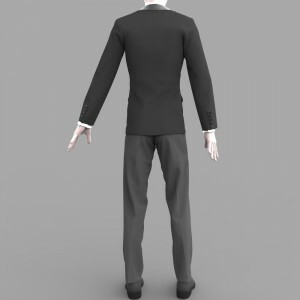 Animating clothes in Marvelous Designer is easy and fast! 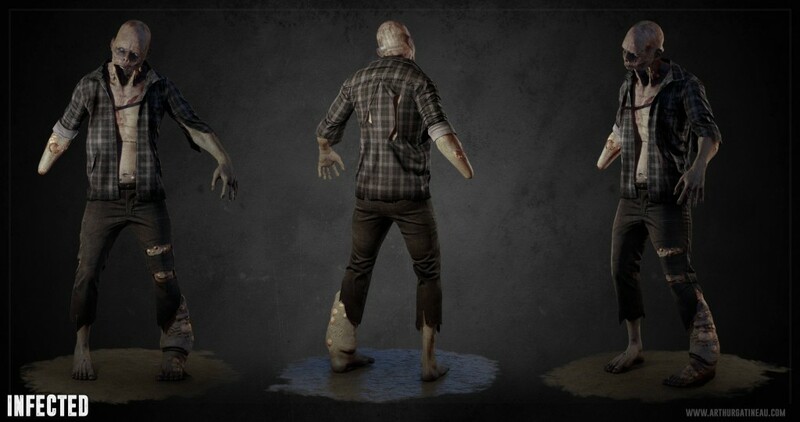 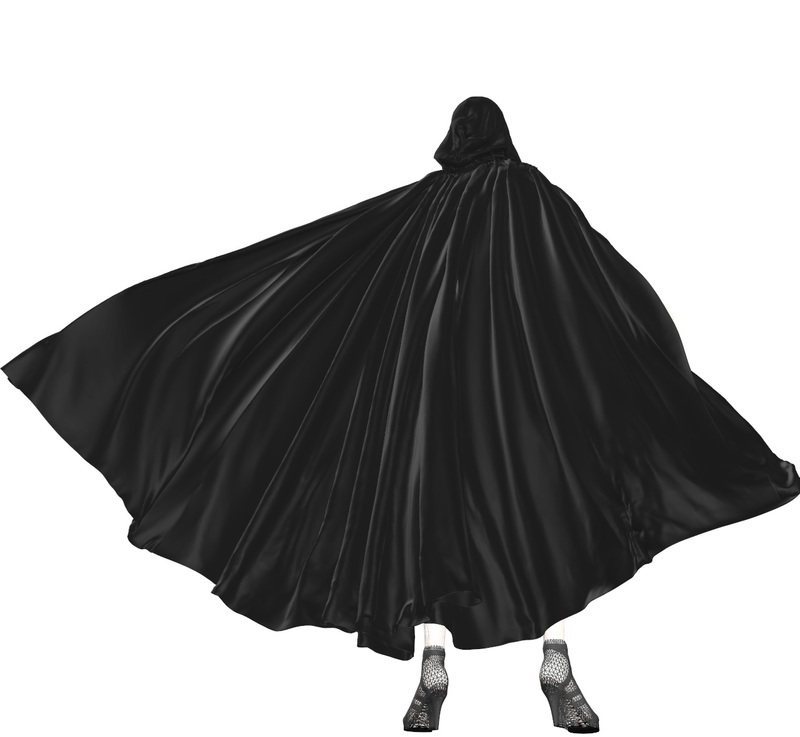 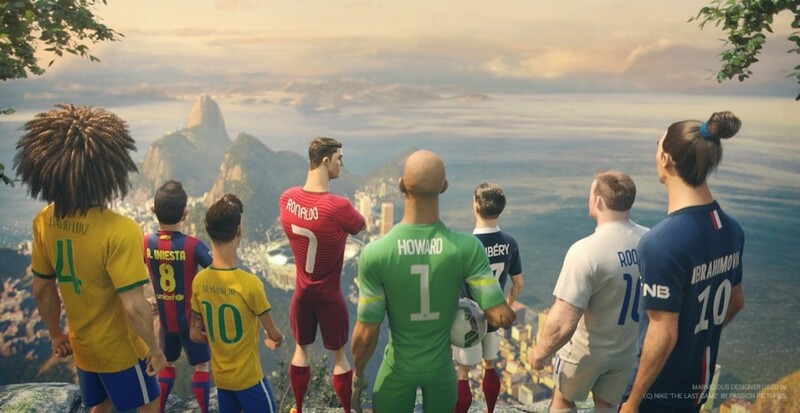 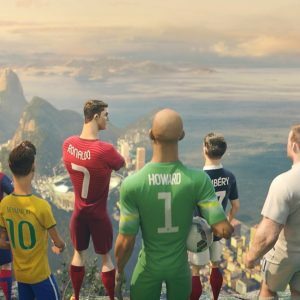 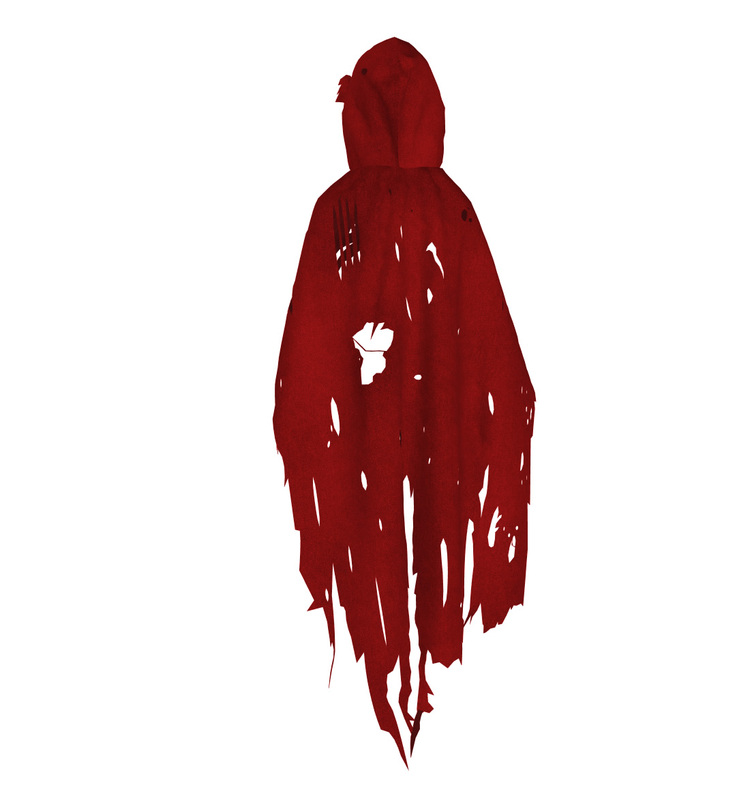 You can import your animated models and even add wind to blow your clothes and capture realistic fabric movement. 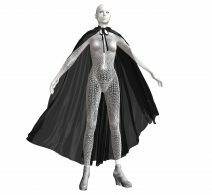 Marvelous Designer perfectly fits into your production pipeline – you can import and export data between various modeling and animation software programs, such as Maya, 3DS Max, Softimage, Modo, and ZBrush. 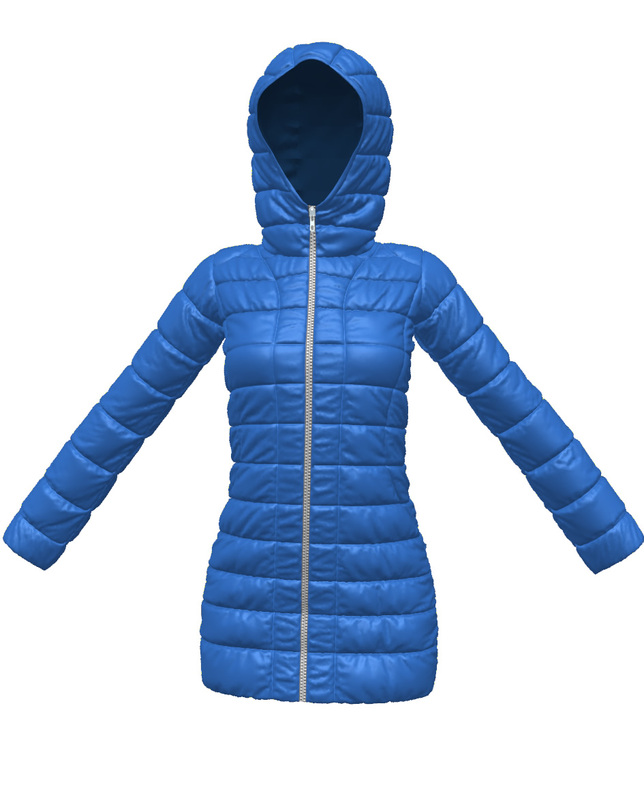 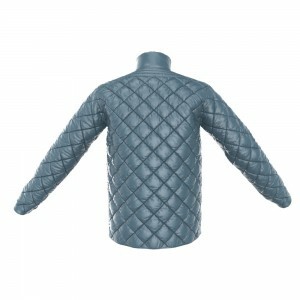 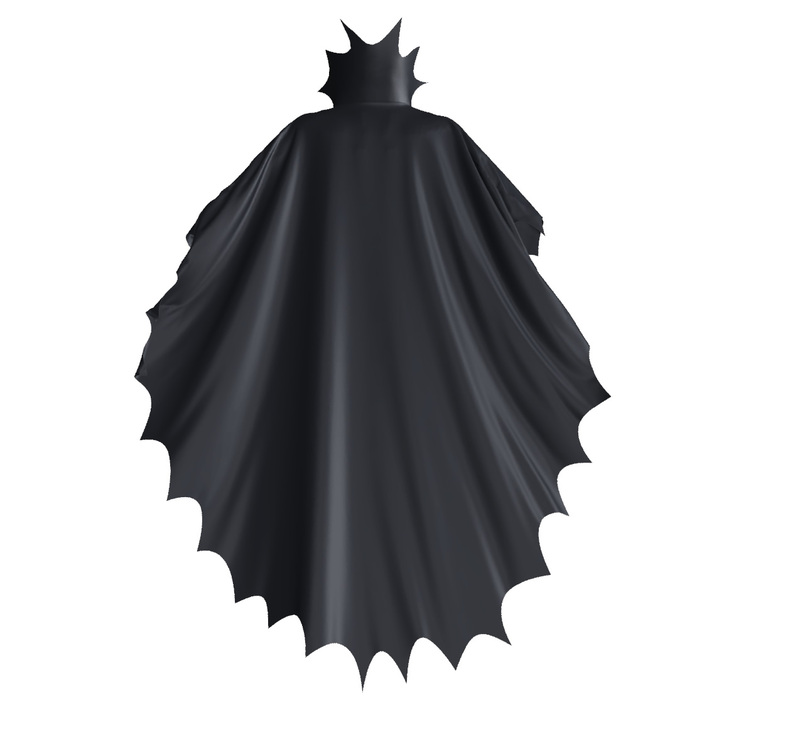 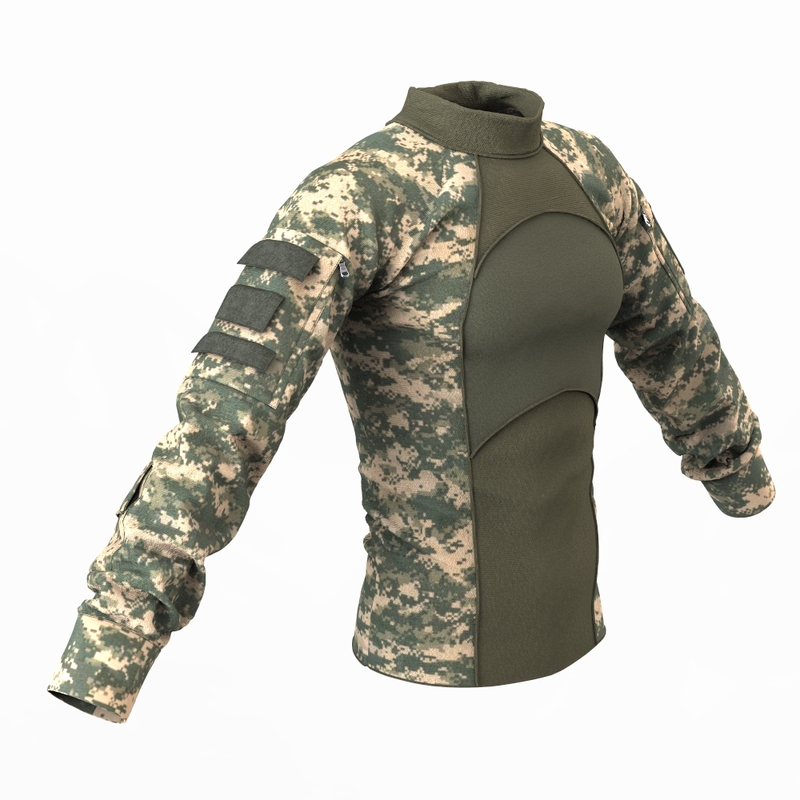 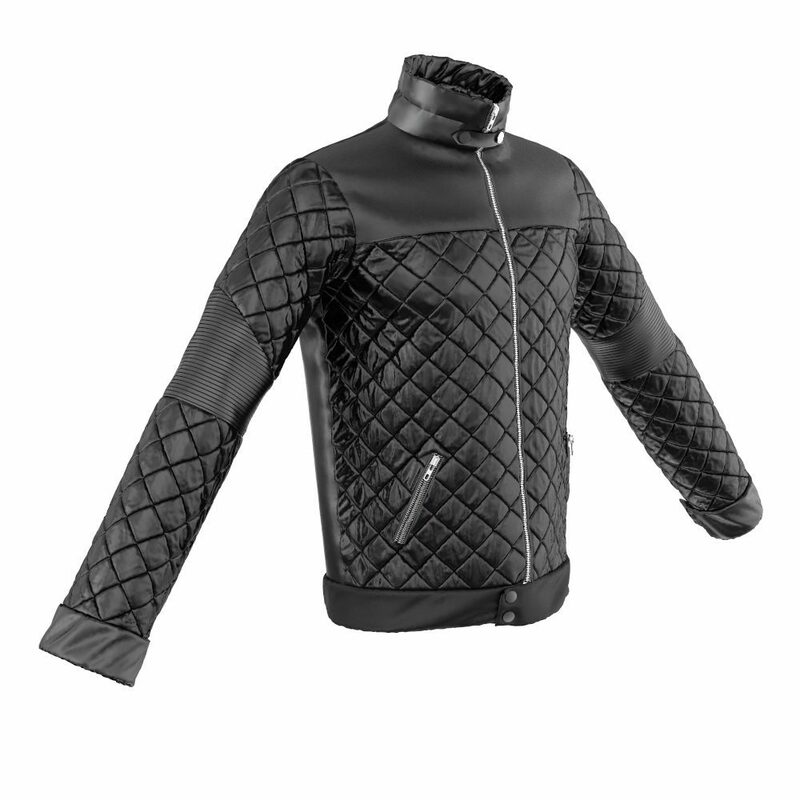 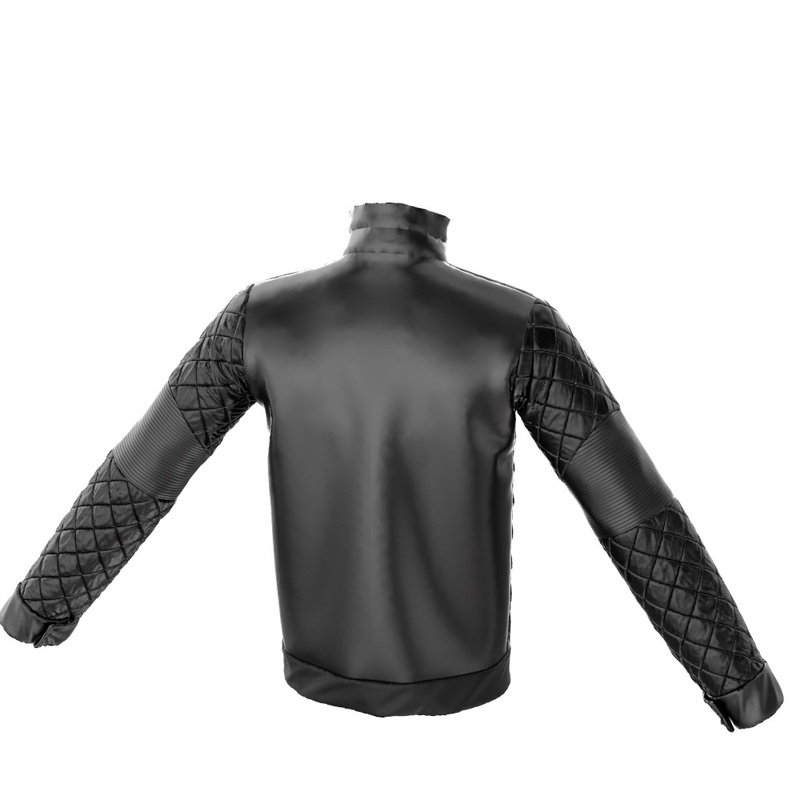 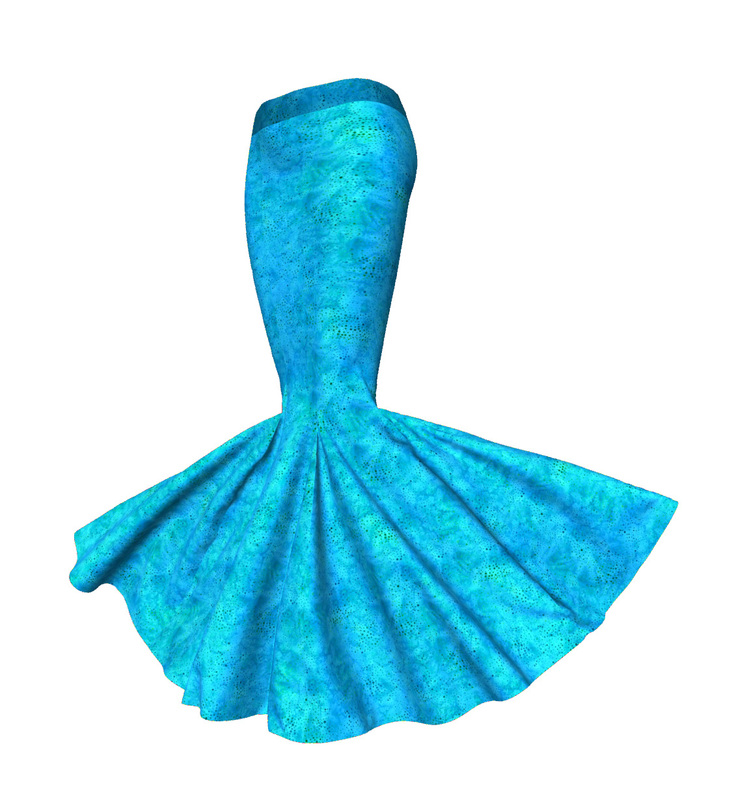 In addition, all your UVs are laid out for you in MD which makes texturing your 3D garments easy. 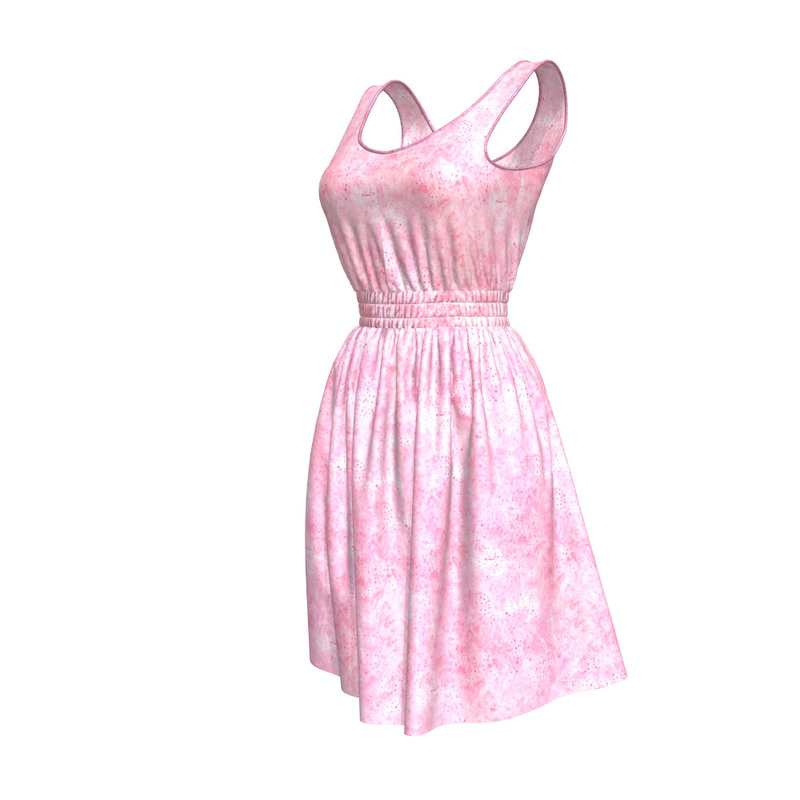 Oh, and BTW… You don’t need to know how to sew in order to use MD – our Marvelous Designer training teaches you all about virtual 3D clothes making. 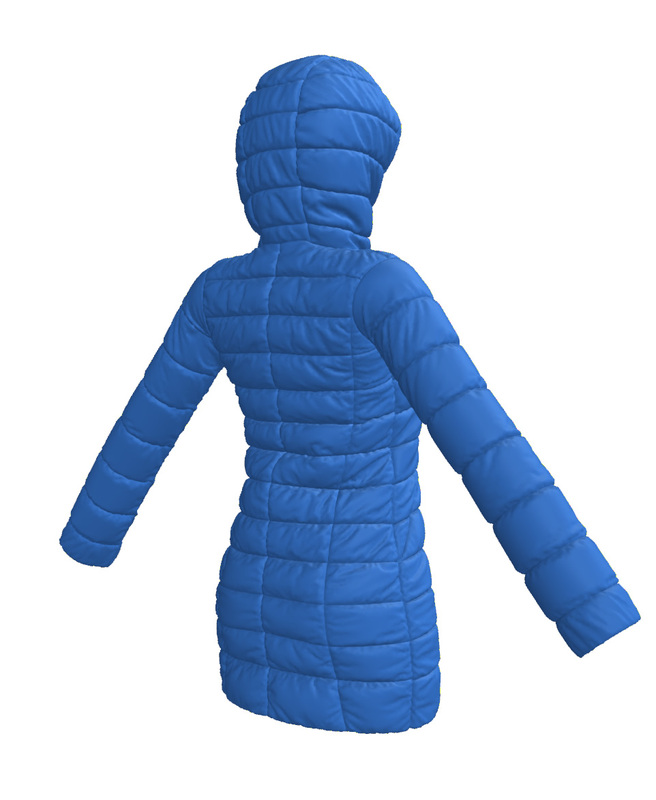 What Import and Export Formats Does Marvelous Designer Support? 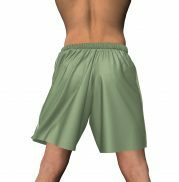 Mesh Format: Quads or Tris. 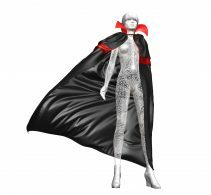 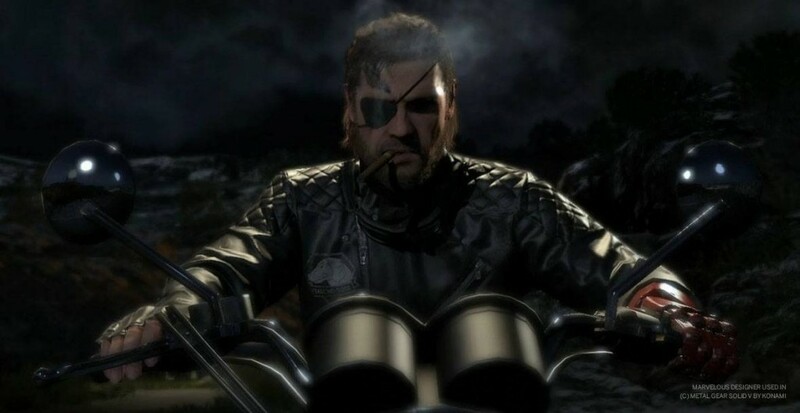 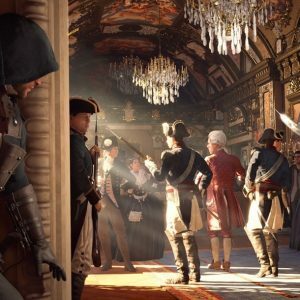 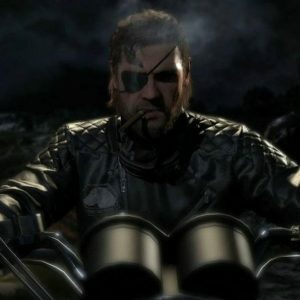 What Do Leading Studios Say About Marvelous Designer? 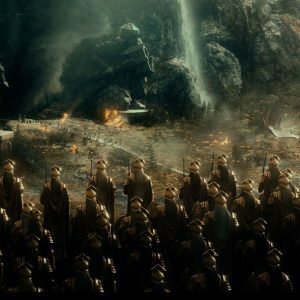 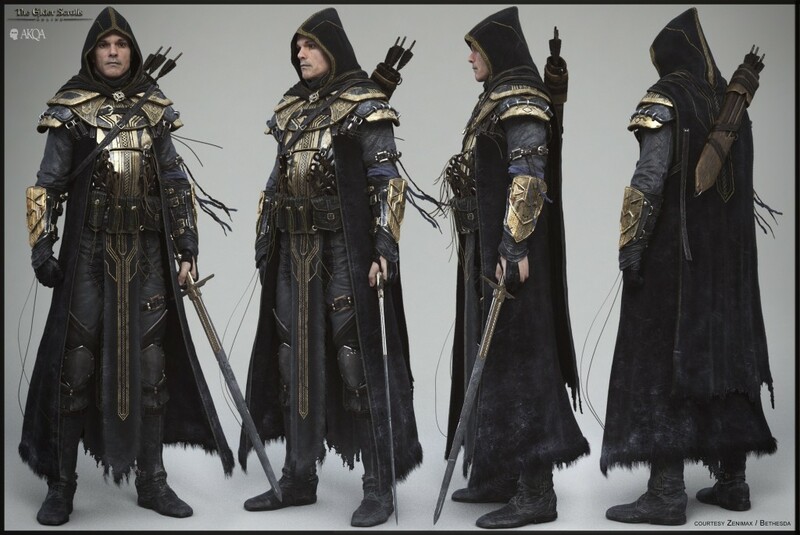 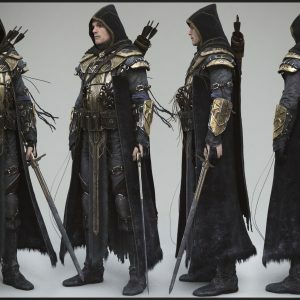 “ For The Hobbit we wanted to create a larger number of clothes that would be indistinguishable from the behaviour of real clothes when simulated. 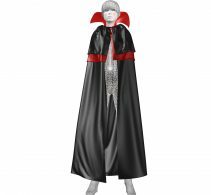 To do this we chose a pattern-based approach at the modelling stage that could accurately create the volume of the real clothing. 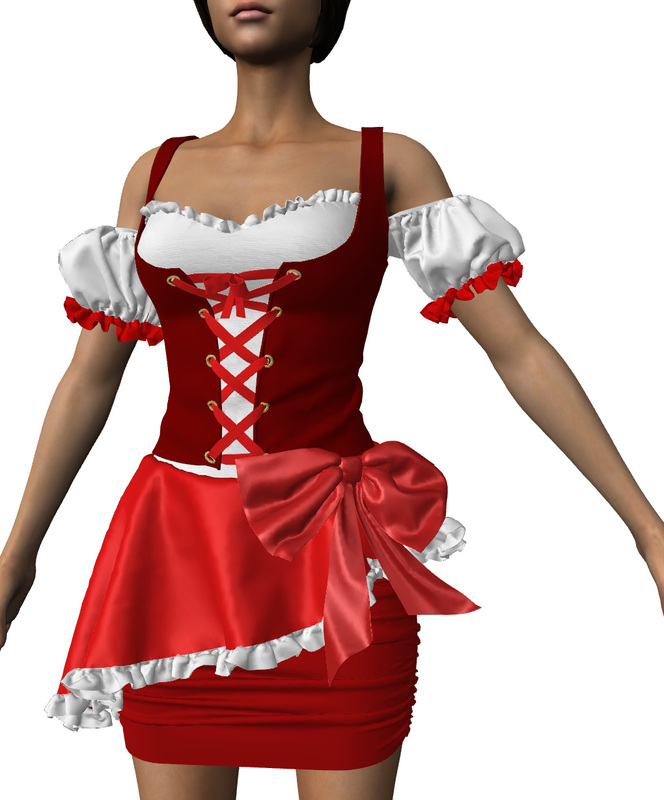 “ Marvelous Designers simulations are better than any other package on the market. 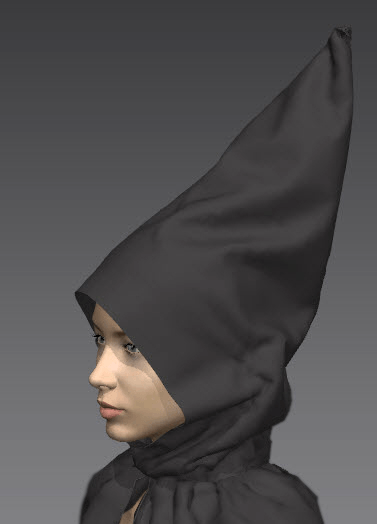 I think Marvelous designer made the same type of impression to us artists as Zbrush did back in the days. 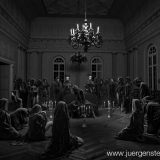 It’s so powerful that it completely changed our workflow for the better..
“ I definitely recommend Marvelous Designer to cg artists who are looking to save lots of time and take the guesswork out of creating credible cloth. 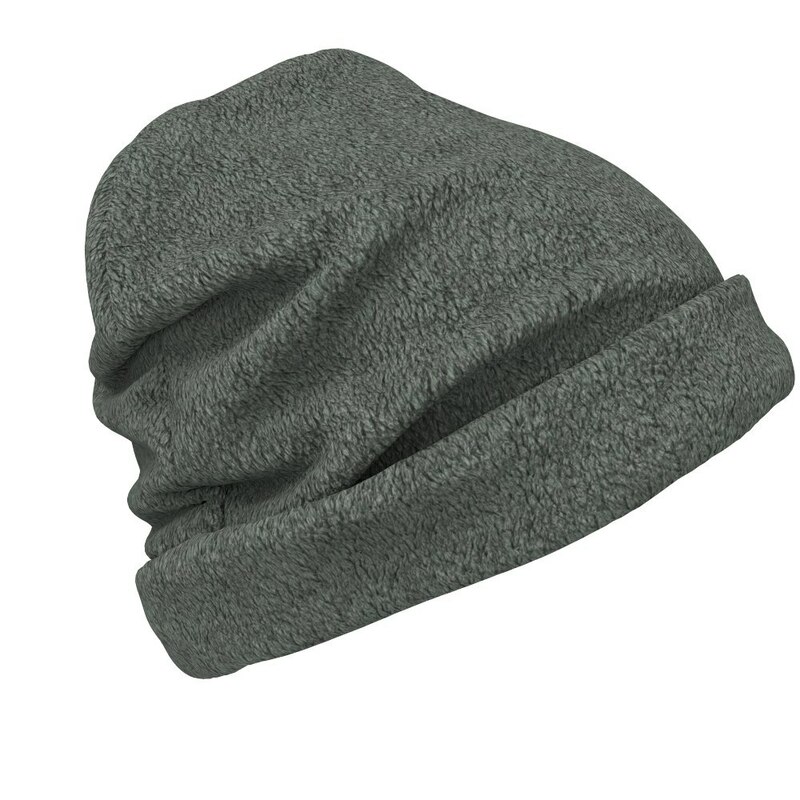 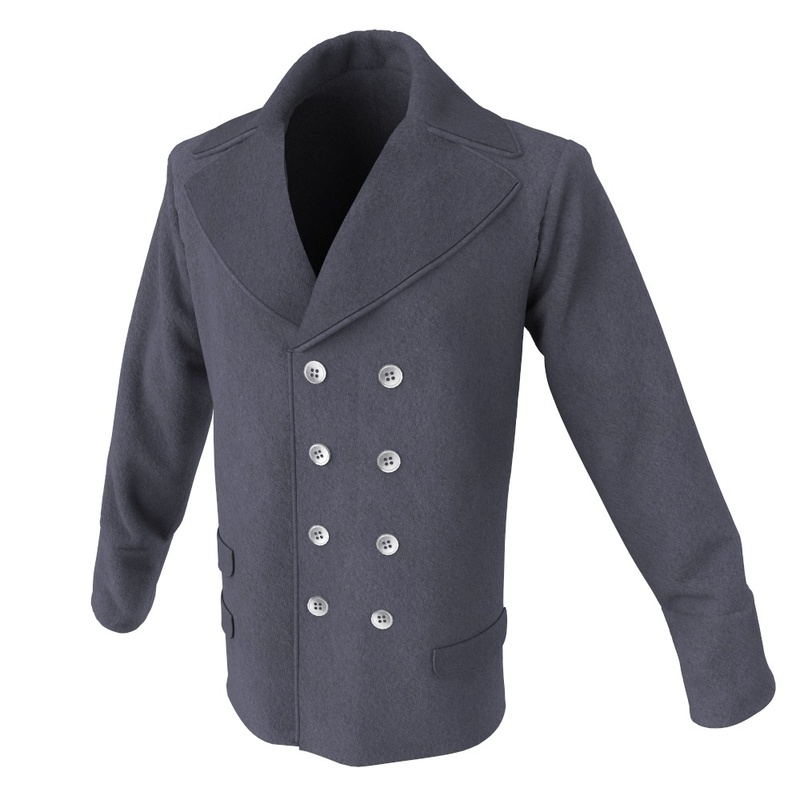 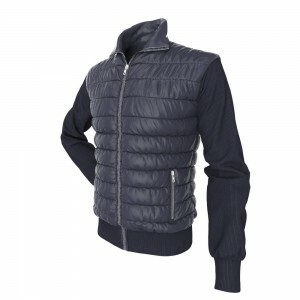 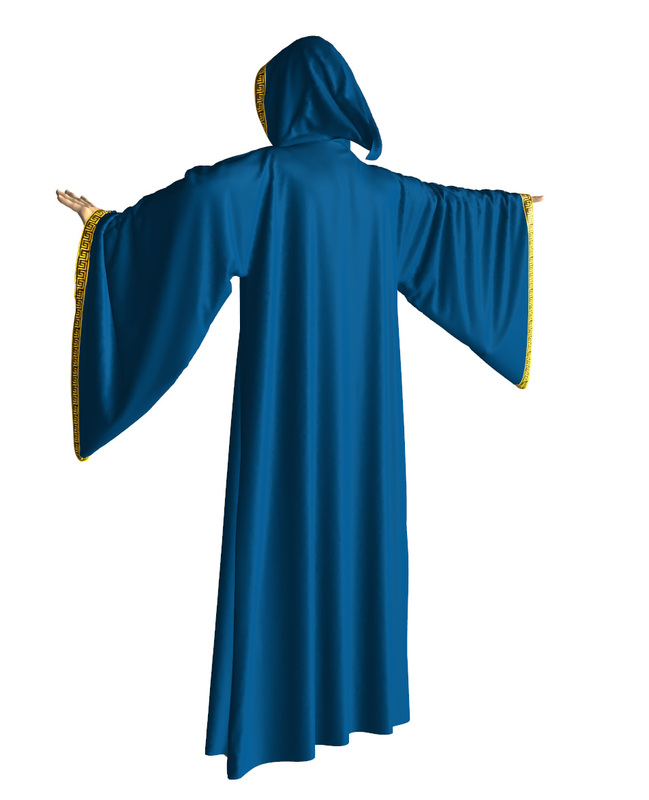 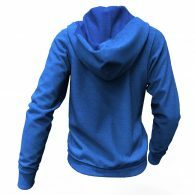 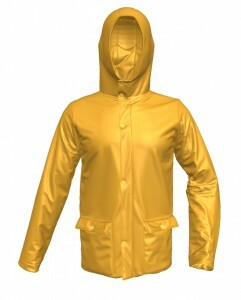 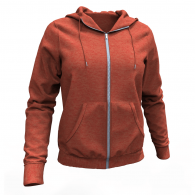 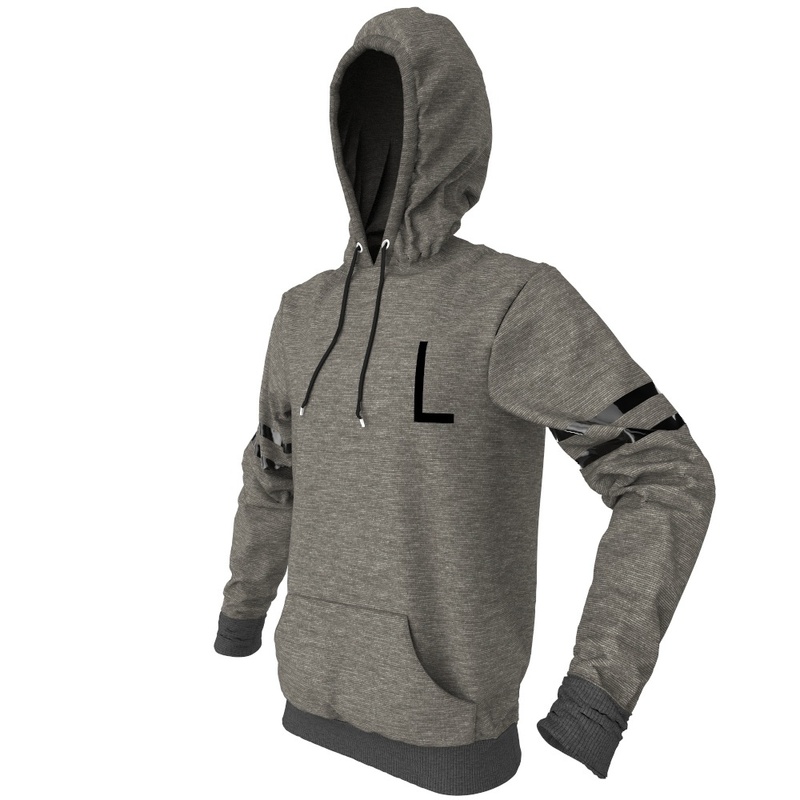 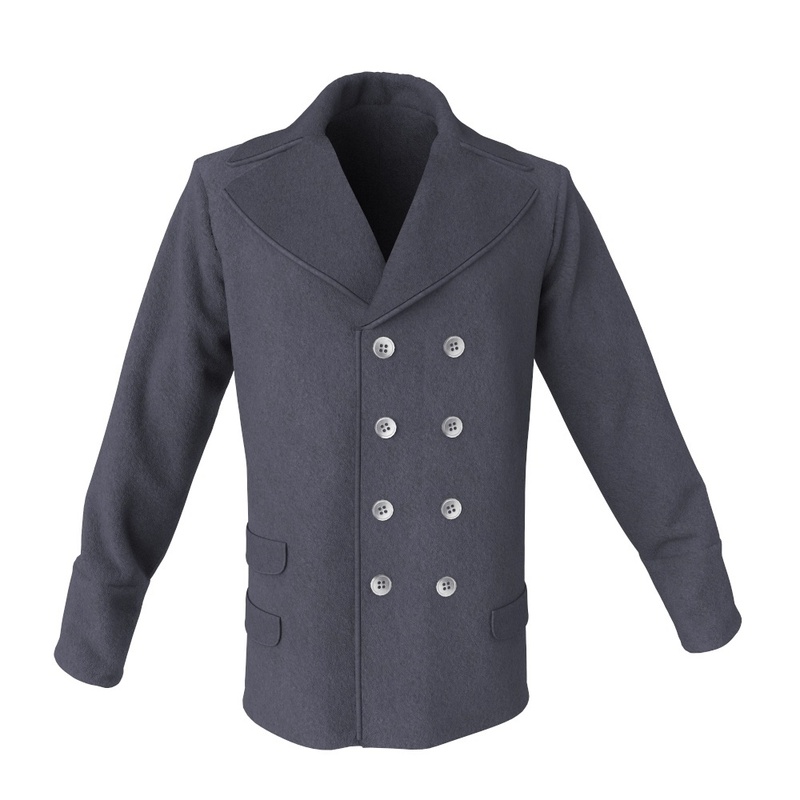 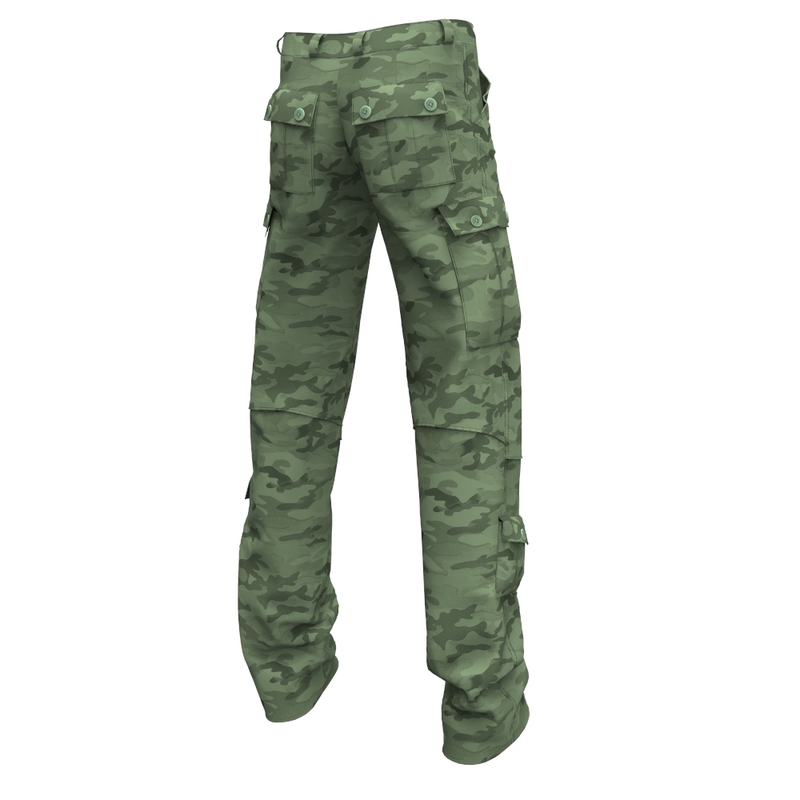 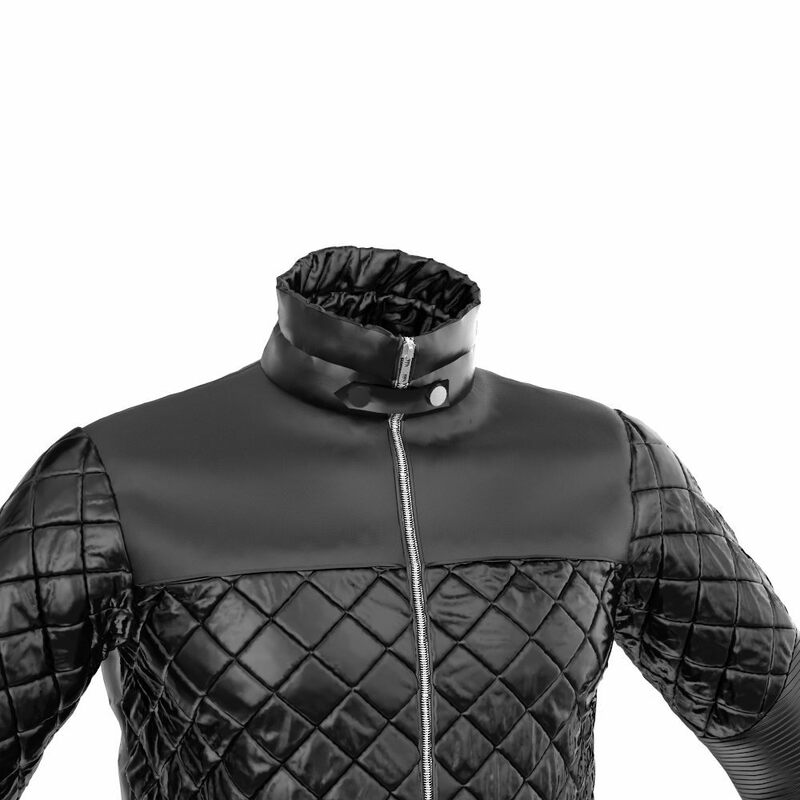 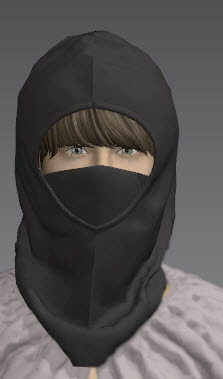 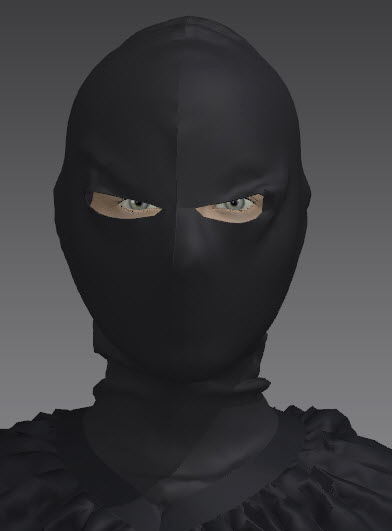 Marvelous Designer is a very consistent and easy way of getting ultra-realistic clothing quickly which is extremely important on productions. 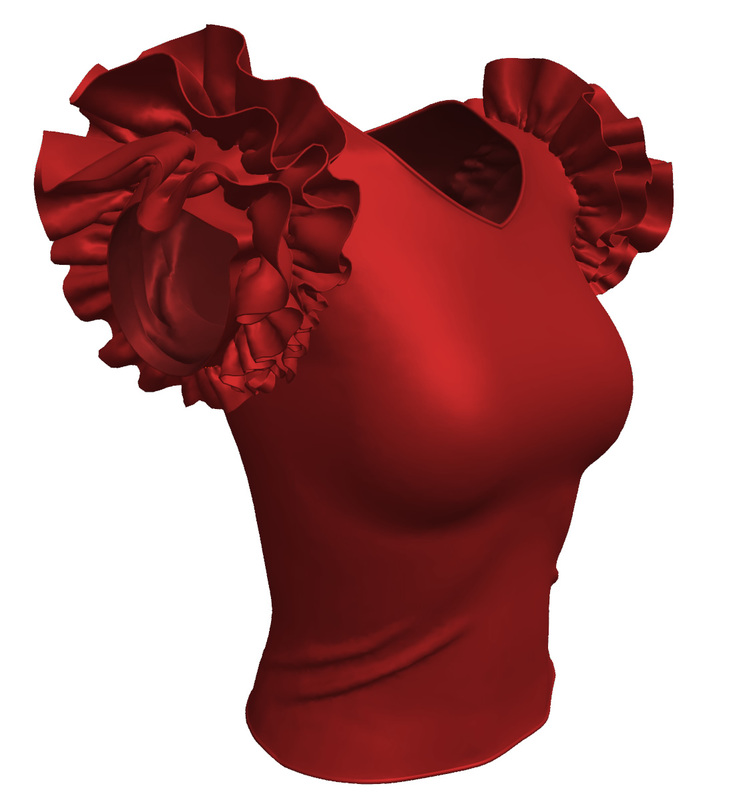 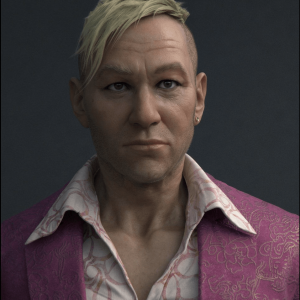 “ I really enjoyed the fact that the simulated cloth models automatically had UVs right from the start, which is basically your pattern you built the garment with. This was useful for me in such cases where I would apply patterns/fabric details to the garment or paint stuff like stitching in Photoshop and apply it to the 3d model afterwards as a map..
“ Marvelous Designer has become a fundamental part of our toolset for creating digital garments and cloth simulations, I’m yet to see another system that allows you to model and visualize how a garment will look in its draped form. Also the way it handles multiple layers and detail, with such speed, accuracy and stability is simply amazing..
“ Virtual representation of clothing has always been a big challenge in the area of modeling. 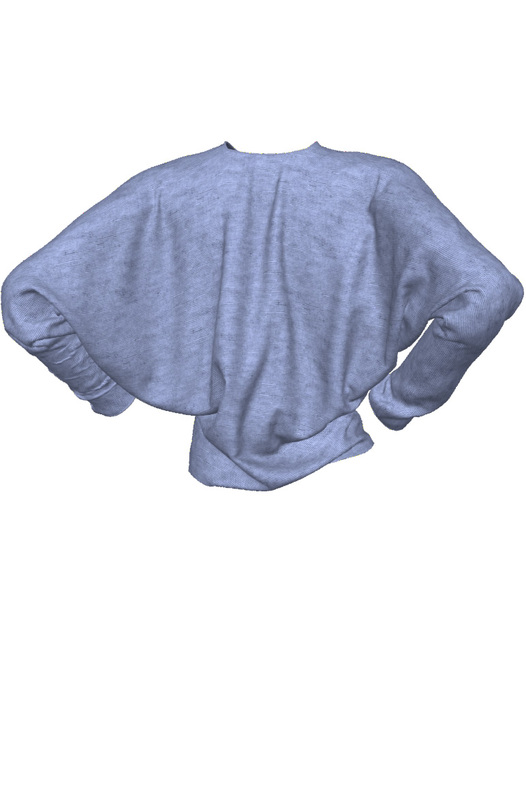 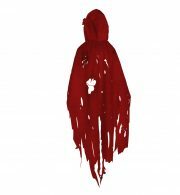 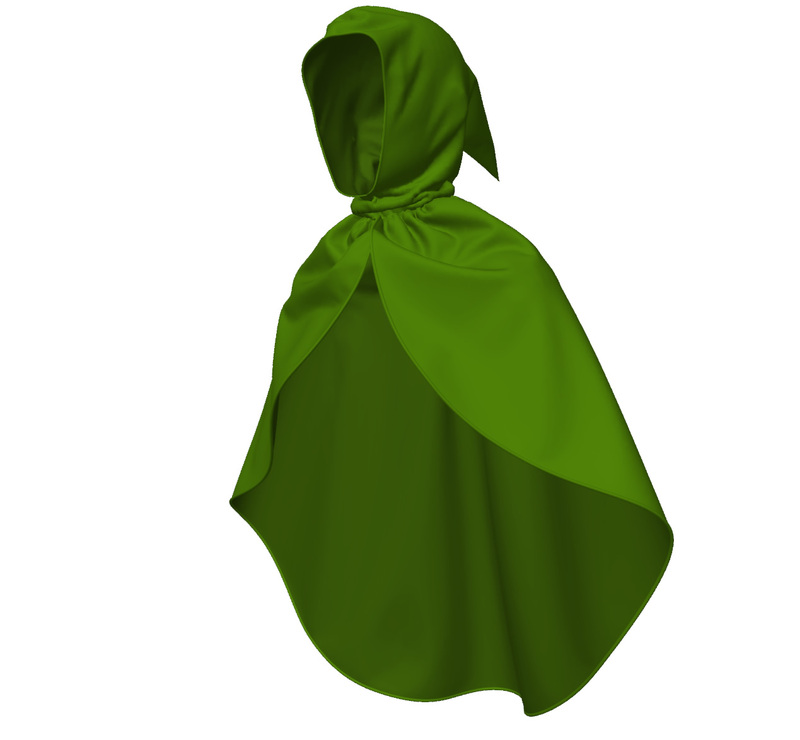 We have been widely researching from multiple cloth simulation tools to 3D scanning system, but MD was the only product to fully meet our requirements from quality, functionality, speed, and data compatibility. 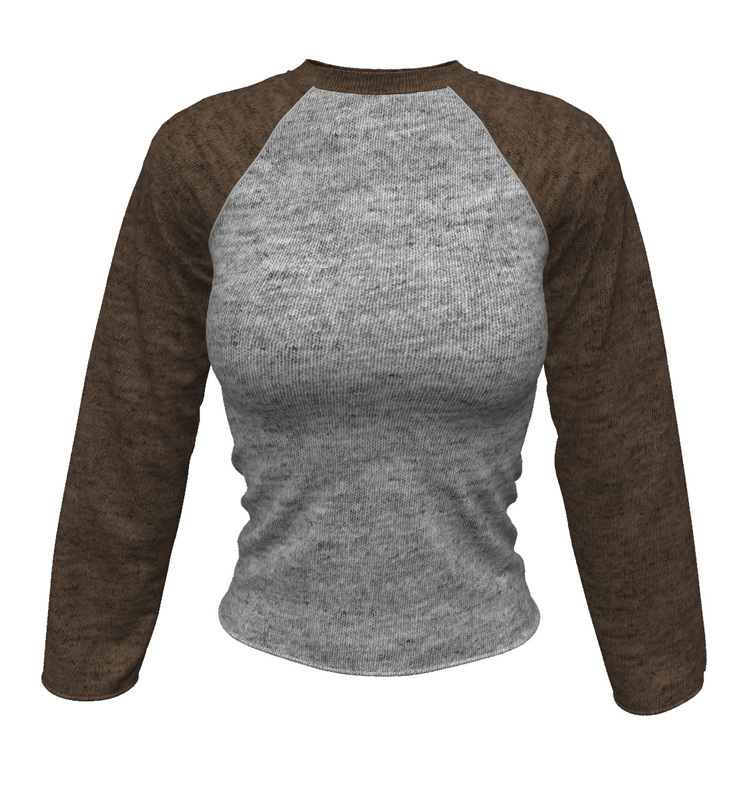 The most powerful advantage I would say is the overall features..
Plus thousands of CG artists creating clothing for games, films, book covers, 3D printables, marketplaces like DAZ, Renderosity and more! 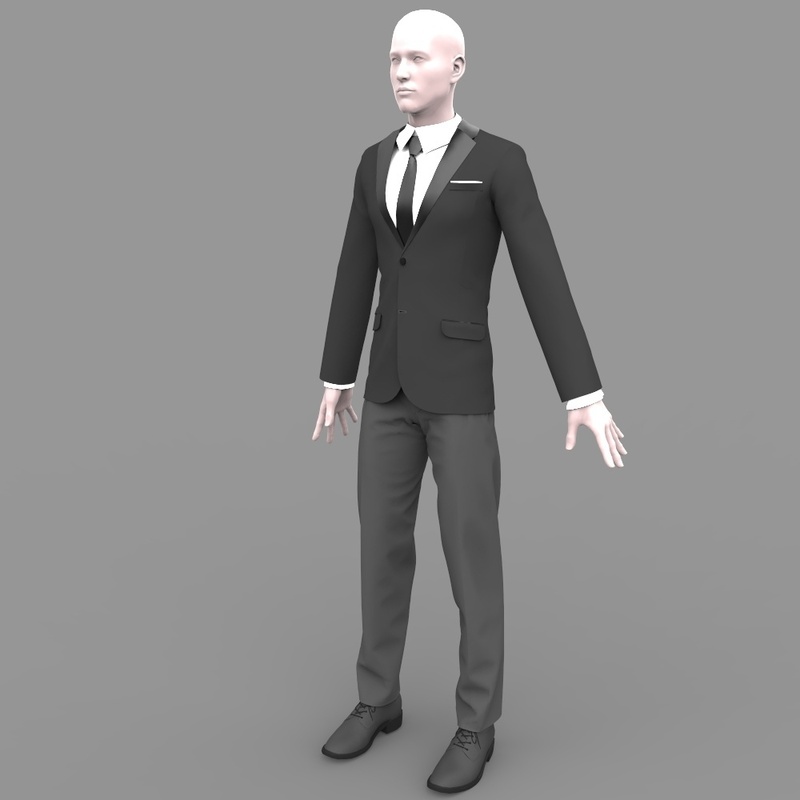 How Will Our Marvelous Designer Training Help You? “ Hey Camille, honestly speaking you did a great job. You introduced each tool in most simplest way possible. 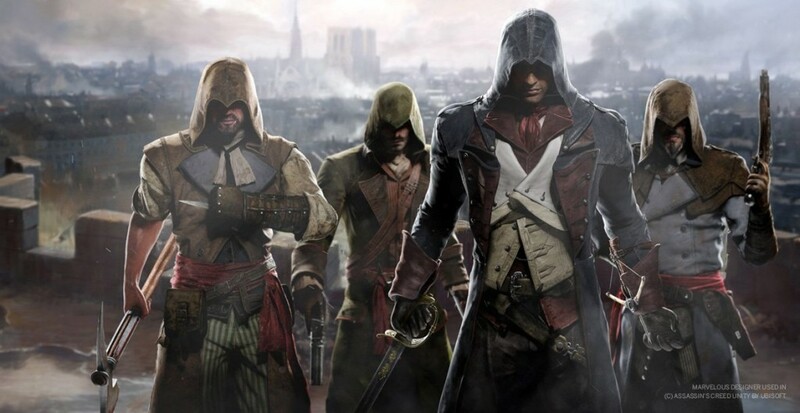 With dos and dont… Awesome job ..i loved it. 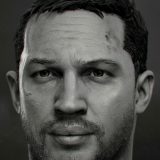 Its really good. 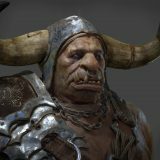 Easy to understand and full of info. 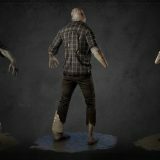 “ I was impressed with the amount of tutorials! Really many examples showing step by step how to build various types of clothes, from the simplest to the most complex. 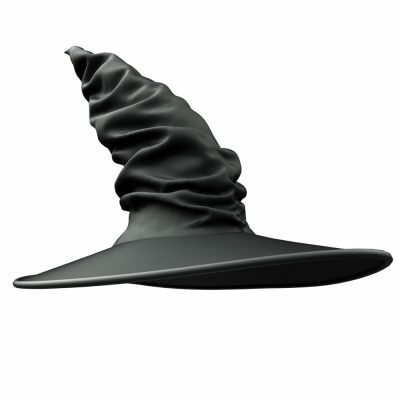 A course that caters to all levels of learning! 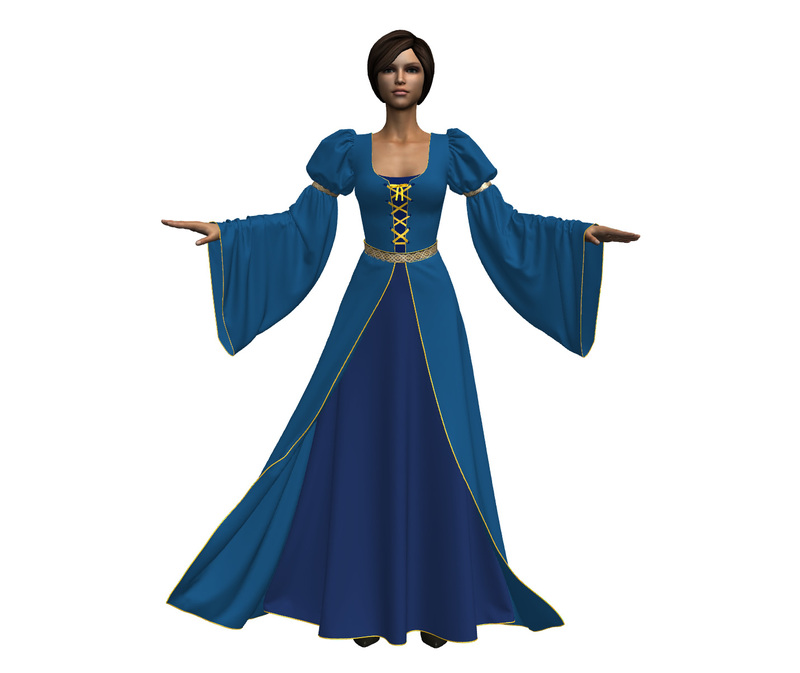 “ I have to tell you, the tutorial series is awesome… I’ve learned so much! 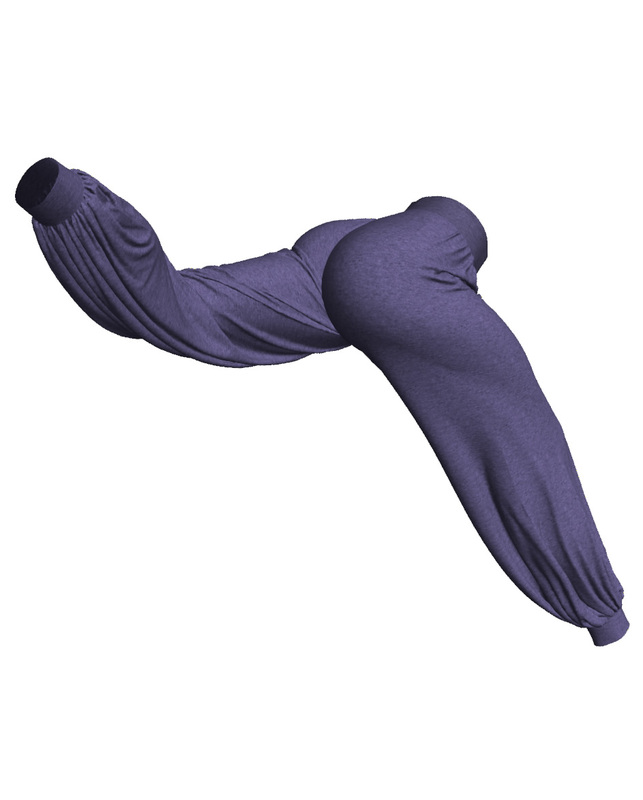 Thanks so much for a wonderful product. Our Marvelous Designer training program is divided into 2 sections; a complete beginners introduction to the Marvelous Designer software and step by step workshops covering the entire workflow of creating intermediate and advanced 3D garments. 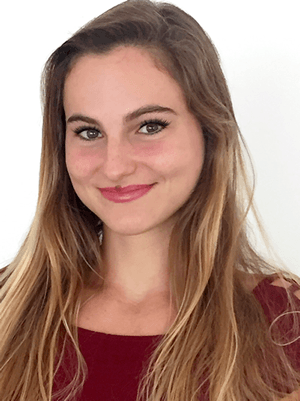 The training we provide is easy for anyone to follow, even if you are not a native English speaker and have zero experience with MD. 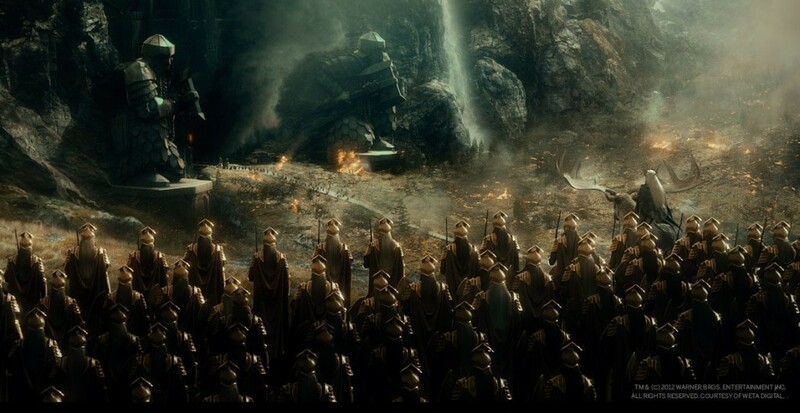 We designed this training in a logically organized and orderly flow. 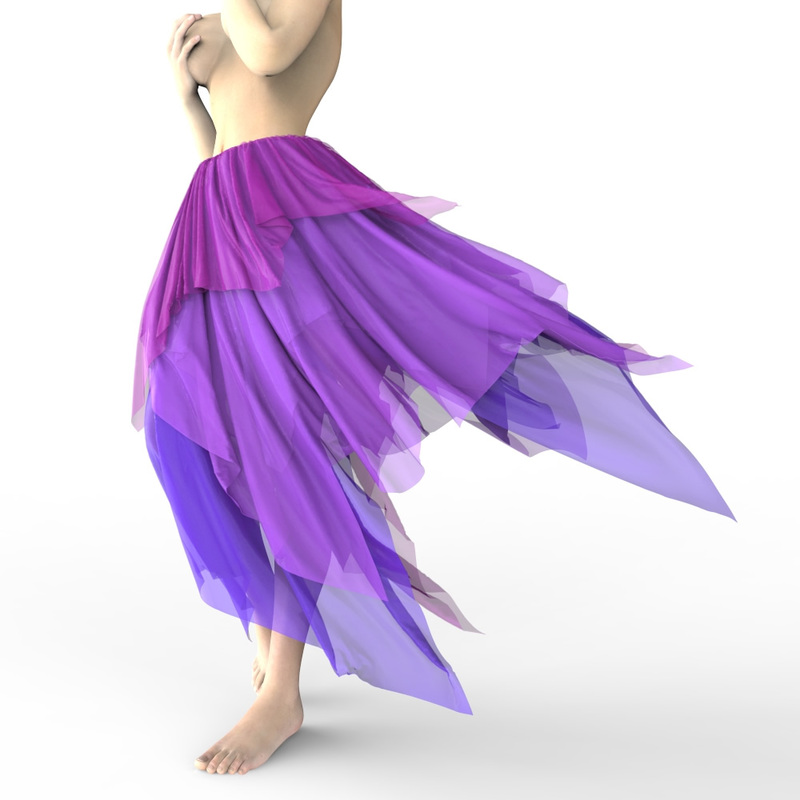 It is a detailed (yet condensed) step-by-step training, free of unnecessary fluff. 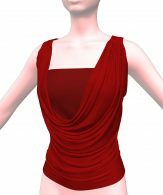 You do not need to waste time using any other garment pattern-drafting software, as some traditional seamstresses advocate. 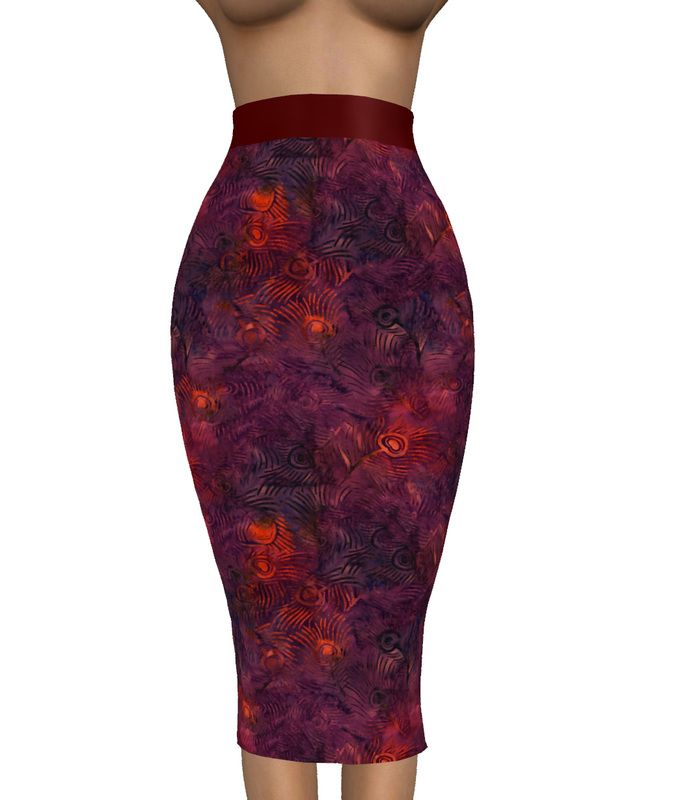 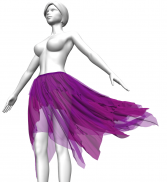 We teach you how to interactively design and modify clothes in MD. 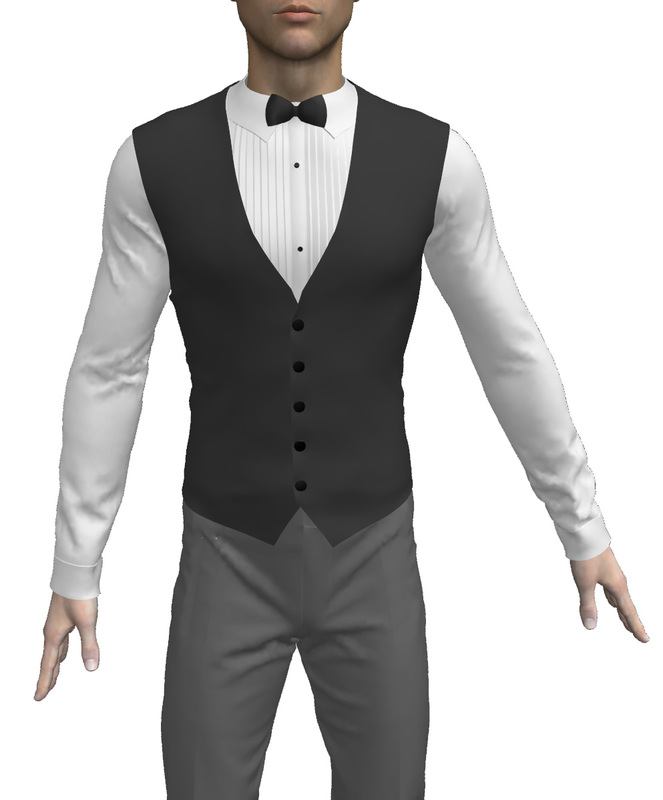 Regardless of the version of MD you use, the principals we teach you of how to create clothing remain the same. 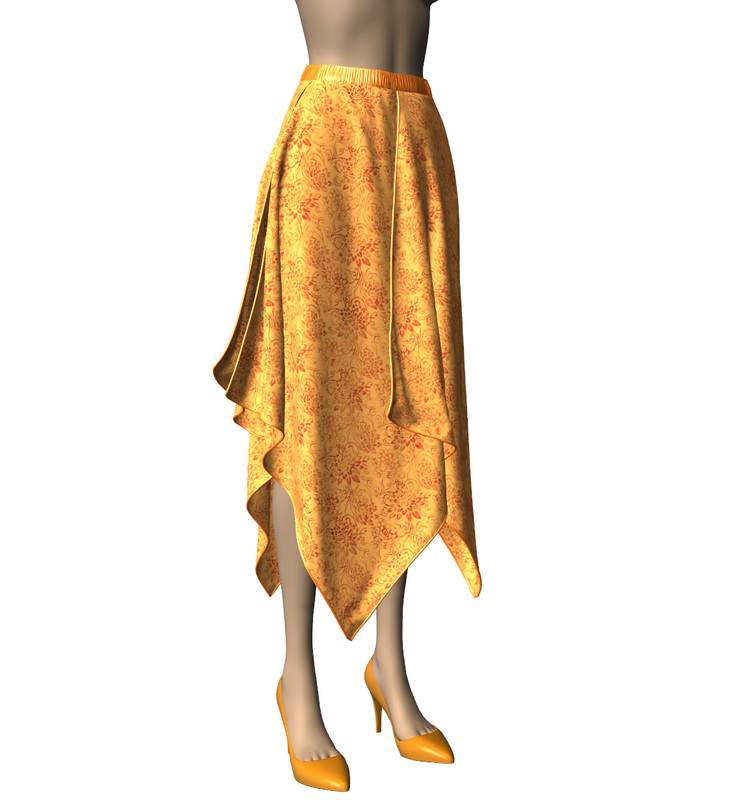 Like in the real world, all clothes are made based on one of the basic types of patterns. 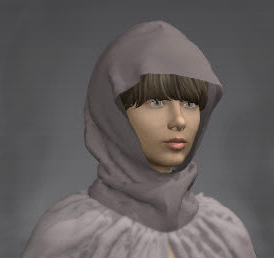 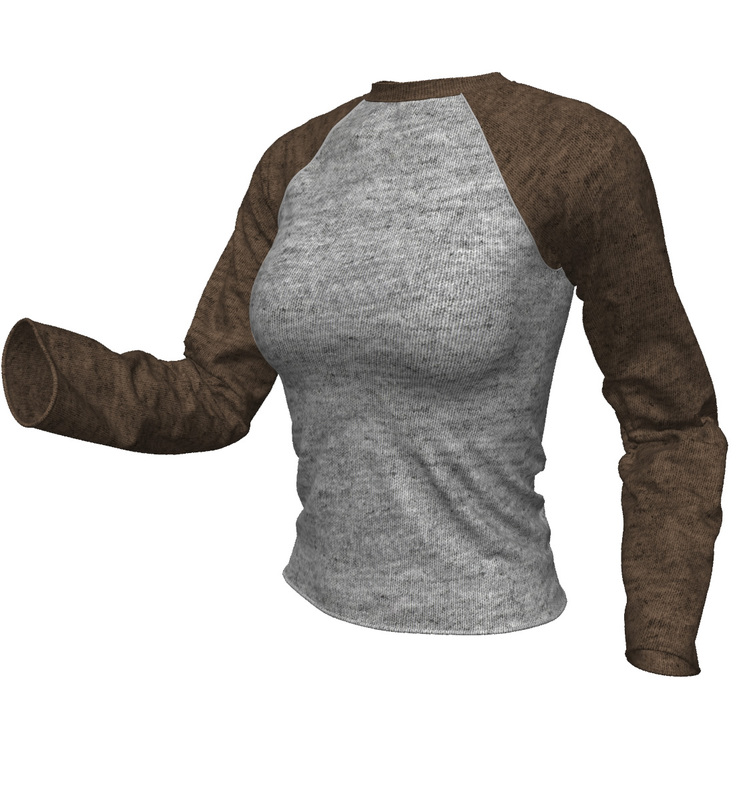 So, once you understand the fundamentals of how to create all the basic types of clothing, you’ll be able to easily create any clothes you want. 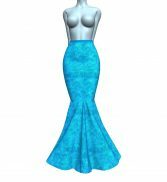 You will no longer need to spend hours searching (and hoping) to find an exact pattern for the garment you want to create or looking up tutorials for that particular clothing item (and being stumped if you don’t find any). 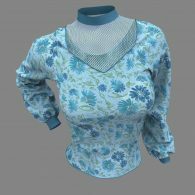 In the 6.5 hour comprehensive Marvelous Designer Beginners Course we cover in depth all the functions and buttons in MD, all the do’s and don’ts, what every tool is and how best to use it. 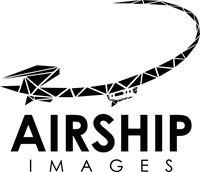 We also provide extensive in-depth feature/tool updates and reviews for all new MD versions, as they come out! Here you get an overview of the Marvelous Designer software interface, navigation, user settings & hotkeys, the sync and the simulate function as well as an introduction to the basic pattern tools. 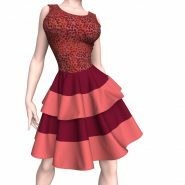 You’ll learn how to edit and transform patterns with the edit and transform tools as well as how to transform them by an exact distance. 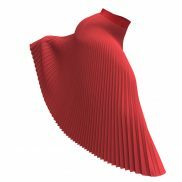 Learn how to add segment points at the exact distance you want them to be, the different options to split segment lines and how to make curves with the two different curve tools. 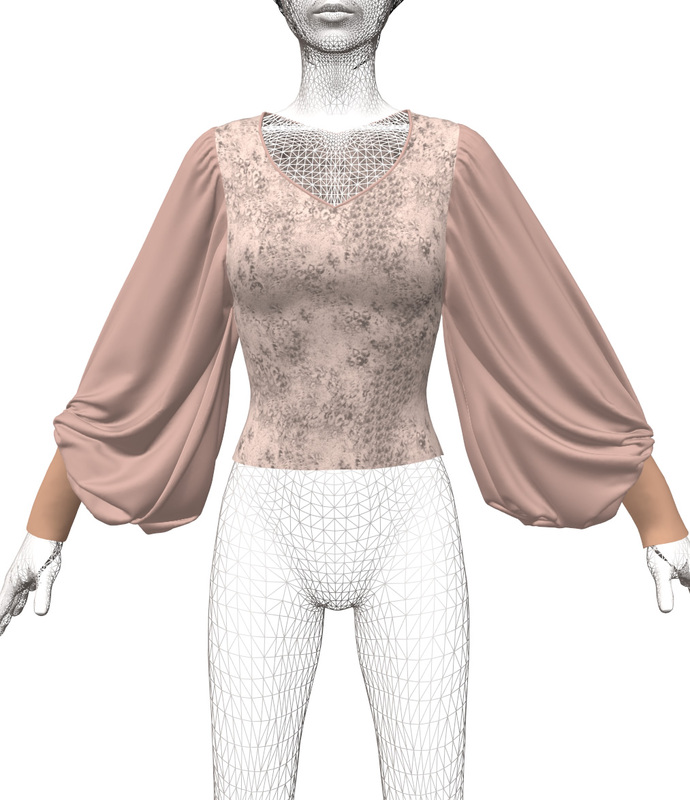 Discover how to turn fabric inside-out, flip normals, create symmetric patterns, mirror patterns, unfold patterns and arrange patterns. 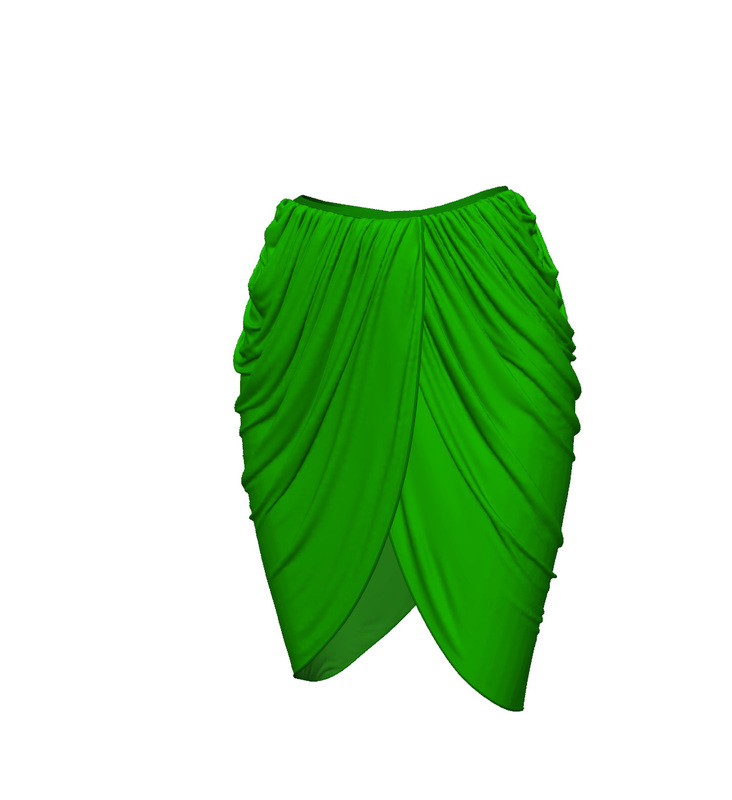 Additionally, you will learn how to use the round corner tool and how to align segment points to the X-axis or Y-axis. Free sewing, segment sewing, 1:N sewing, edit sewing, reverse sewing, deactivate/ activate sewing, hide & show sewing and how to move sewing as well as sew by an exact distance. 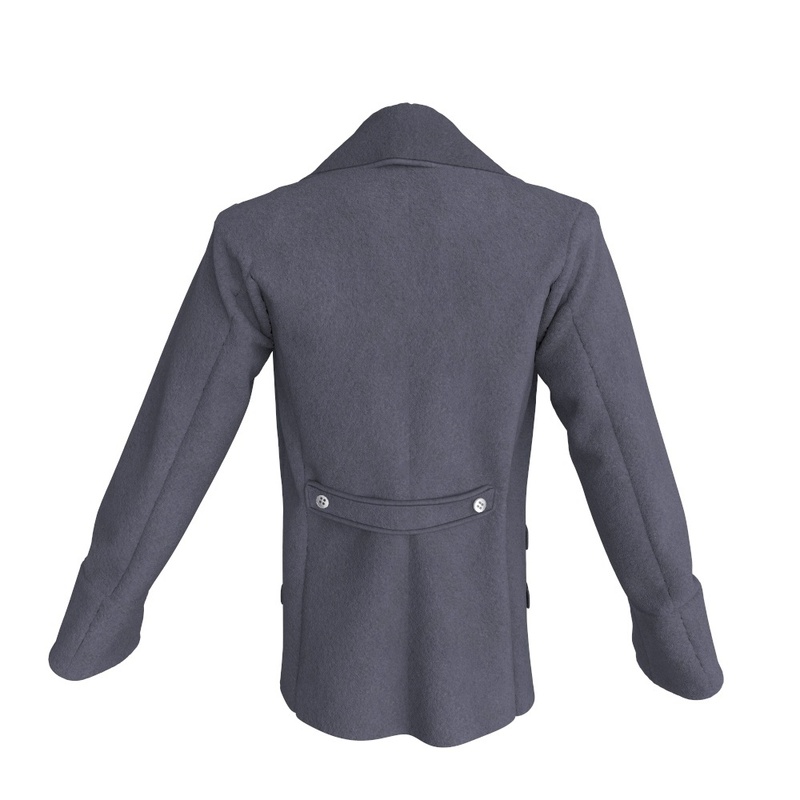 You’ll also learn all about the seam puckering as well as the flat or the turned sewing line type. 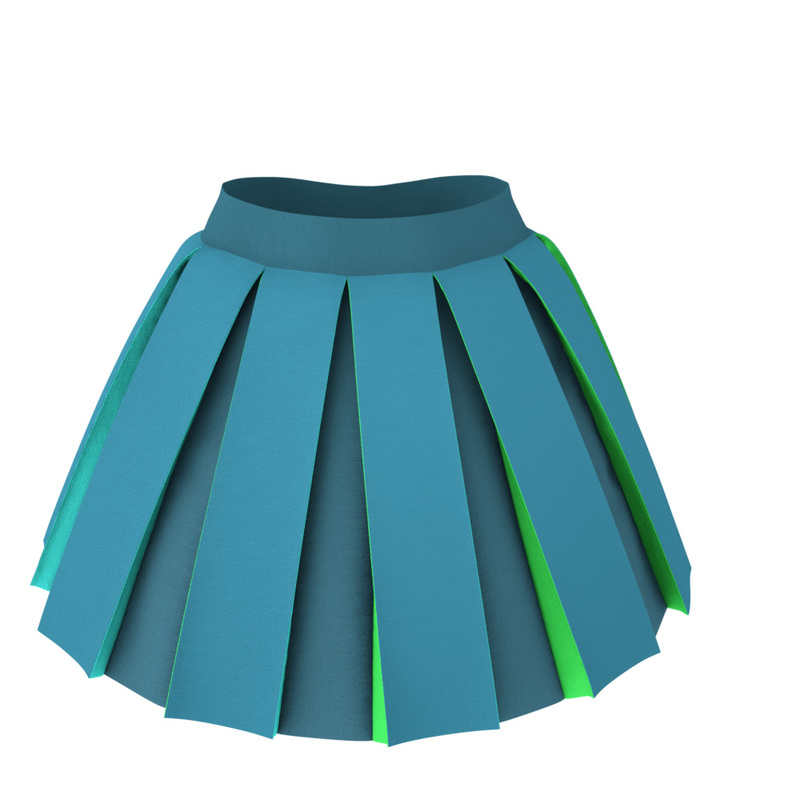 You’ll learn how to create internal circles, internal rectangles and internal lines, as well as how to make elastic bands and gathers using elastic internal lines. 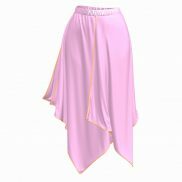 You’ll also learn how to make pockets using internal shapes, how to make holes from internal shapes, how to fold internal lines, how to sew onto internal lines, how to copy internal shapes as patterns or how to copy patterns as internal shapes. 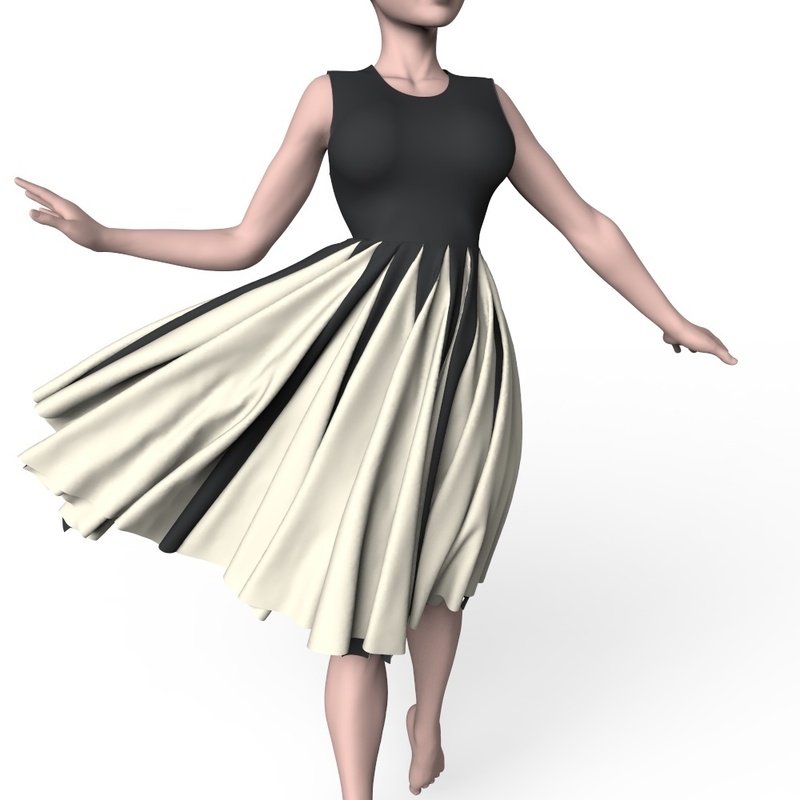 You’ll find out how to cut your patterns, trace segment lines as internal lines or trace internal shapes as patterns, use the offset tool to create shapes in shapes and how to make curved internal lines in Marvelous Designer. 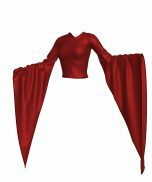 Discover how to use the Marvelous Designer Fold Arrangement tool to fold up sleeves, collars, fabric edges and towels, as well as how to control fold angles, remove sharp folds and sew down folded fabric to get a doubled edge look. 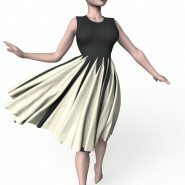 Learn how to make darts and double darts, what they are and how to use them. All about fabrics & texturing in Marvelous Designer. 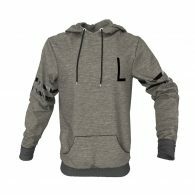 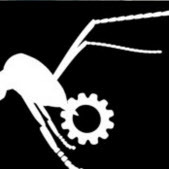 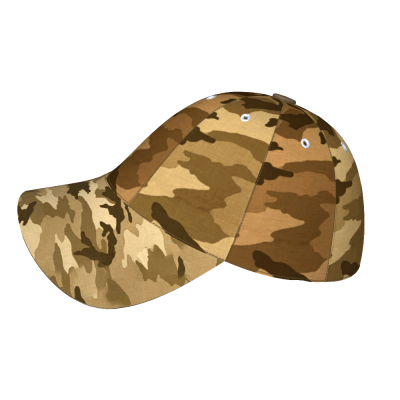 Add onto your clothes logos, text, images, stitches, fancy trims and a fly for pants. 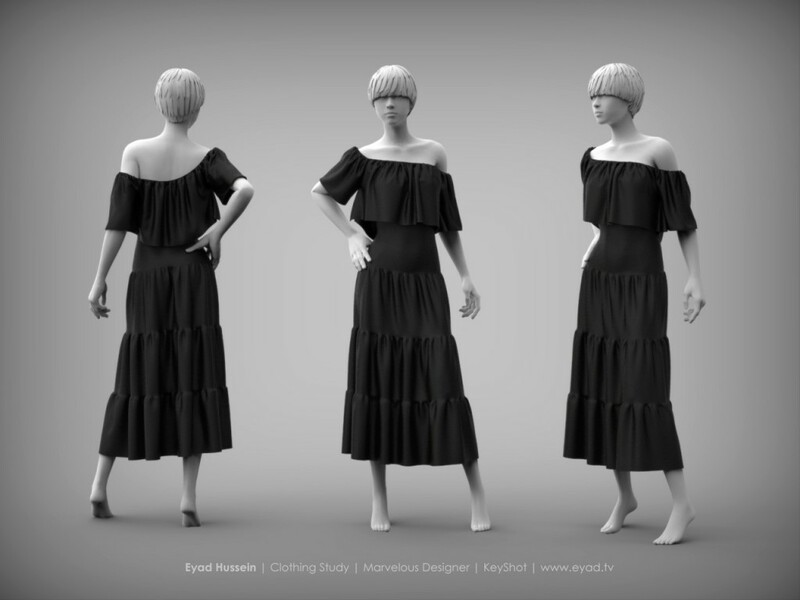 In this Marvelous Designer tutorial, you’ll learn all about pattern thickness and how to change the particle distance to get more details into your clothes. 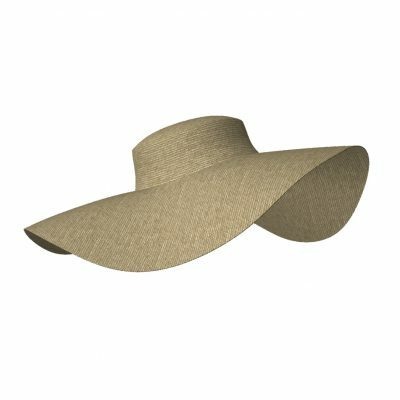 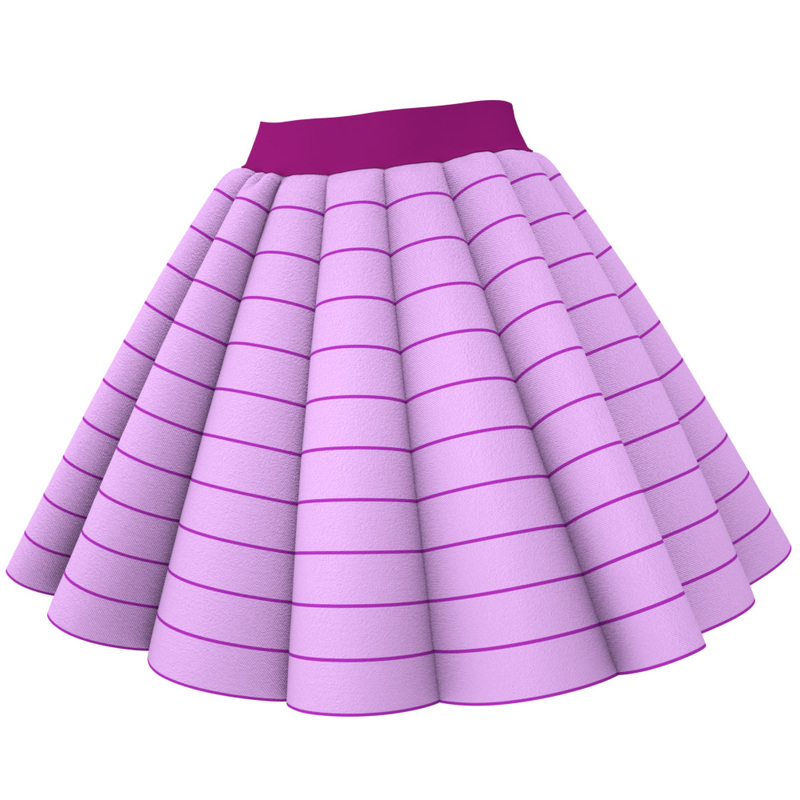 In this lesson you’ll learn how to use the Marvelous Designer Geometry curved sides options to round off fabric edges. 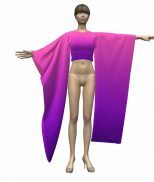 This lesson is all about the Marvelous Designer Fabric Physical Property settings and how to modify these settings to change the way your cloth hangs/ simulates/ animates. 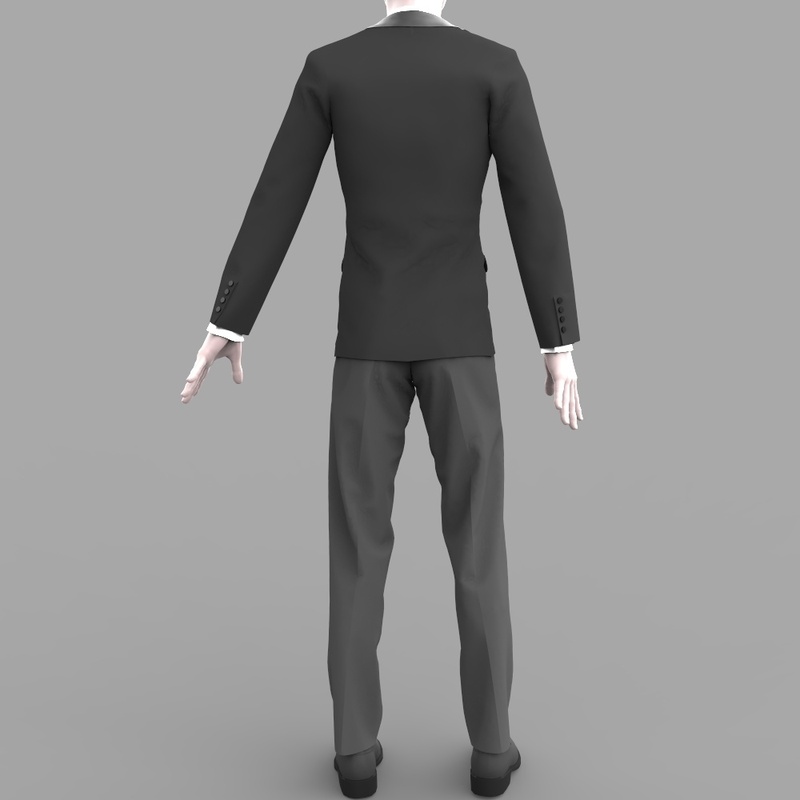 Additionally, you will learn how to export/ import Physical Property Presets and Fabric Presets in Marvelous Designer. 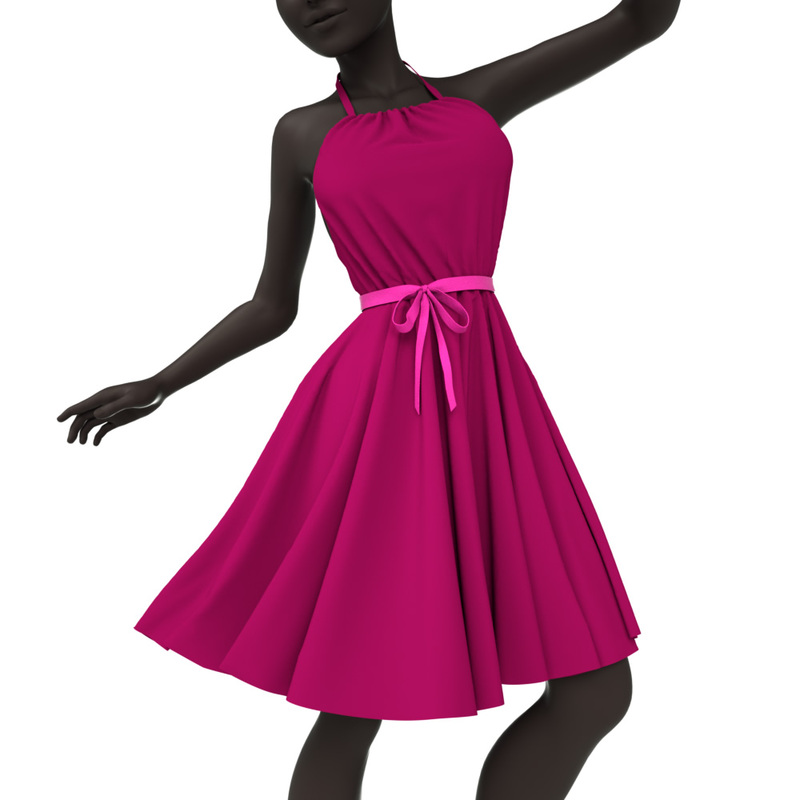 Measuring your avatars is important for every clothes design, so in this lesson I teach you how to measure any avatar you import using the tape measurement tool, the surface measurement tool and the height measurement tool. 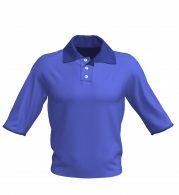 You’ll understand the difference between basic and surface measurement types and we’ll explore the Measure tab. 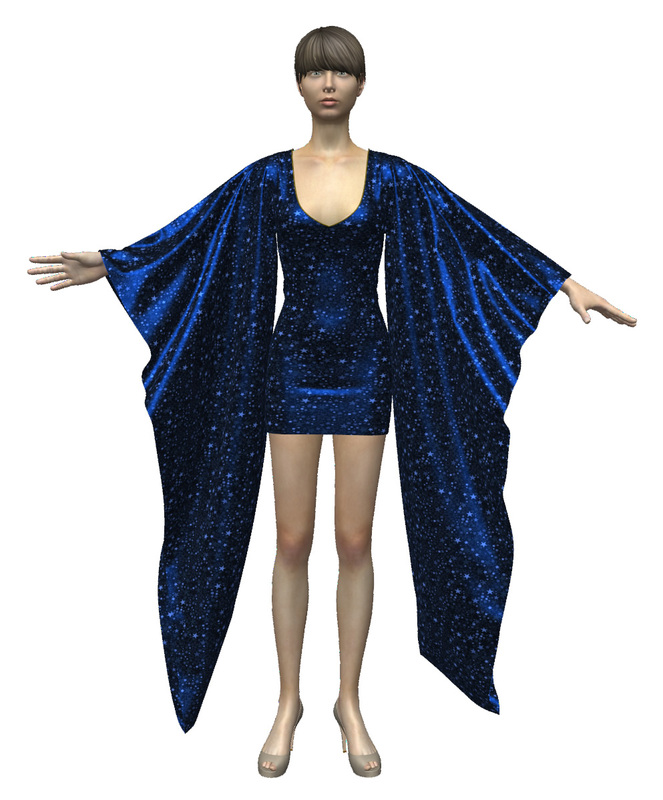 Find out all about Avatar Friction, Cloth Friction and Avatar Skin Offset in Marvelous Designer. 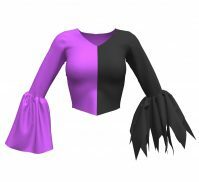 You’ll discover how to use these settings to keep clothes from slipping off the avatars’ body (especially useful for waistbands in animations) as well as how to make the clothing items (like gloves) drape tighter against the avatar’s body. This lesson is all about the layer clone feature and pressure settings. 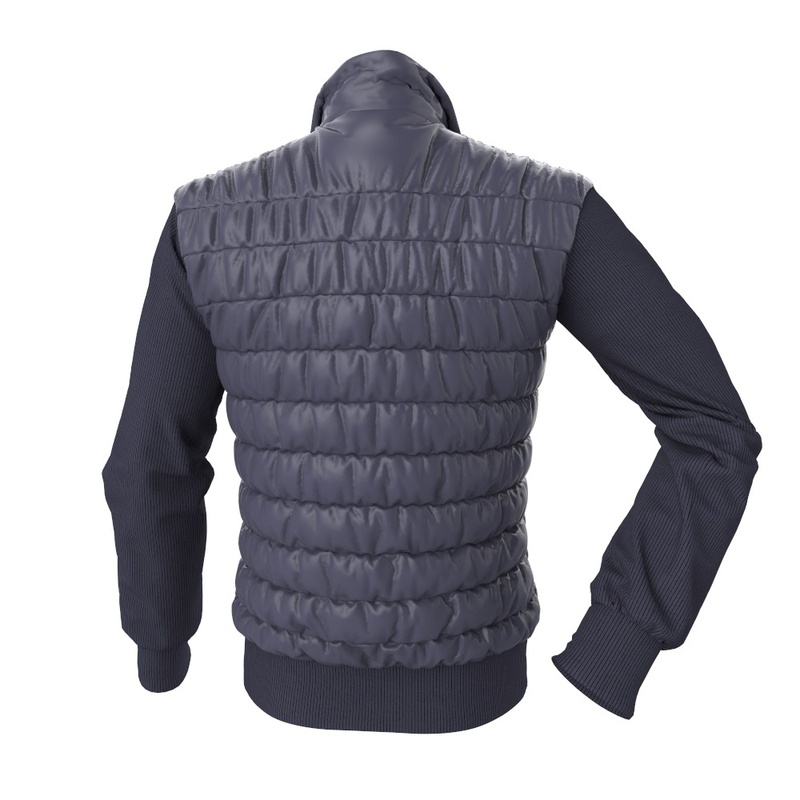 How to correctly use these tools to add thickness to your clothes (especially good for winter jackets) and inflate things without blowing them away as well as what to do and what not to do. 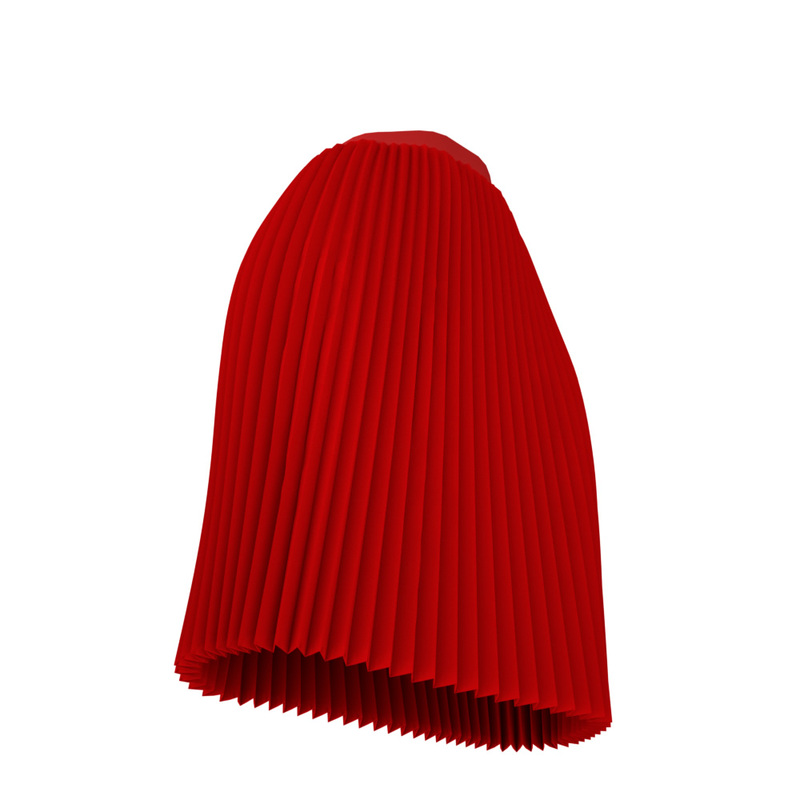 In this lesson you’ll be introduced to the selecting & pinning tools. 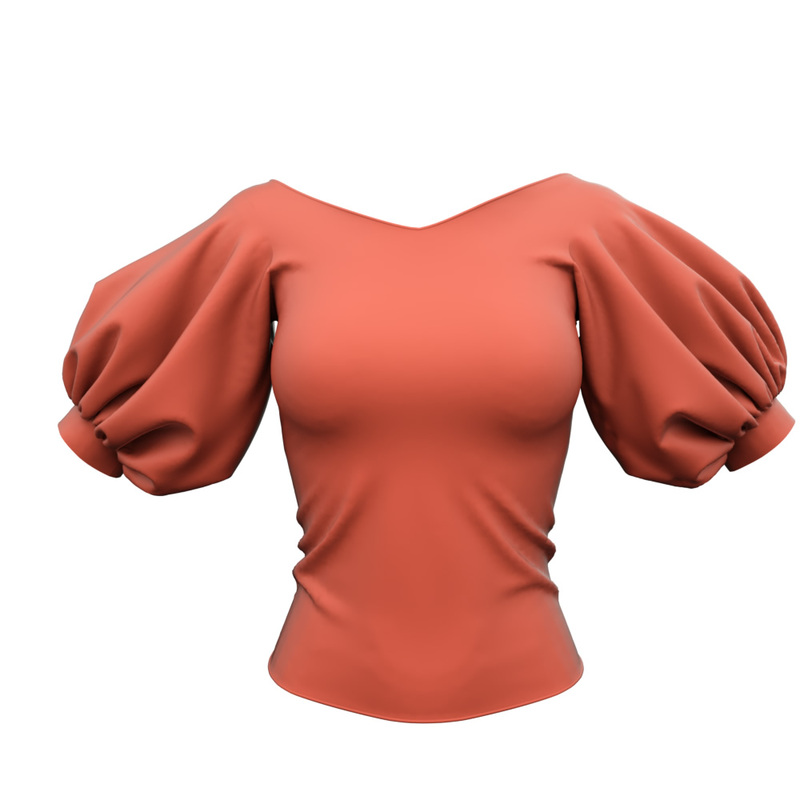 You’ll learn how to use these tools to select, move and pin parts of your clothes, how to add and remove from the selection or from a pinned area and also how to attach/ detach pins from your avatar. 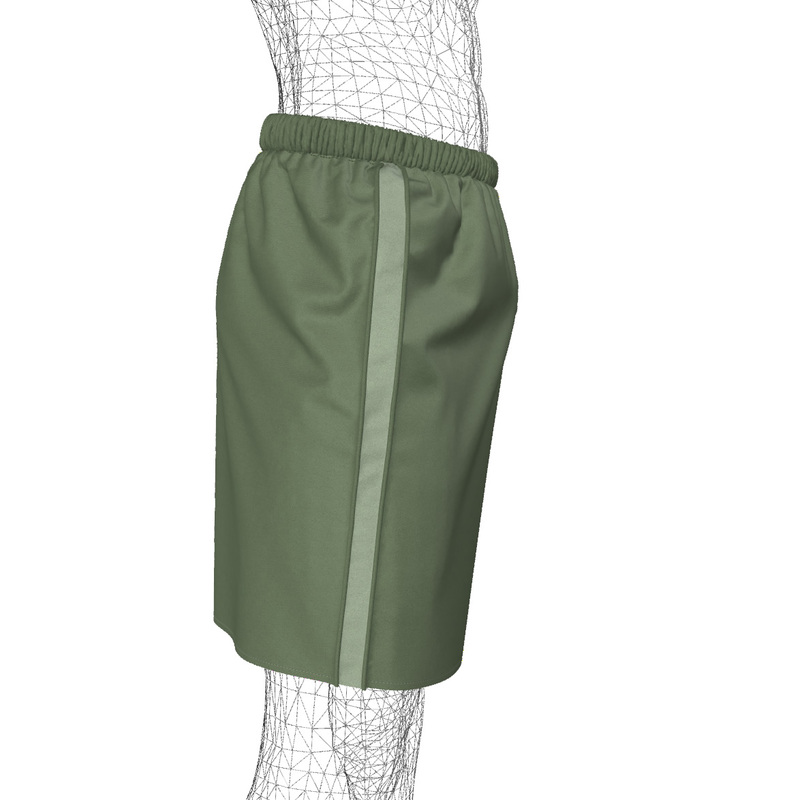 I’ll also show you how to roll-over and roll-under sleeves using the select mesh tool, as well as how to roll up trouser legs plus a trick how to make stiffer ‘ironed’ looking folds. 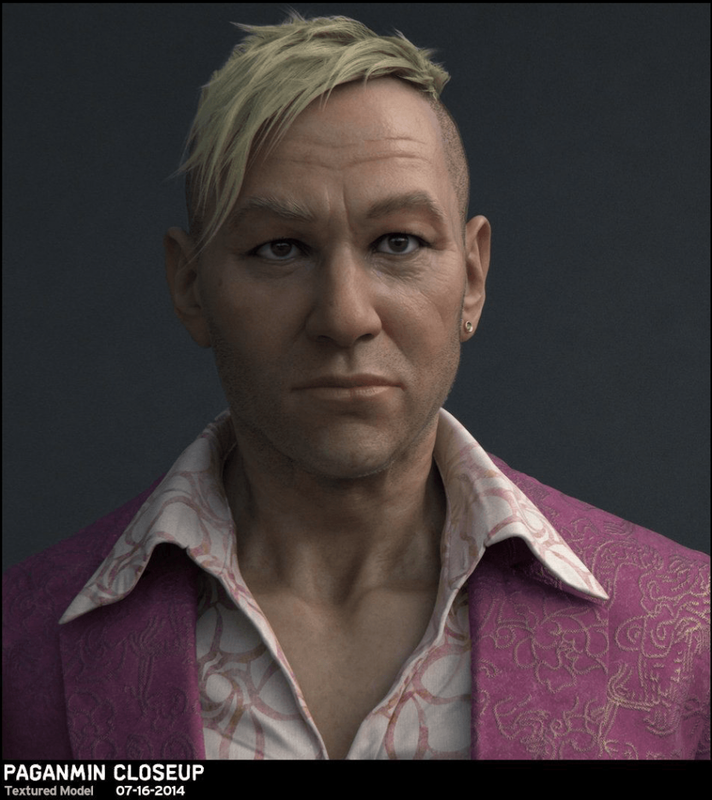 In this Marvelous Designer tutorial, you’ll discover how to best to use the tacking and basting tools. How to turn clothes from triangles into quads. 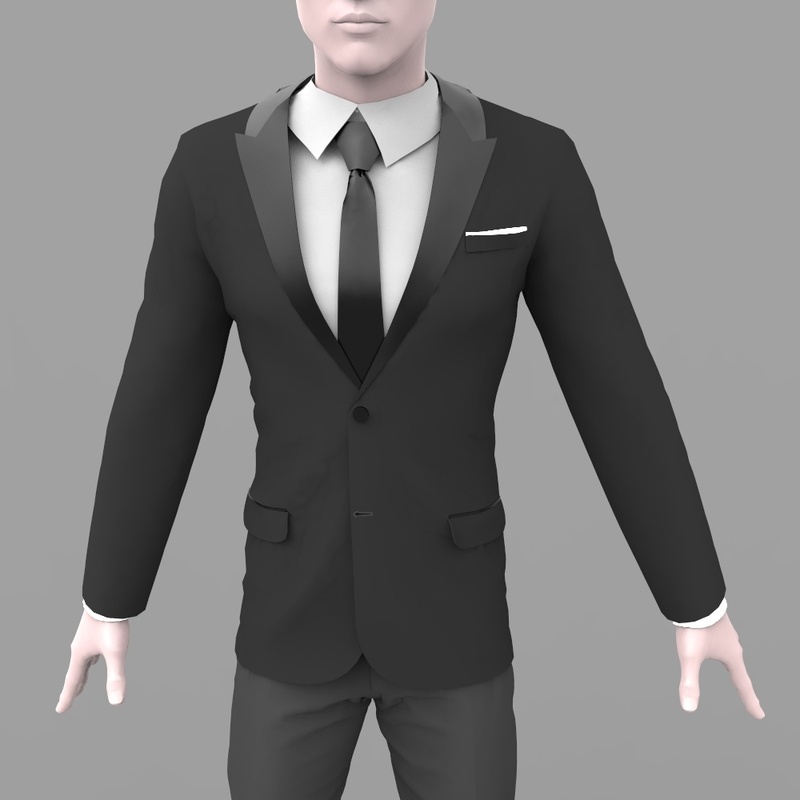 Discover the Direct Positioning Tool and learn how to use it to place avatars & props (i.e., 3D models such as buttons, zippers etc.) 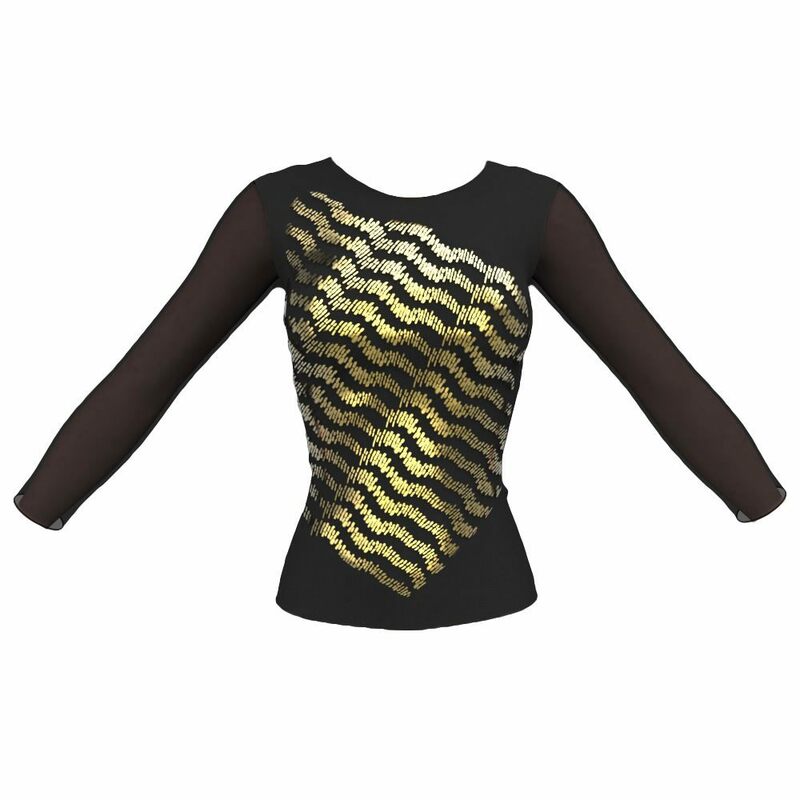 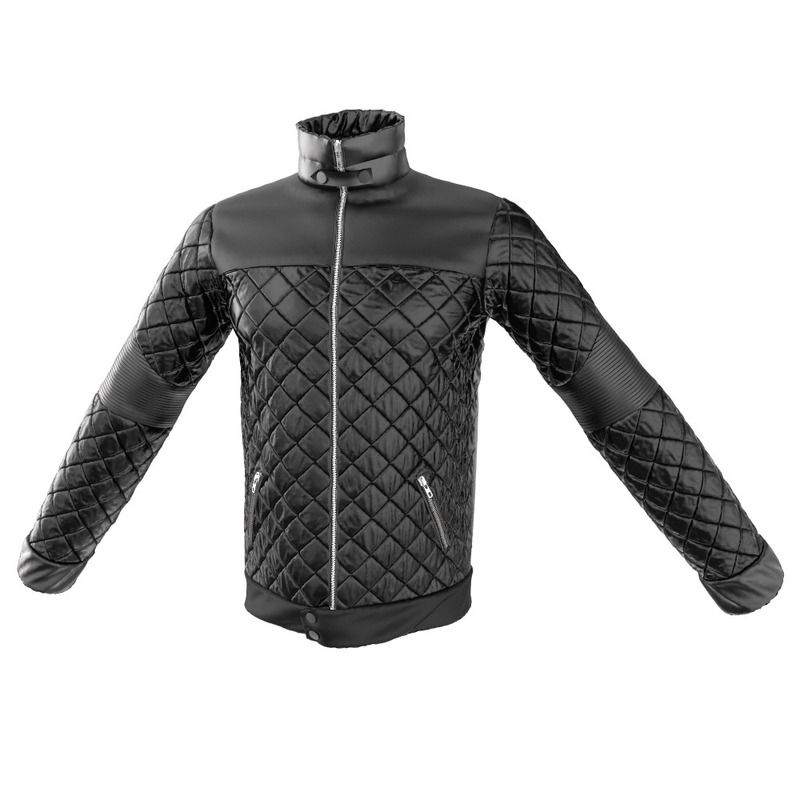 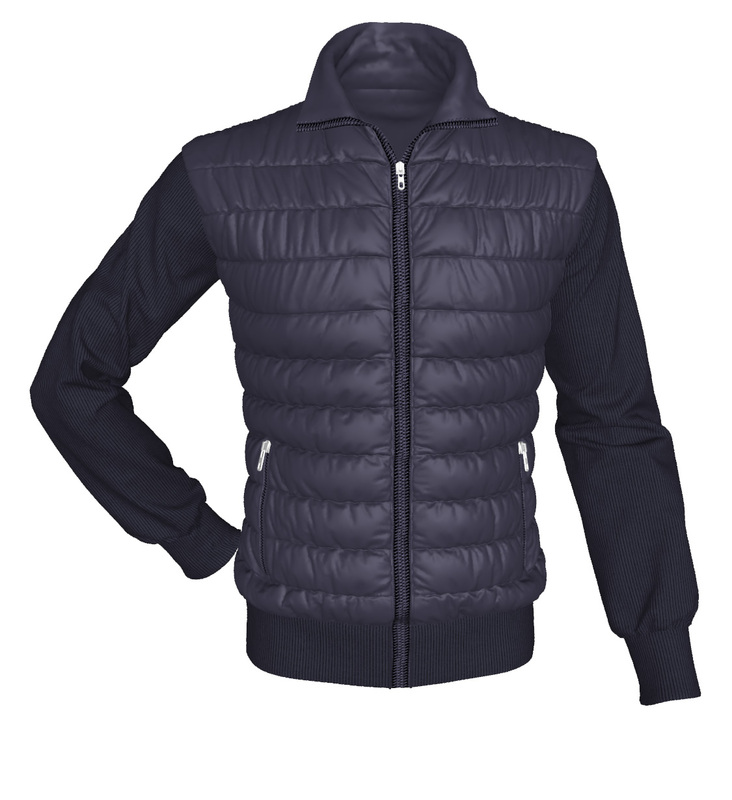 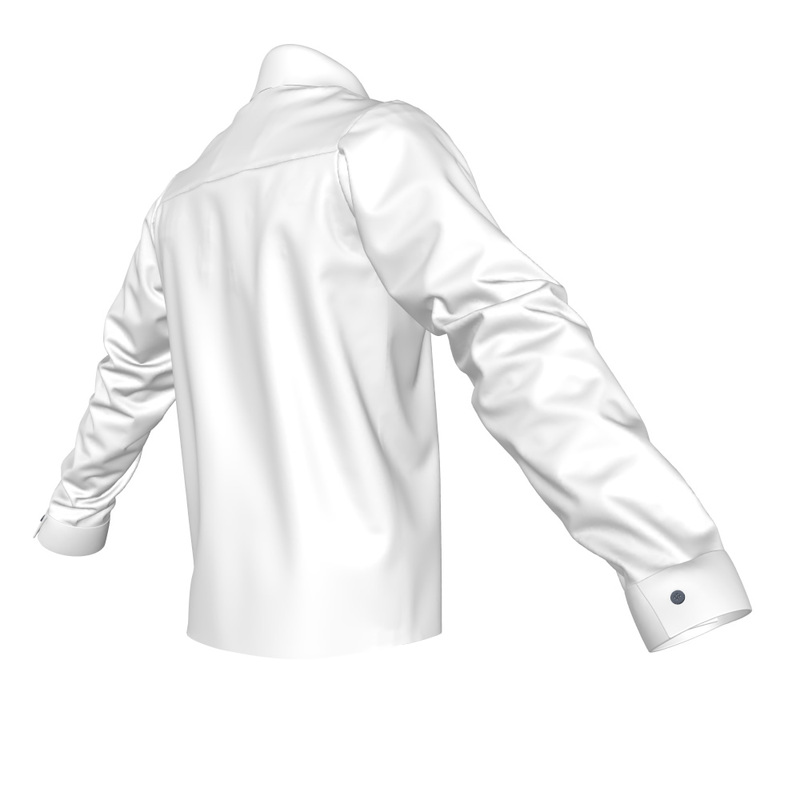 and pattern pieces directly onto your clothes with one click. 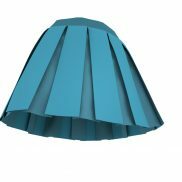 In this lesson we’ll be navigating around the Scene tab, renaming patterns and folding seams to learn the effect of doing so. Learn all About Bounding Volumes & Arrangement Points. 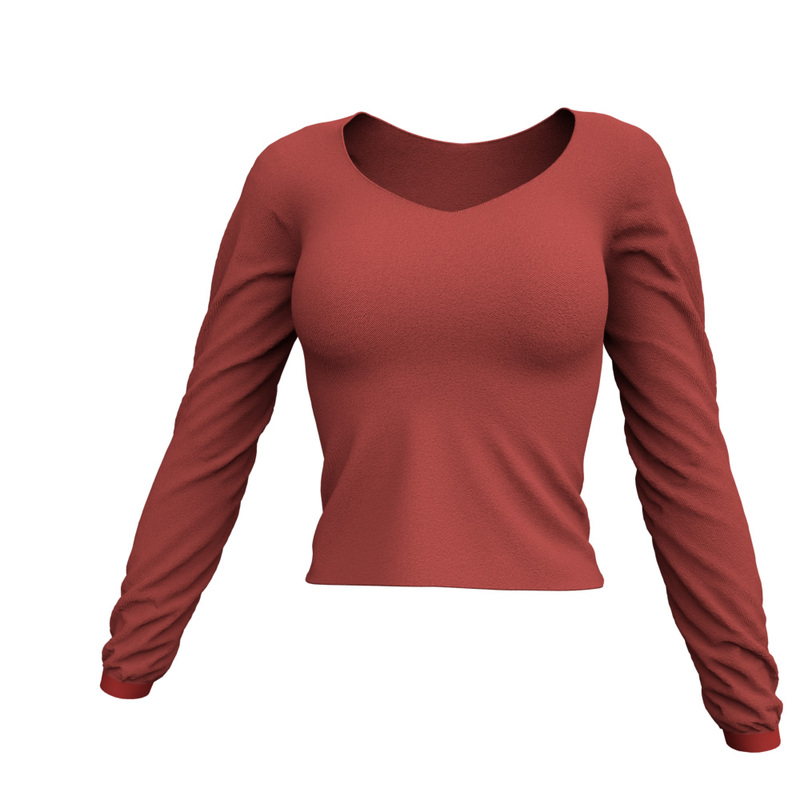 Discover what they are used for, how to wrap clothes around your avatars, how to import export BV & A-points as well as how to make your own Bounding Volumes & Arrangement Points for any one of your avatars (no matter what body shape or how many limbs it has). In this lesson you’ll learn all about the Marvelous Designer UV tool. 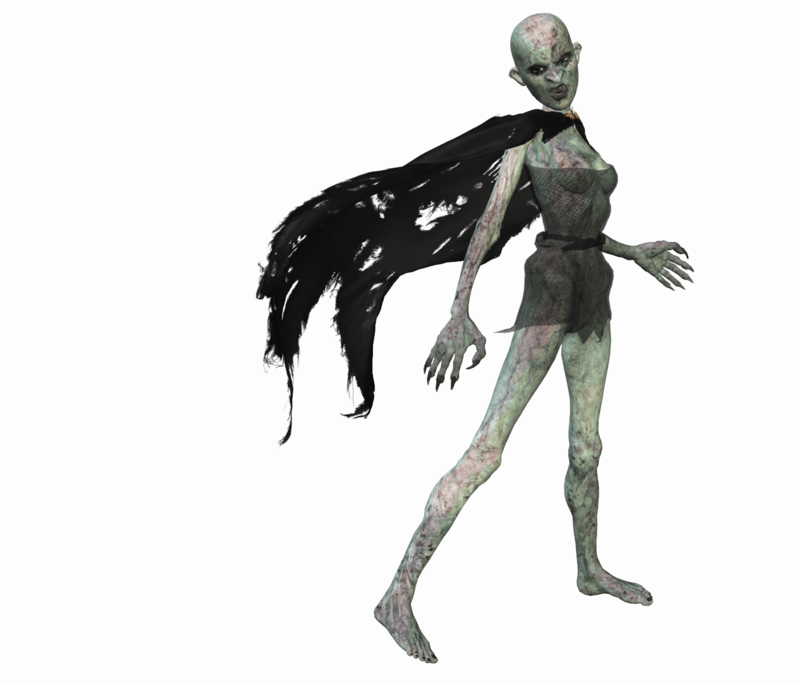 In this lesson you’ll discover how to use Shrink-weft/ Shrink-warp to fit one clothing item to all kinds of avatars, for example, from a man to an overweight woman, to an alien woman with very long arms and legs and even to a small child. 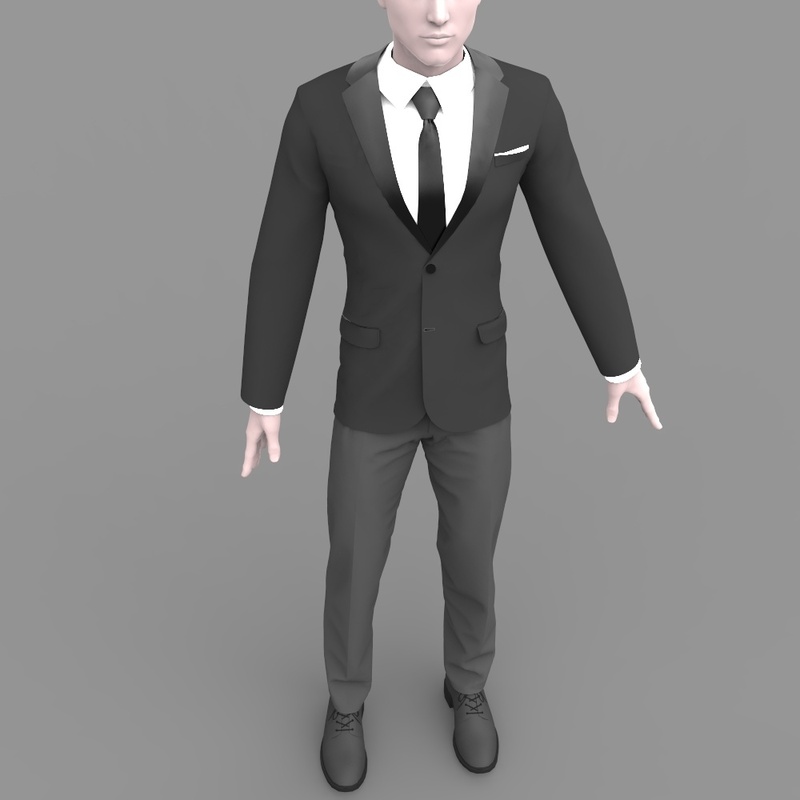 This lesson is all about posing Avatars (3D models) in Marvelous Designer. 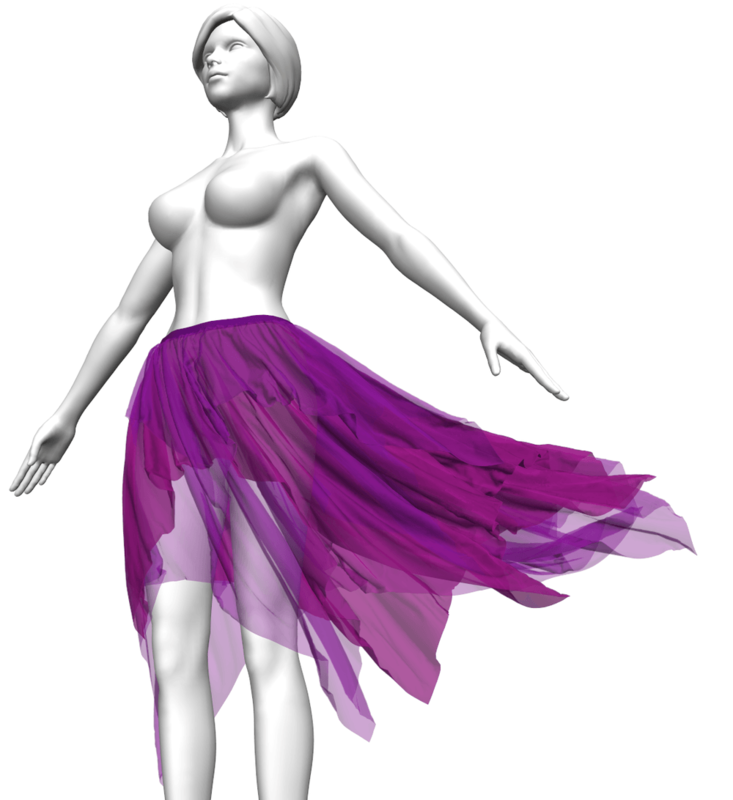 Here you’ll learn how to change lights, add wind in Marvelous Designer and modify Gravity settings, as well as a cool trick how to fill up skirts (for crinoline dresses, ballgowns, medieval dresses etc). The Marvelous Designer Advanced Workshops are over 46 hours of Intense Training Designed to Turn You into a PRO! 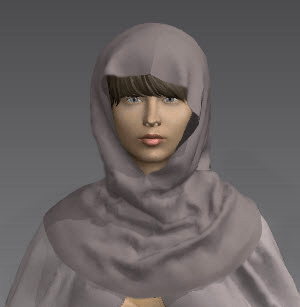 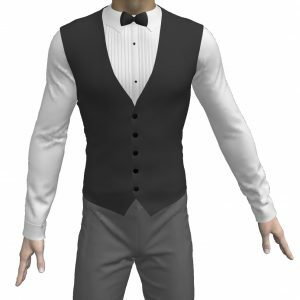 This part of the Marvelous Designer training provides you with detailed step-by-step workshops covering every aspect you’ll need when designing and making virtual clothing for your 3D models. You’ll learn the basics of how to create all kinds of clothes, with many advanced techniques and tricks! 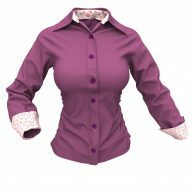 You’ll also learn how to create cuffs, collars, ribbons, a bow tie and suit tie, buttons, pockets and advanced techniques and tricks for pleating, quilting and creating puffed jackets. 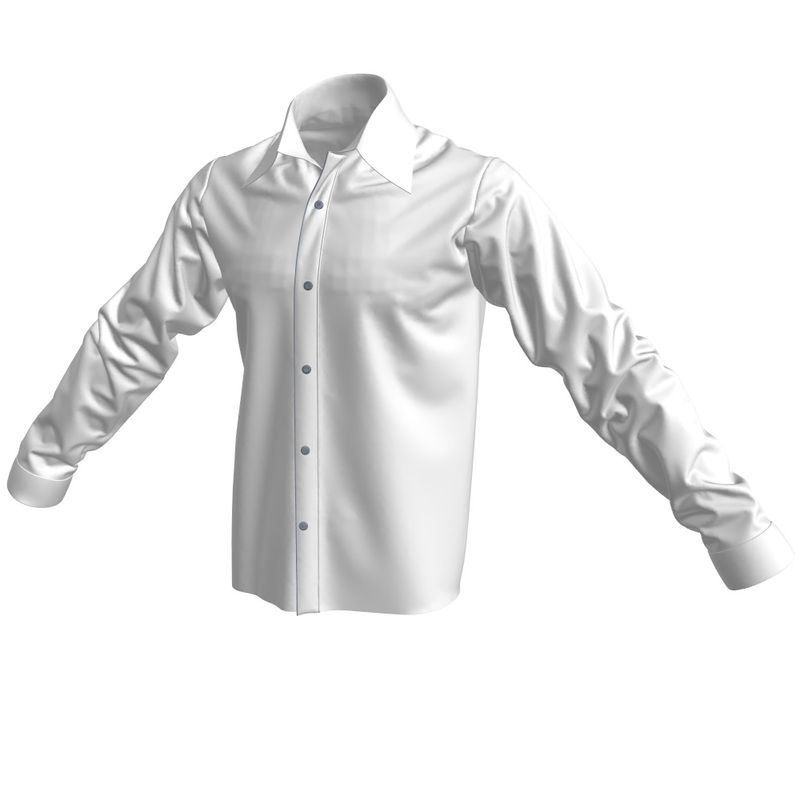 In this workshop you’ll learn all the basics and advanced techniques of making shirts, tops and hoodies for men and women starting with an introduction to the principals of making Marvelous Designer shirts. 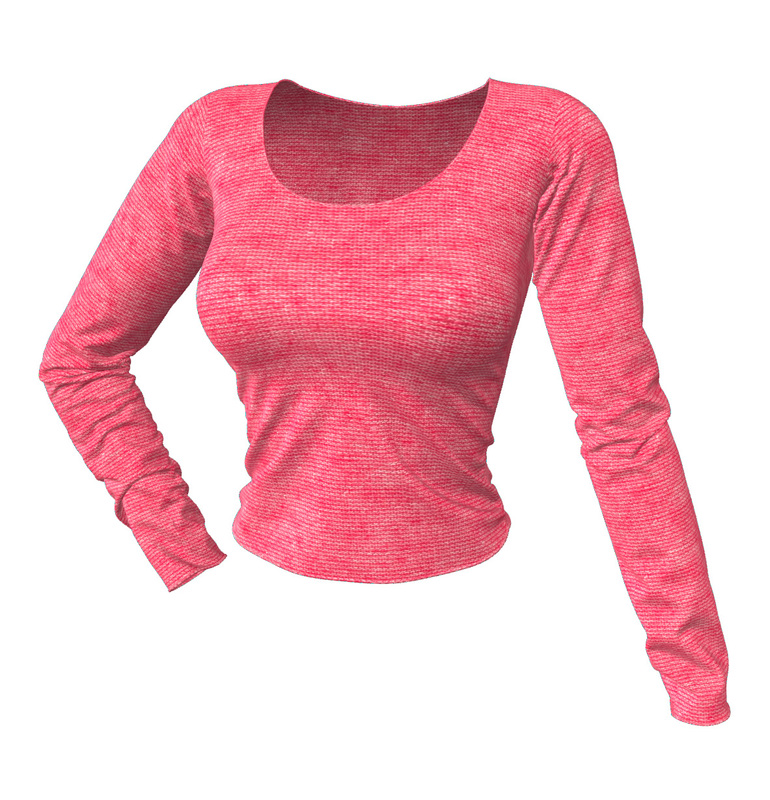 Follow along the video tutorials in the shirts, tops & hoodies workshop and start creating your first marvelous shirts! 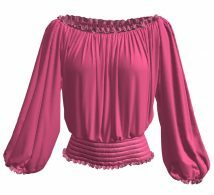 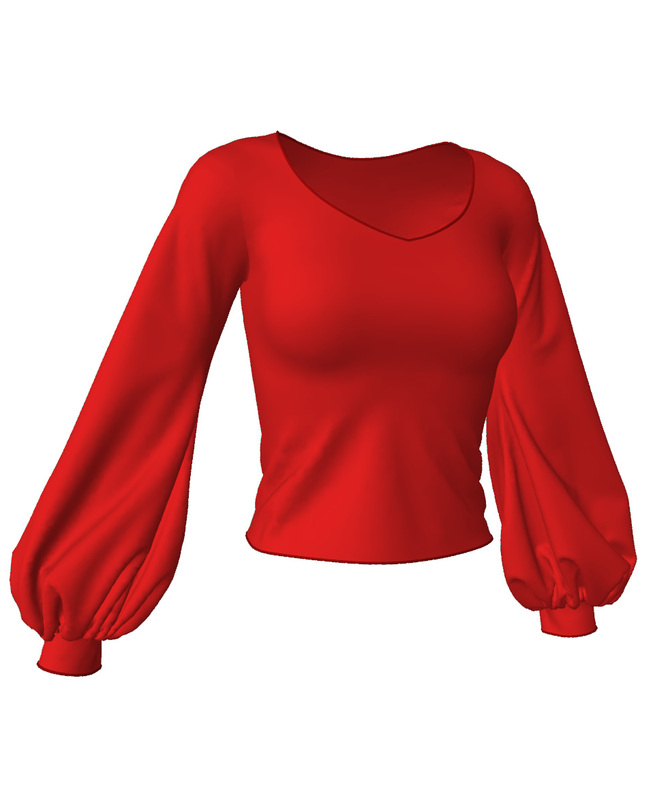 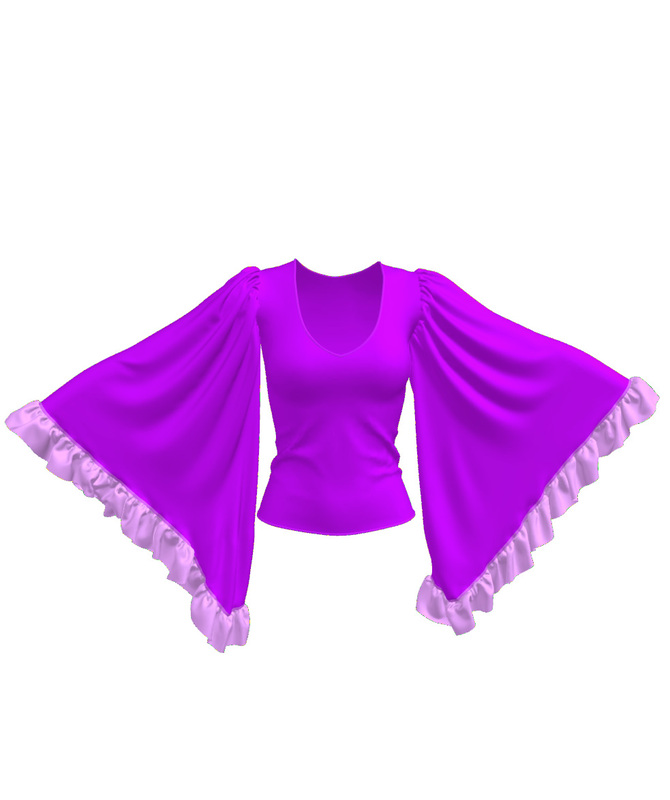 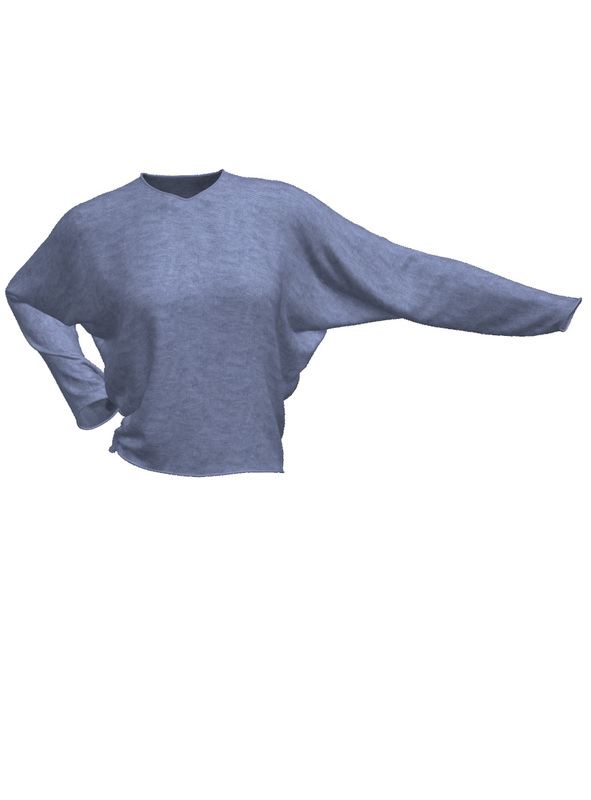 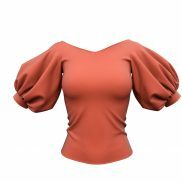 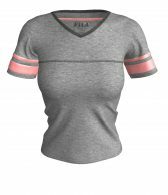 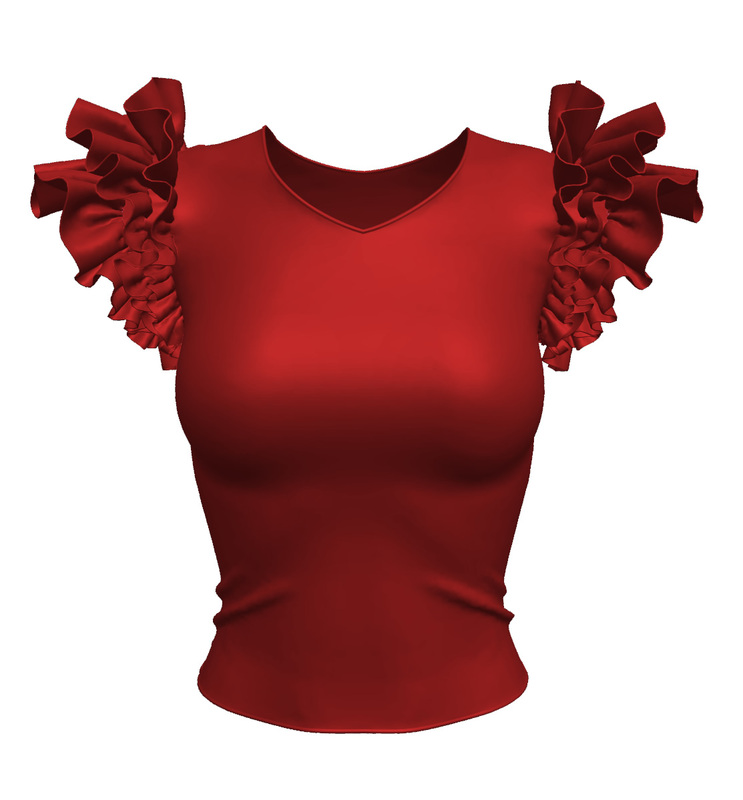 After you learn the sleeves workshop you’ll be able to create any kind of dynamic 3D shirt, blouse or sweatshirt you need. 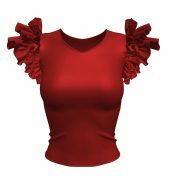 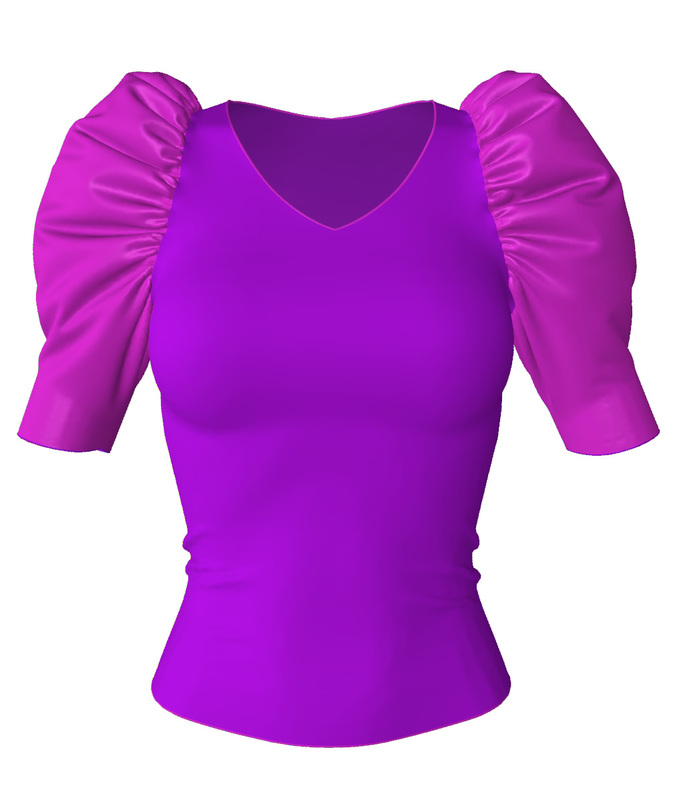 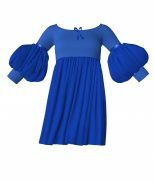 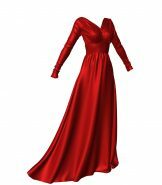 (Sleeves and shirts techniques are also invaluable when making other Marvelous Designer clothing, such as dresses). 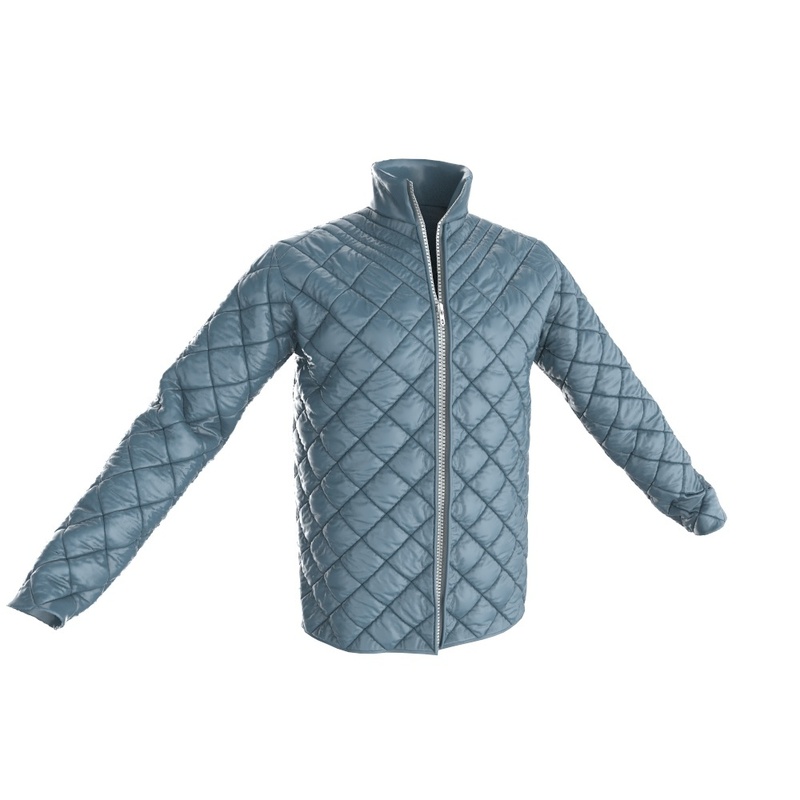 You’ll also learn how to make pockets, buttons, hoods, collars and cuffs, as well as advanced techniques for easily creating quilting and puffed effects. 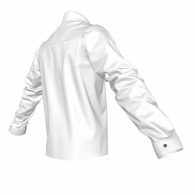 Additionally you’ll master the creation of lovely tiny wrinkle details and you’ll know how to control the quantity and direction of wrinkles in your jackets. 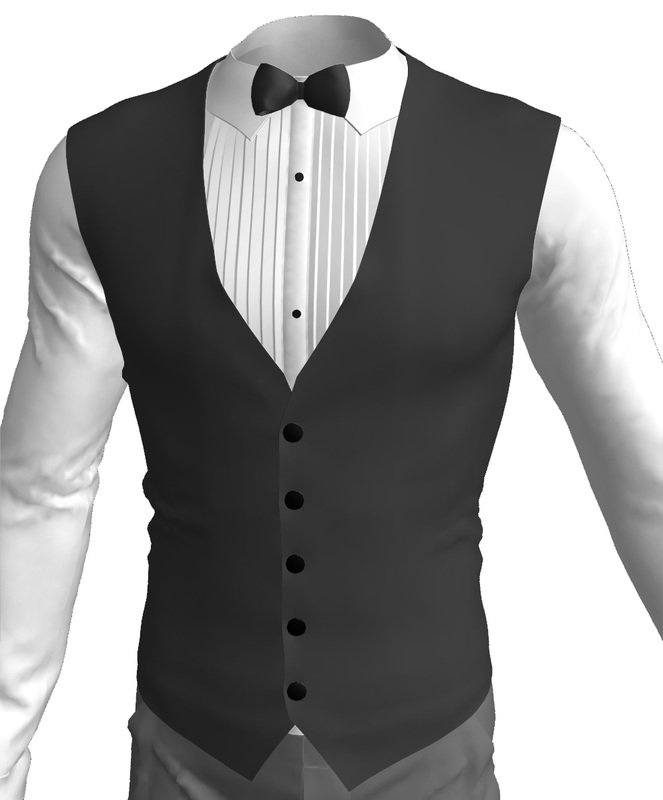 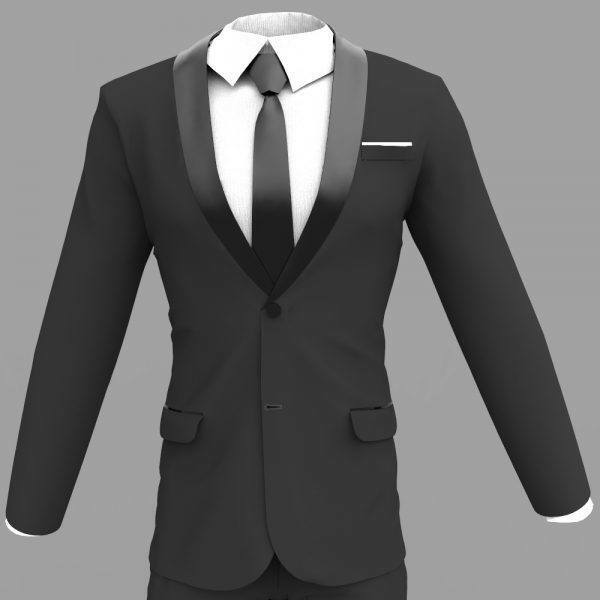 In this Marvelous Designer Tuxedo workshop you’ll learn how to create formal suit pants, a suit shirt with cuff links, a suit tie, as well as a tuxedo shirt with a pleated front and a bow tie. 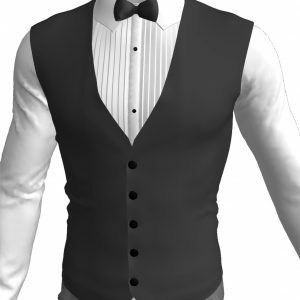 Next, you’ll learn how to create a tuxedo vest and how to make a tuxedo jacket with three typical kinds of collars; a notched collar, a peaked collar, and a shawl collar. In the Mastering Marvelous Designer Sleeves Workshop you’ll learn how to create all typical kinds of sleeves which you’ll need for jackets, shirts, dresses, cloaks etc. 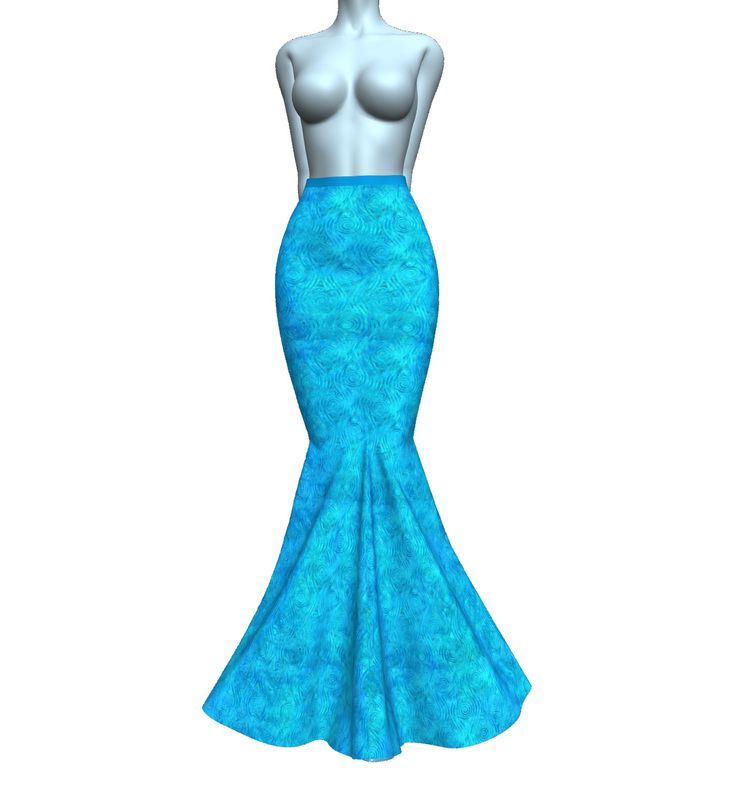 We’ll start with the basics of how to draft the patterns for a one piece and a two piece sleeve. 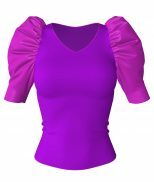 And a trick for a twisted sleeve that does not untwist itself! 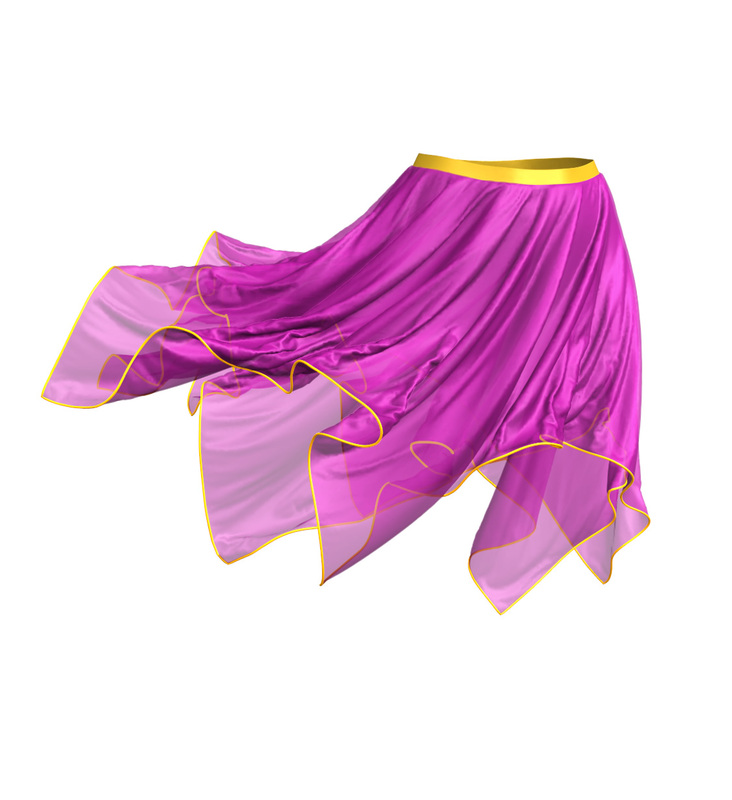 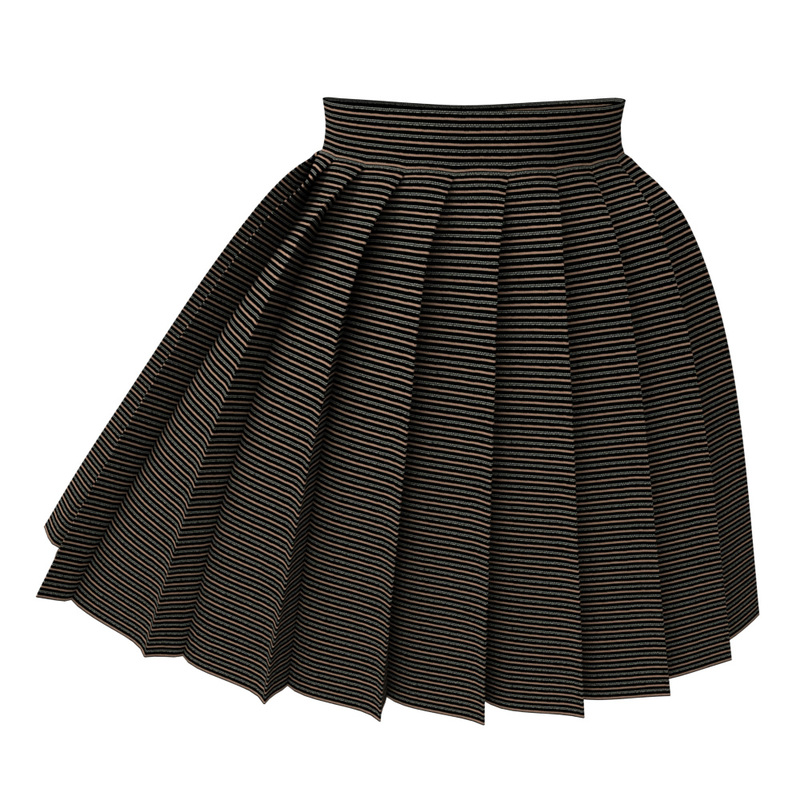 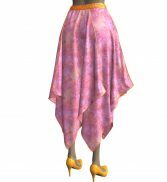 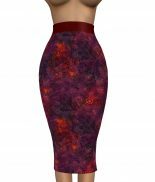 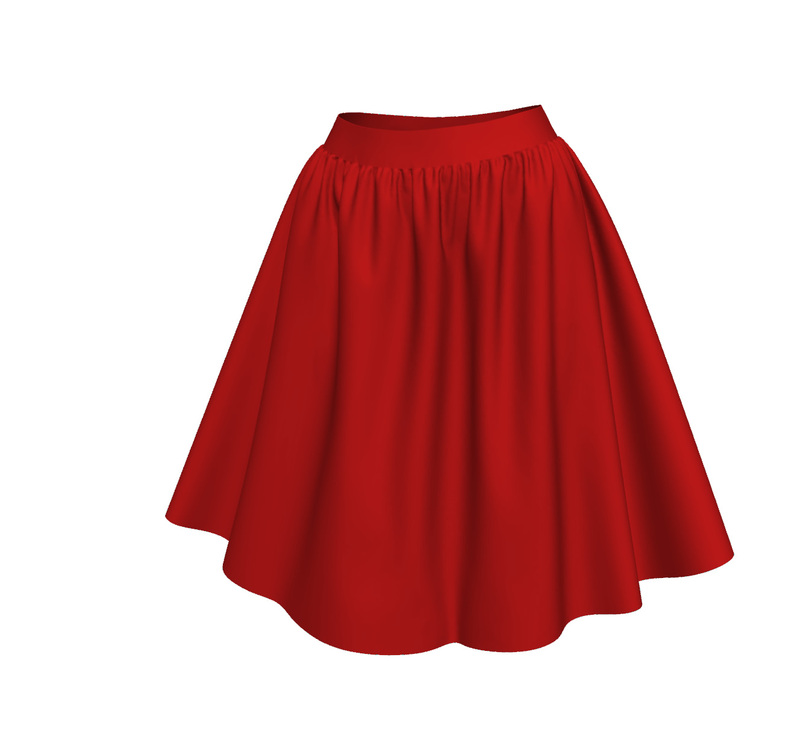 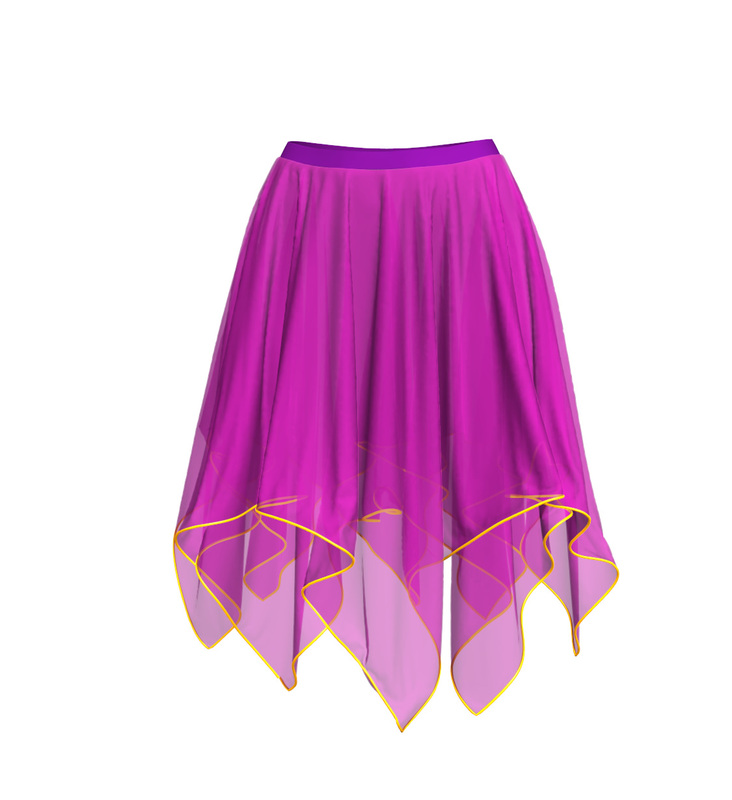 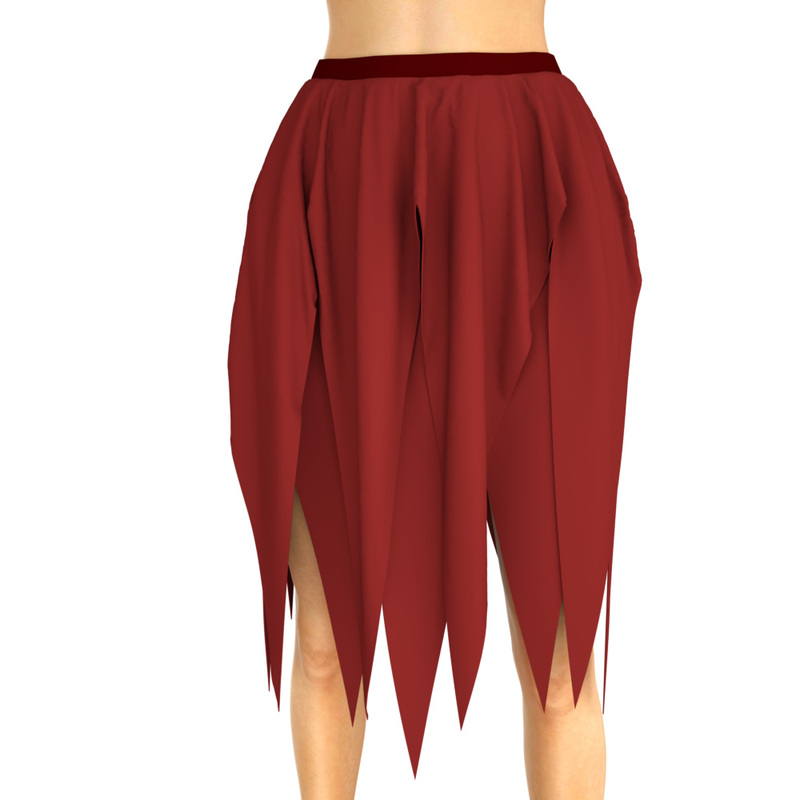 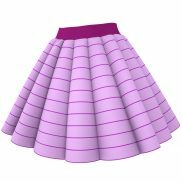 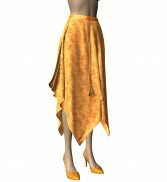 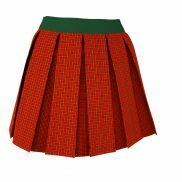 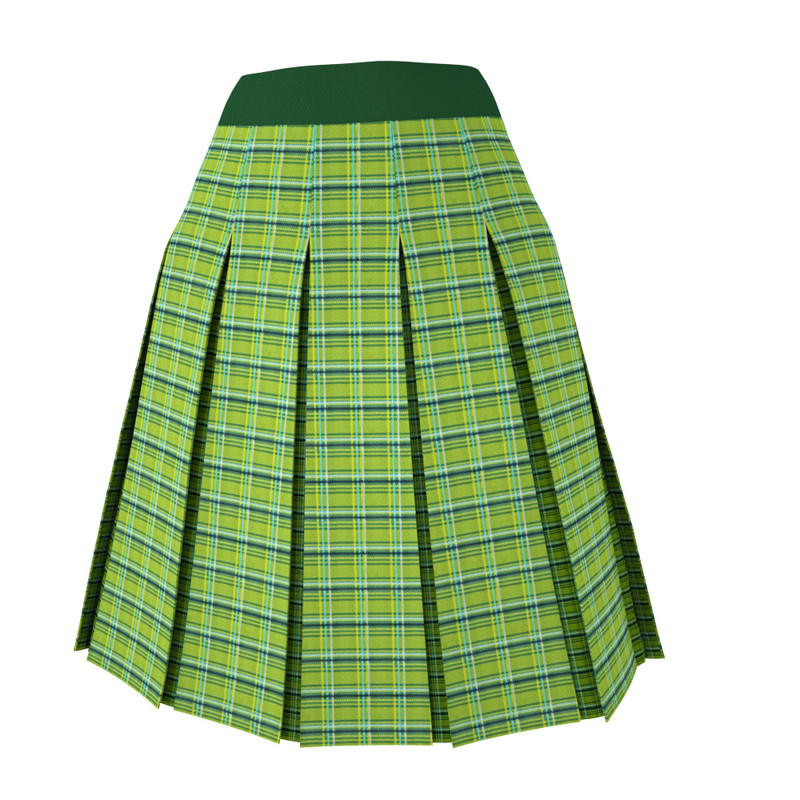 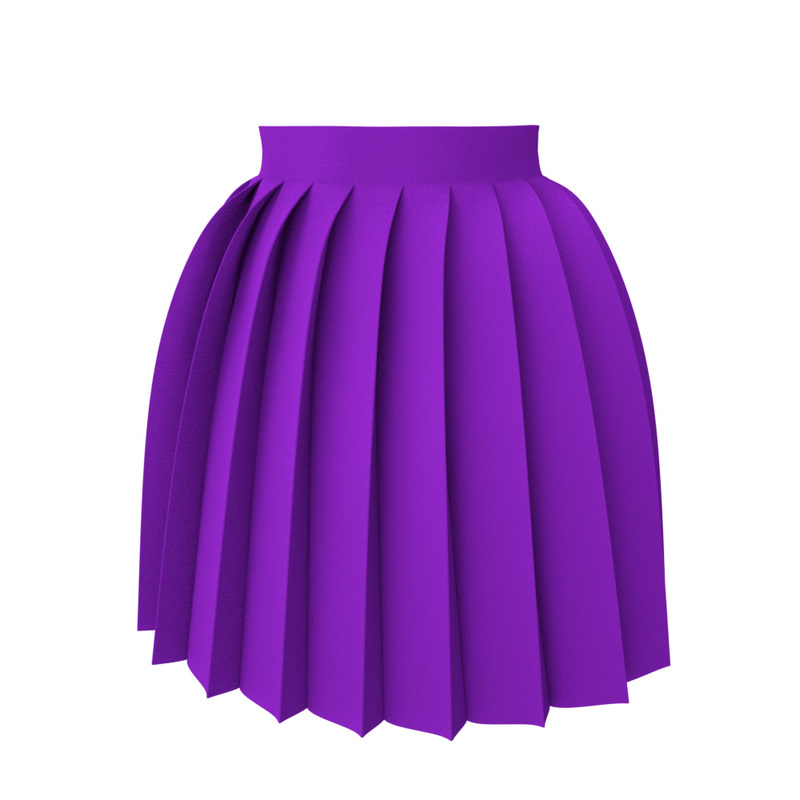 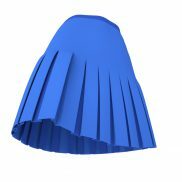 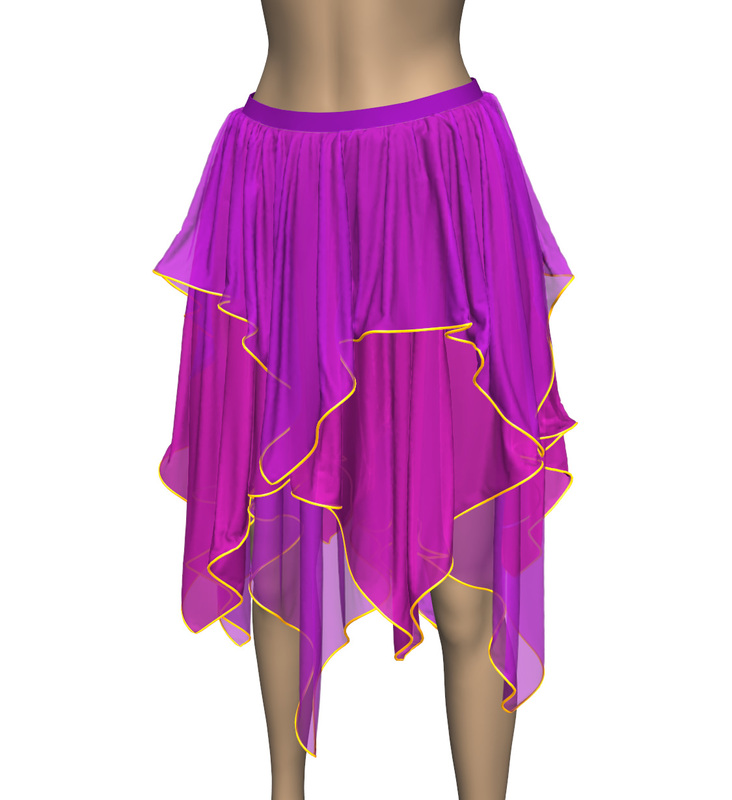 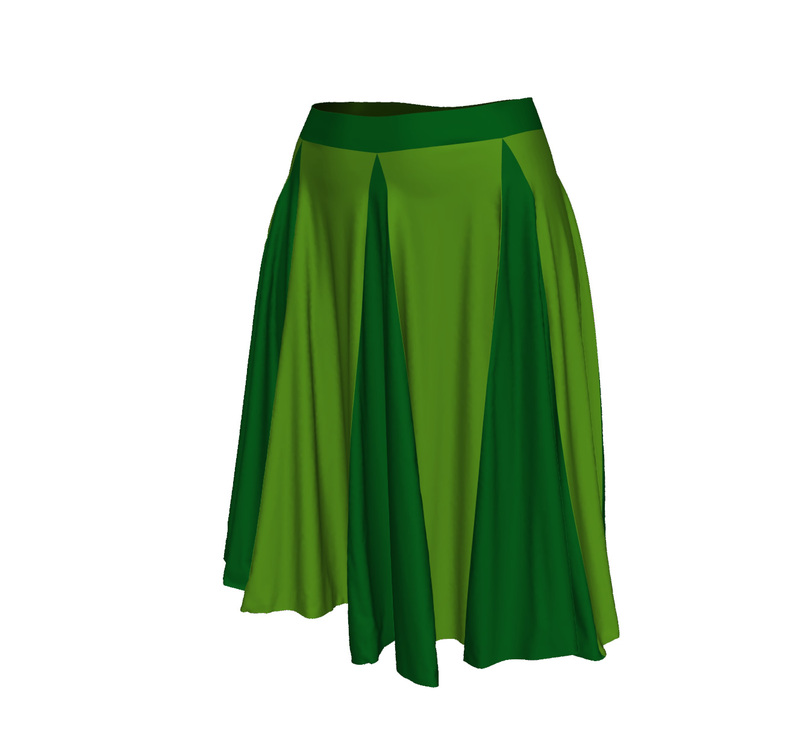 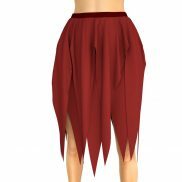 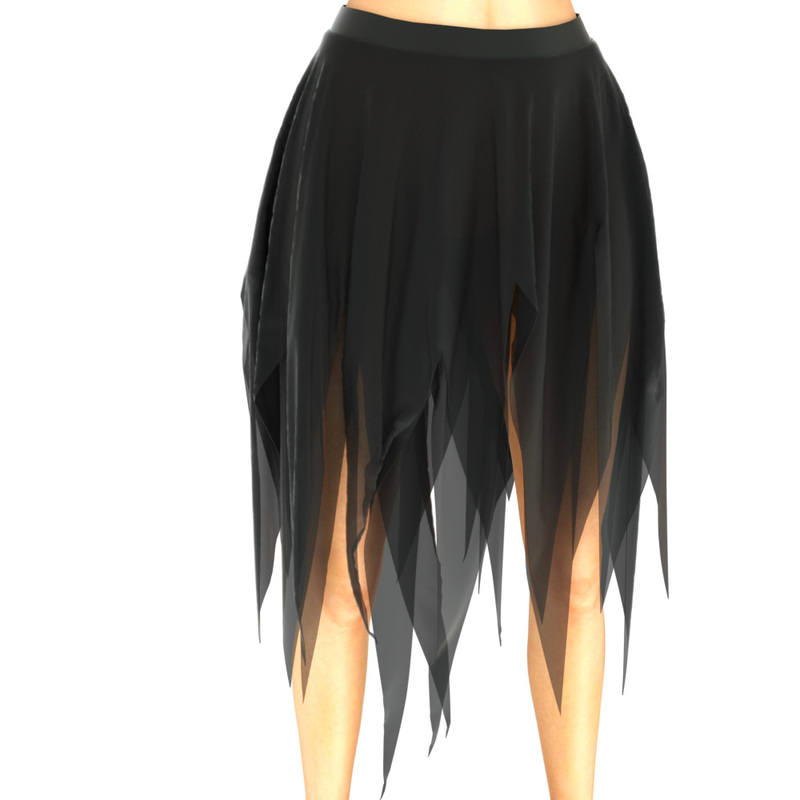 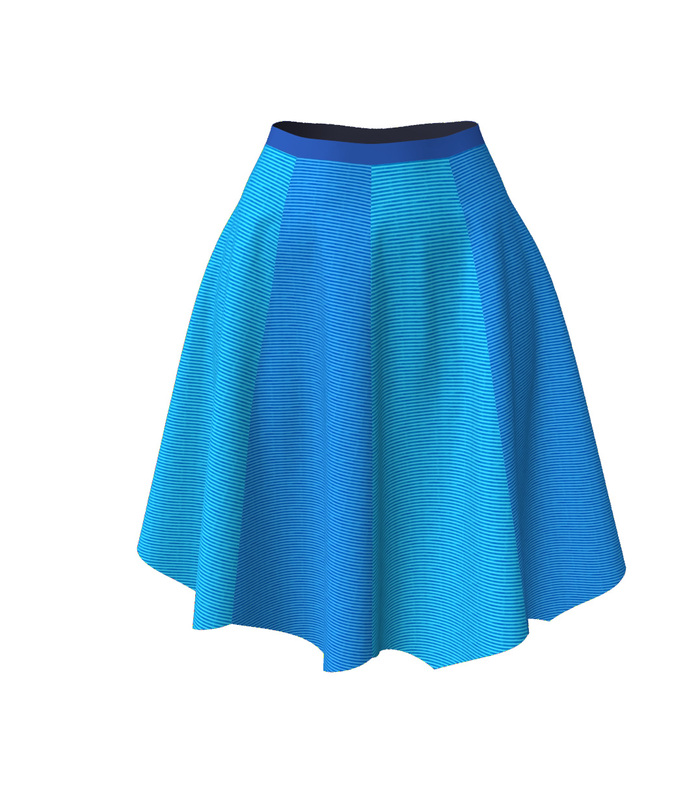 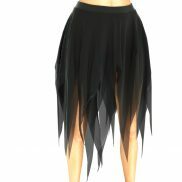 In this Marvelous Designer skirts workshop you’ll learn how to create a very large variety of skirts. 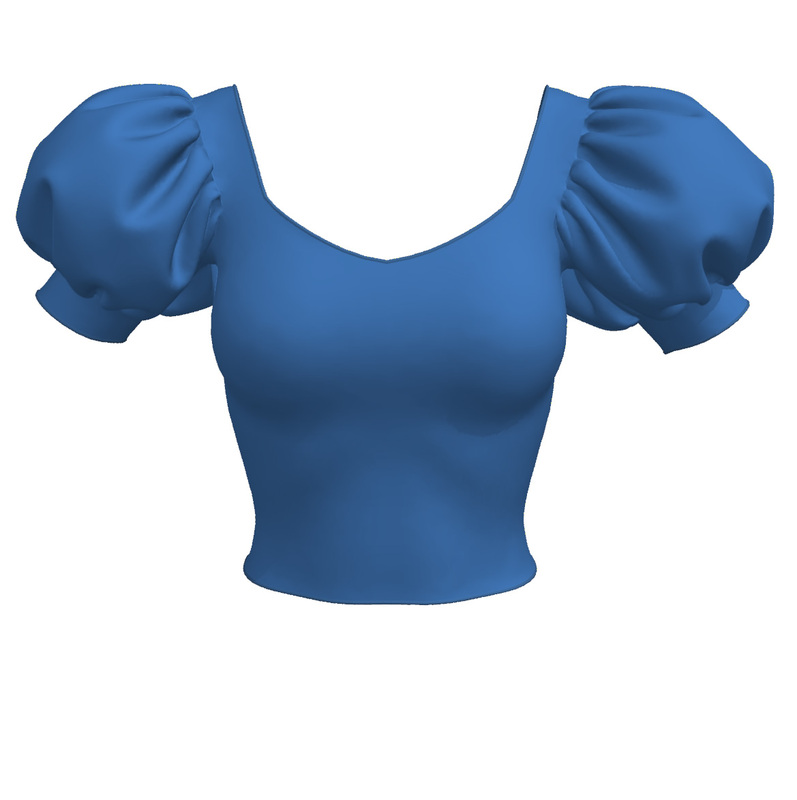 You can later use these to create various dresses as well. 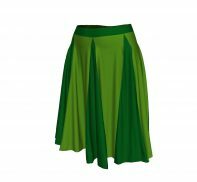 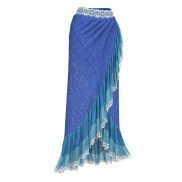 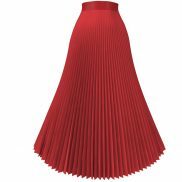 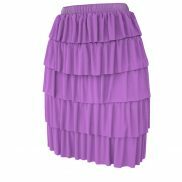 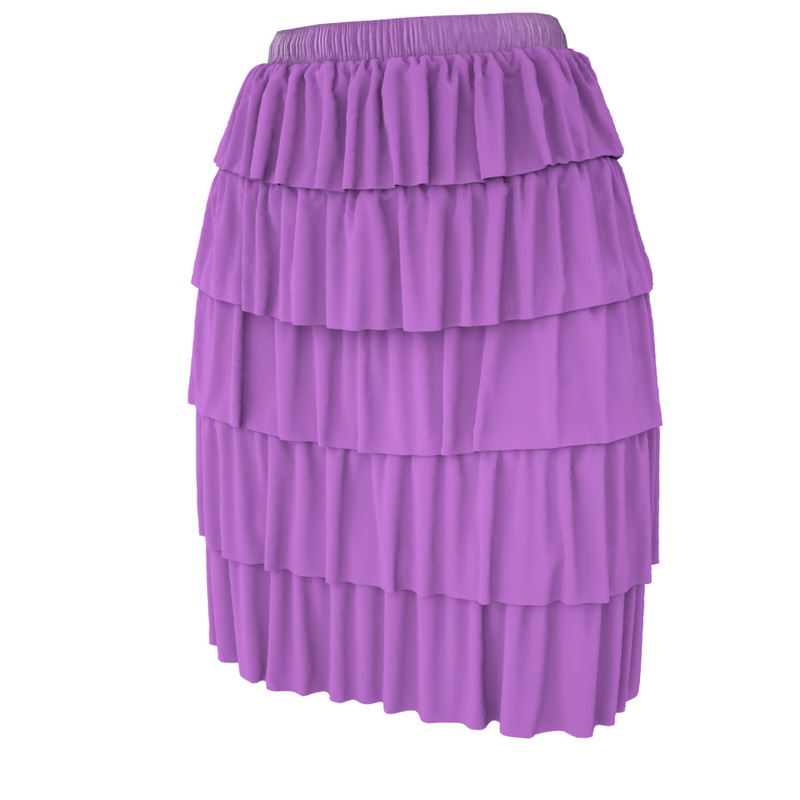 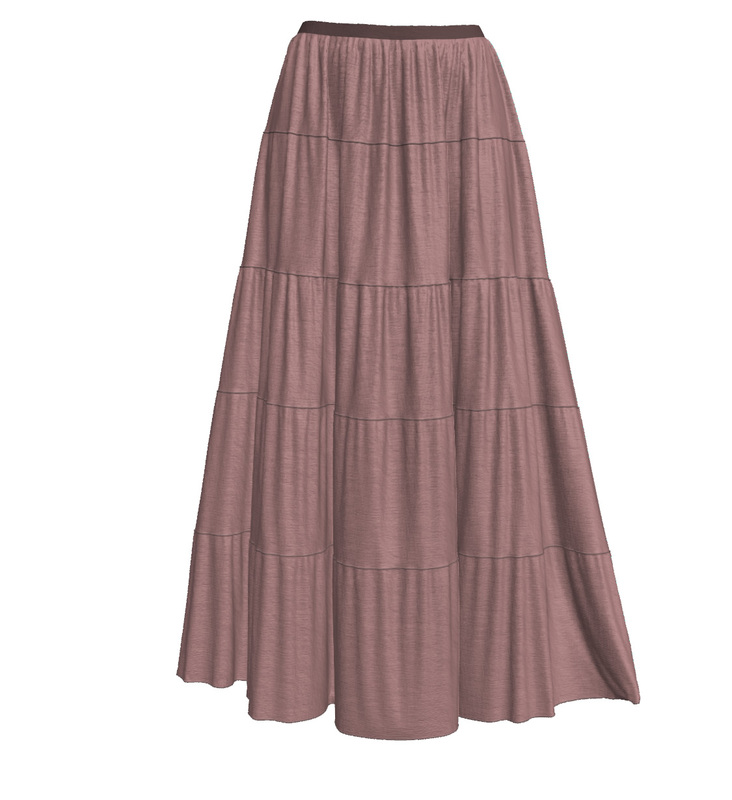 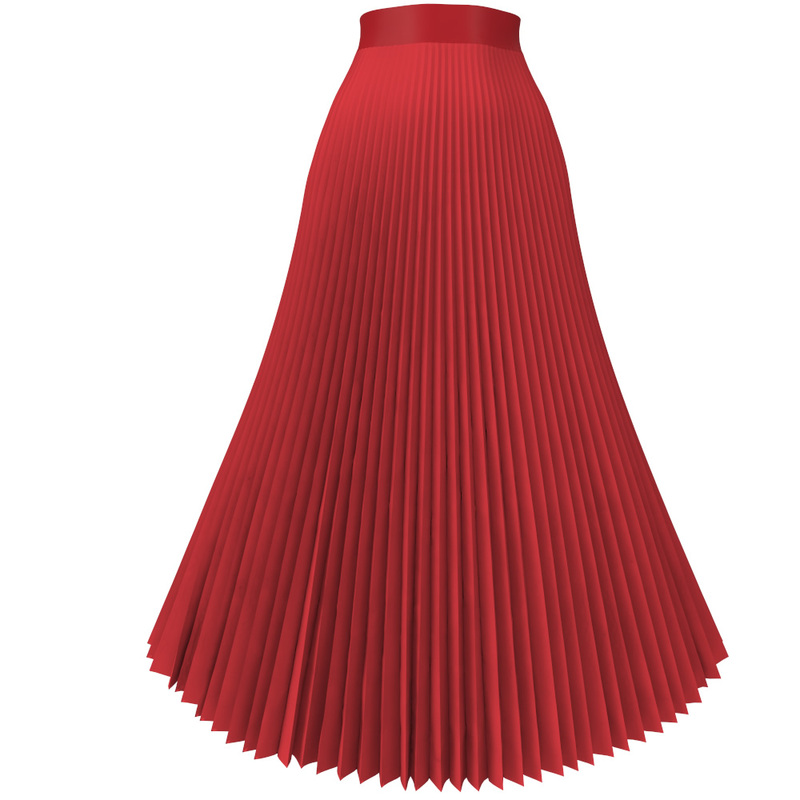 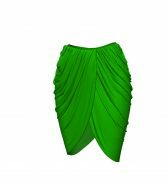 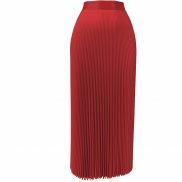 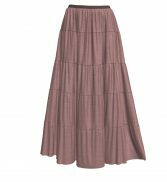 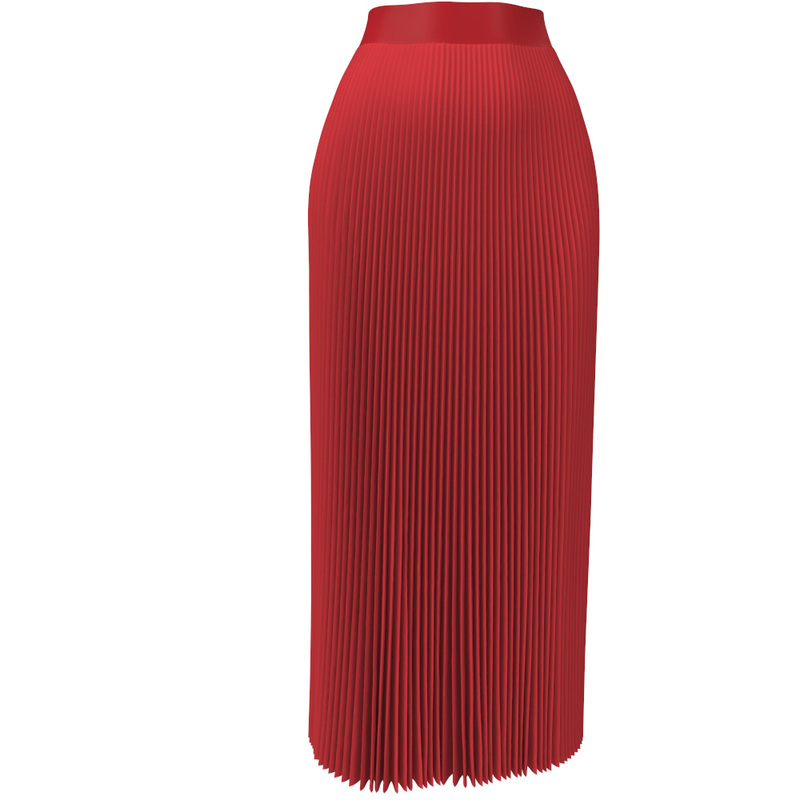 You’ll also discover the easiest way to create knife pleats, rolled organ pleats, box pleats, a box pleated skirt with a yoke, stitched-top box pleats, how to quickly create an accordion pleated skirt and a sunburst pleated skirt. 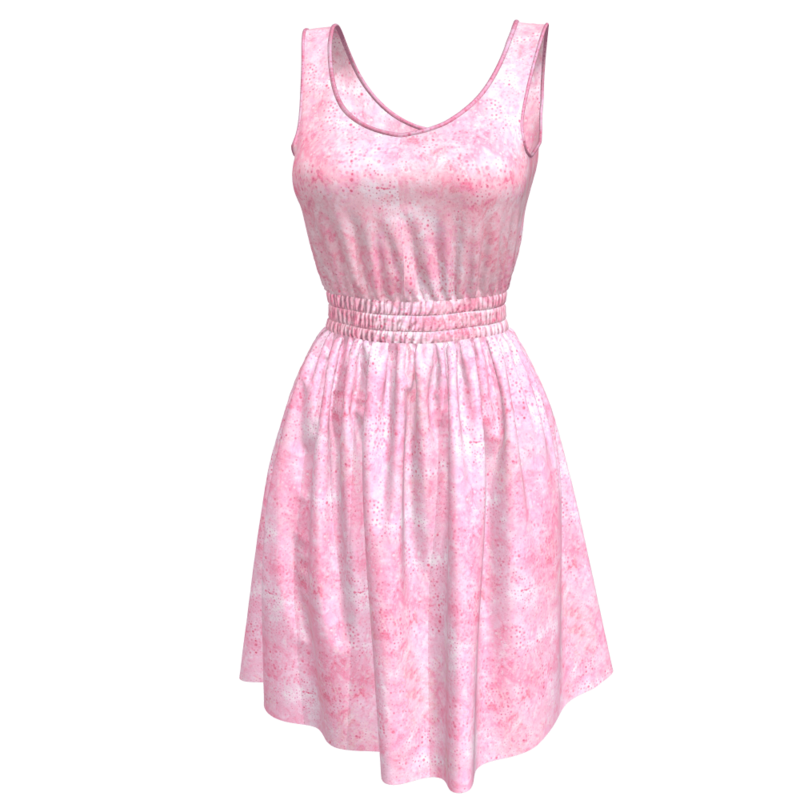 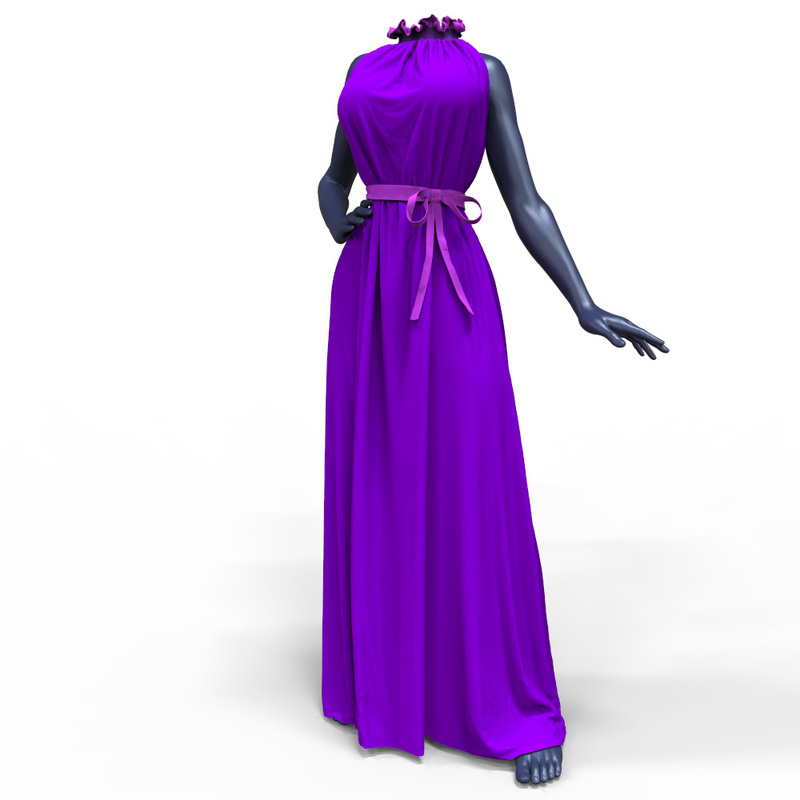 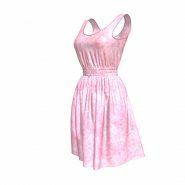 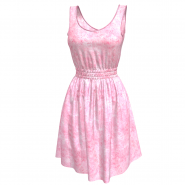 You’ll learn in this Marvelous Designer dress making workshop how to create 16 kinds of dresses. 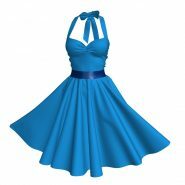 By following these tutorials you’ll know how to make a corset, corset strings, regular and fancy large ribbons, off-the-shoulder puffed sleeves, a gathered skirt, gores, how to pin up a skirt, fancy open hanging sleeves, a crossing top and side-crossing neck straps. 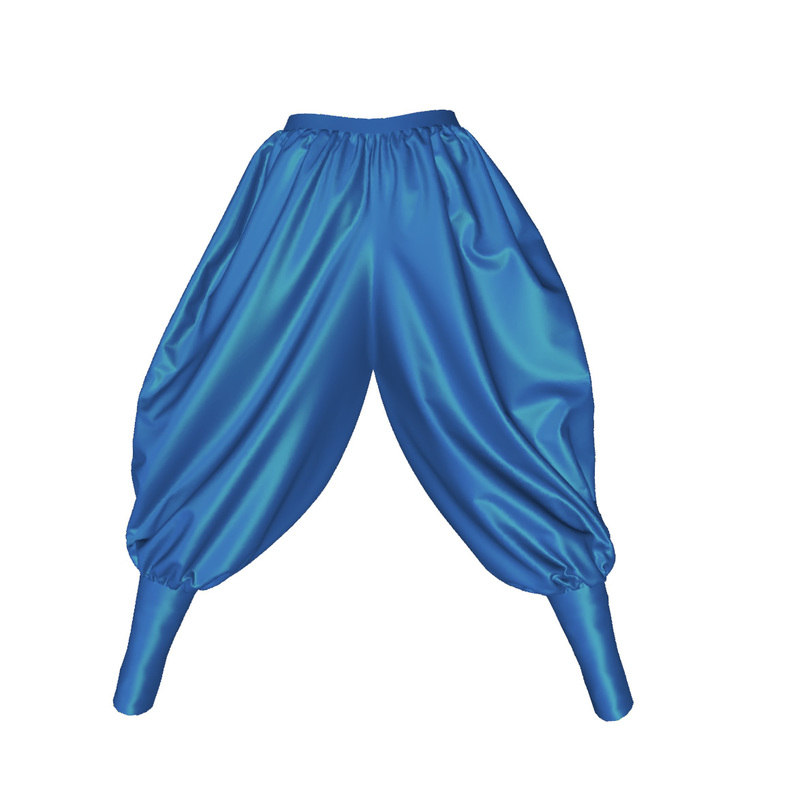 In our Marvelous pants workshop you’ll learn to create all the kinds of pants you will need. 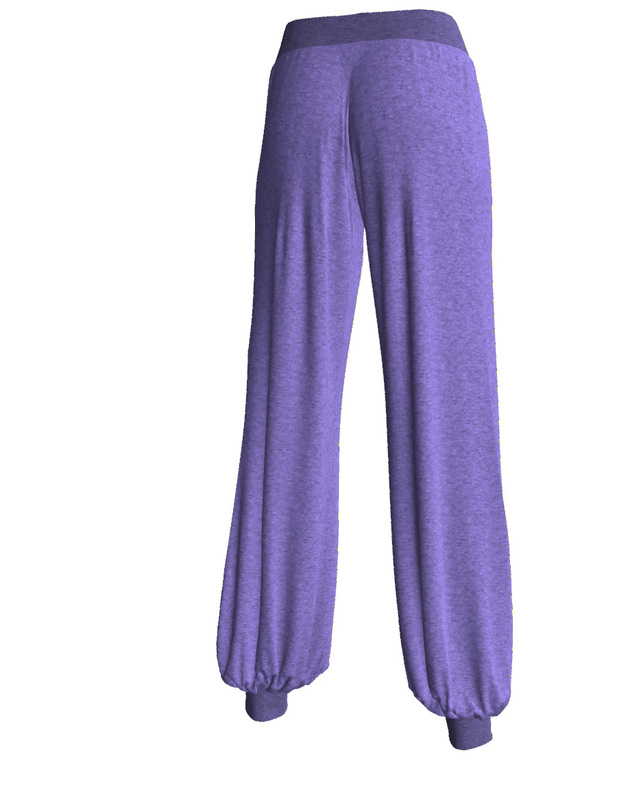 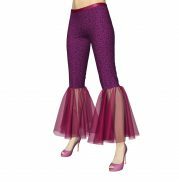 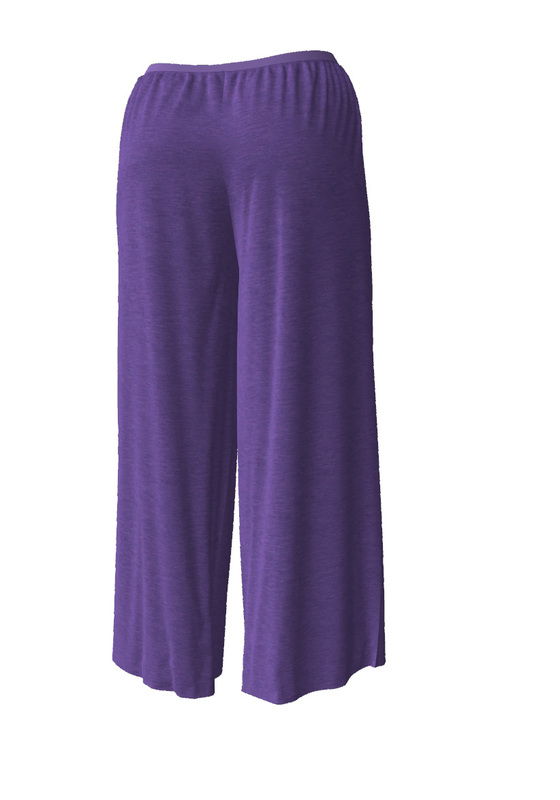 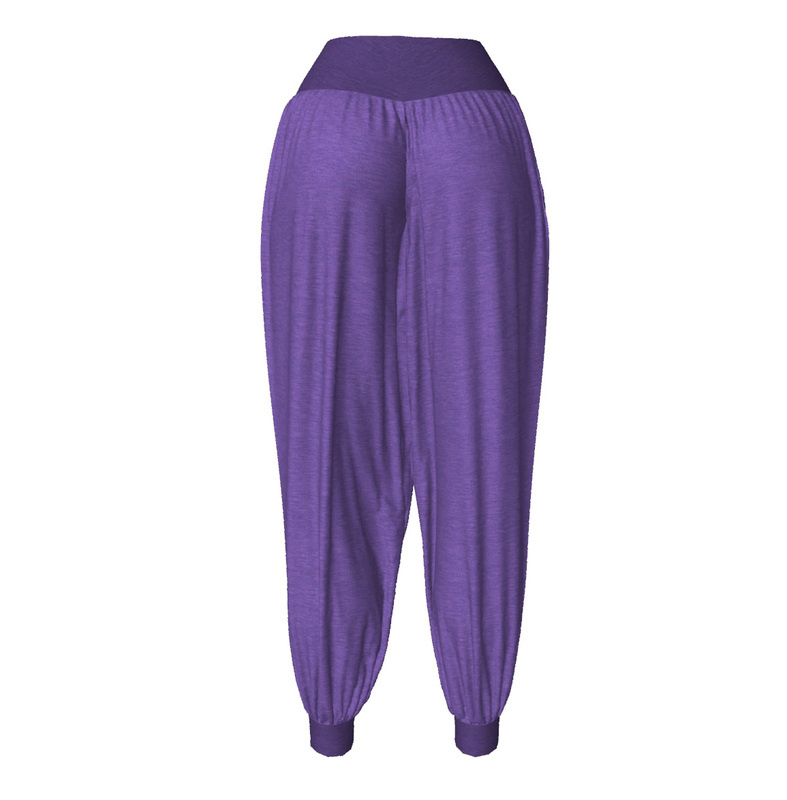 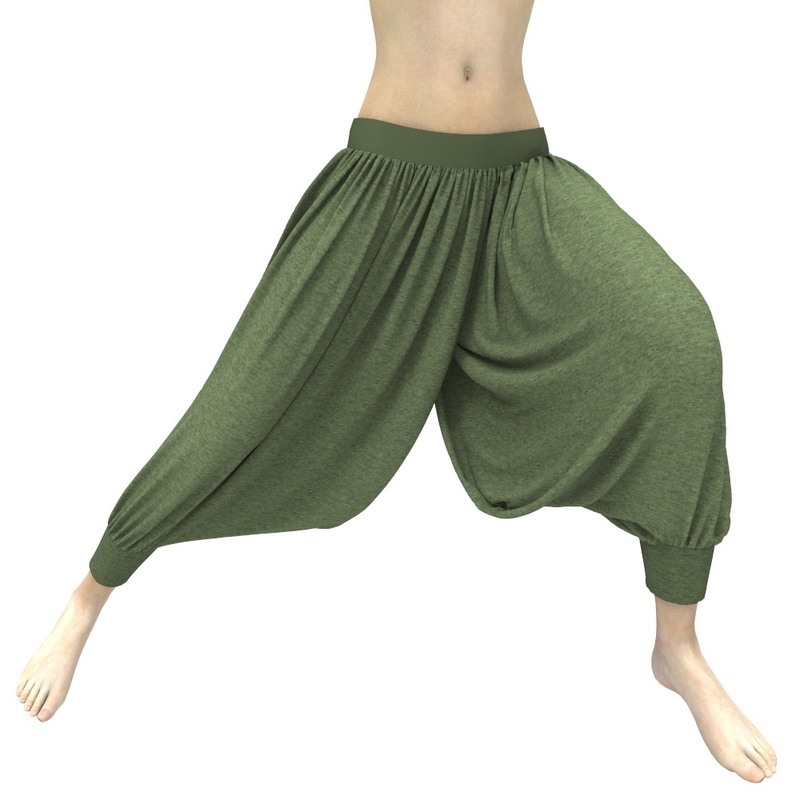 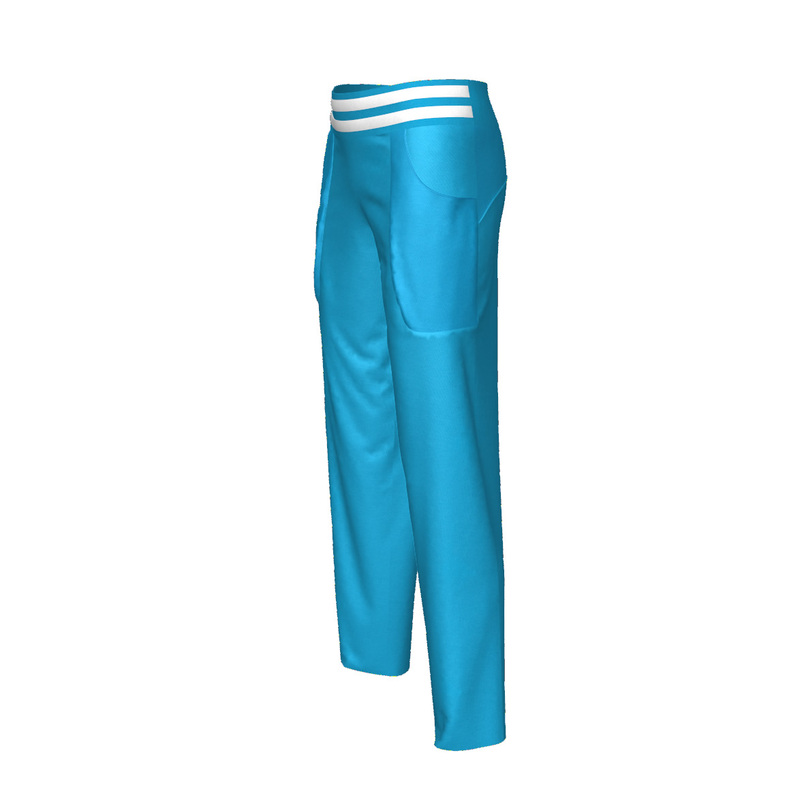 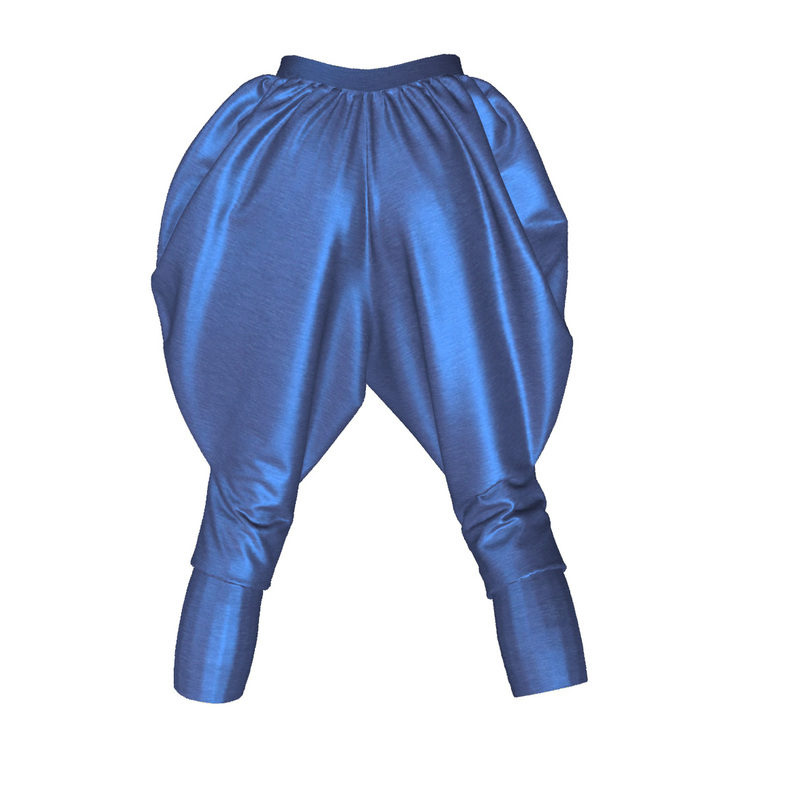 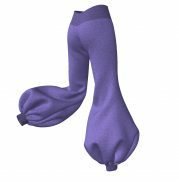 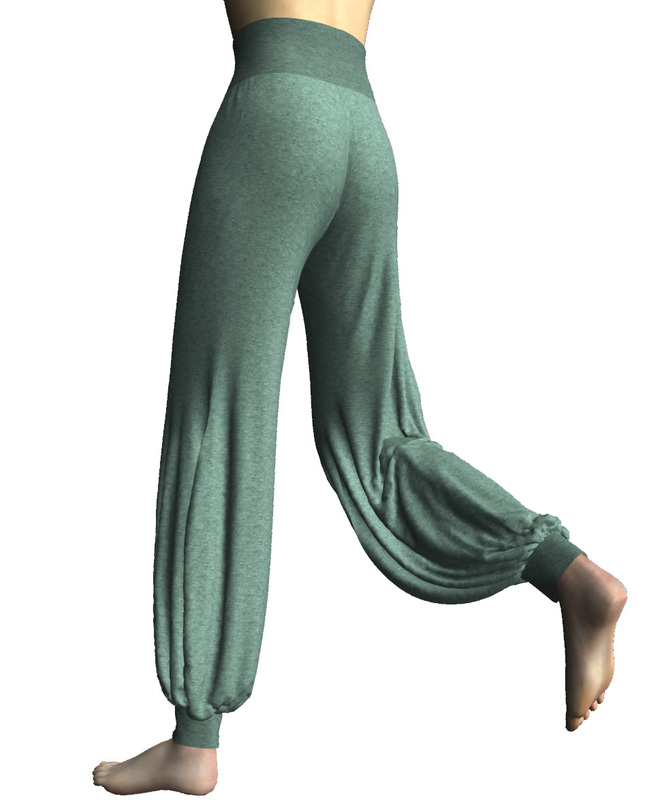 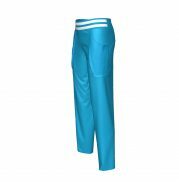 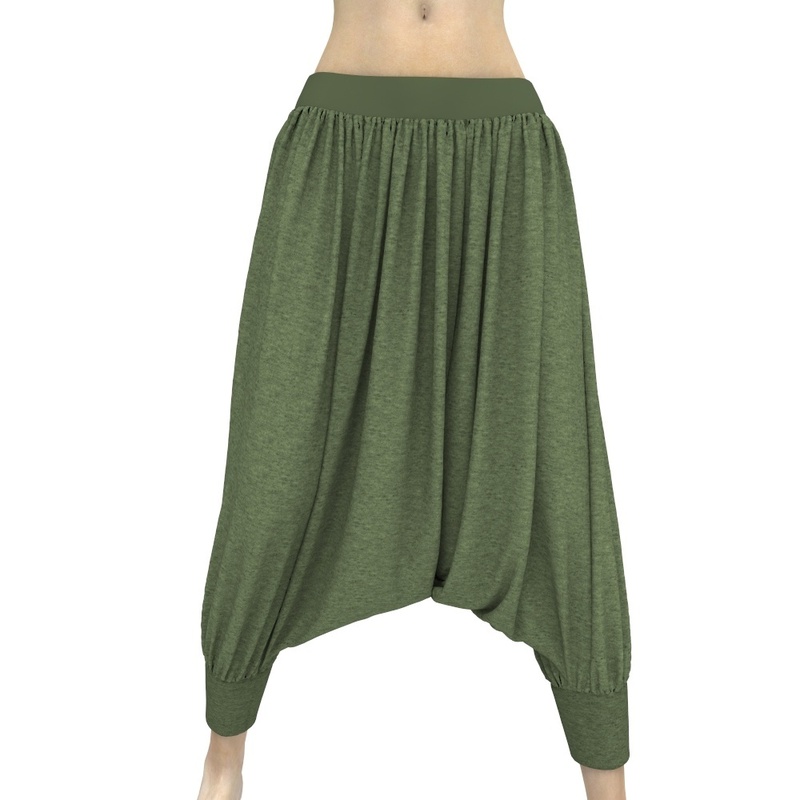 We’ll go through creating several kinds of loose soft hanging yoga pants, puffed Royal pants, two kinds of Ottoman pants, skin tight leggings with holes (which can be turned into stockings when using a net texture). 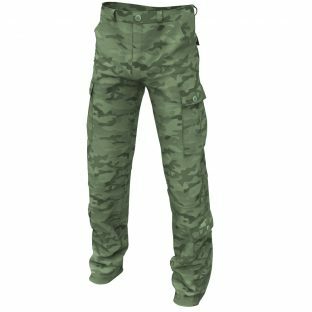 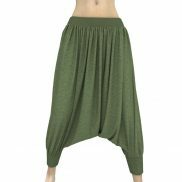 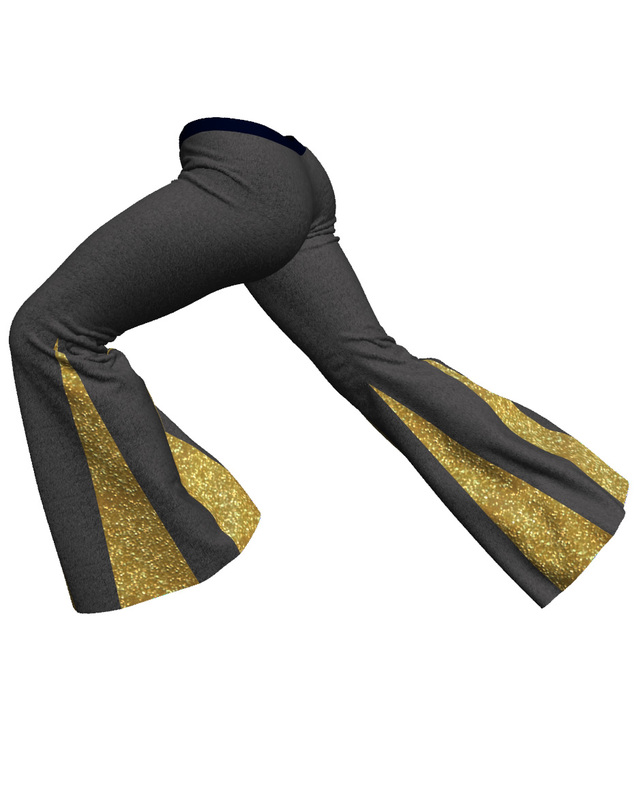 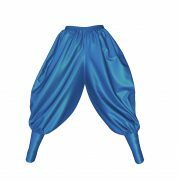 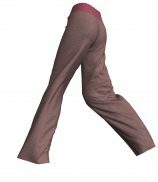 Additionally, you’ll learn to create a pair of exercise pants with a shirred waistband, the principles of harem pants, cool looking gored dance pants, fancy flared bottom pants and a pair of trendy sport pants with side pockets. 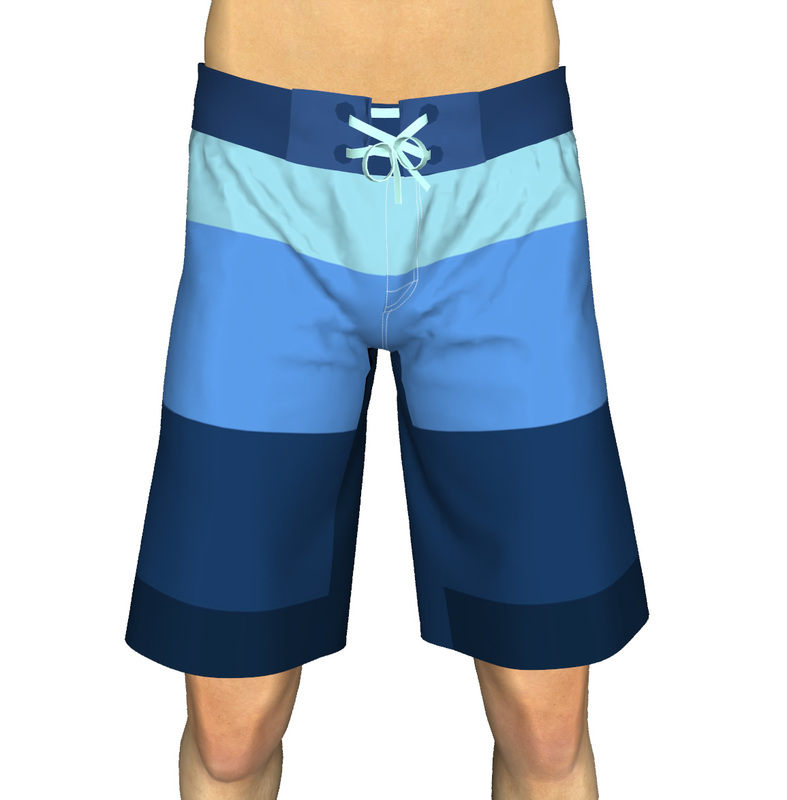 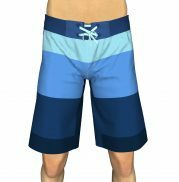 I’ll teach you how to make mens’ swim / sport shorts, mens’ board shorts with a ribbon, a pair of trousers (which, depending on the texturing you do, could be leather pants or jeans). 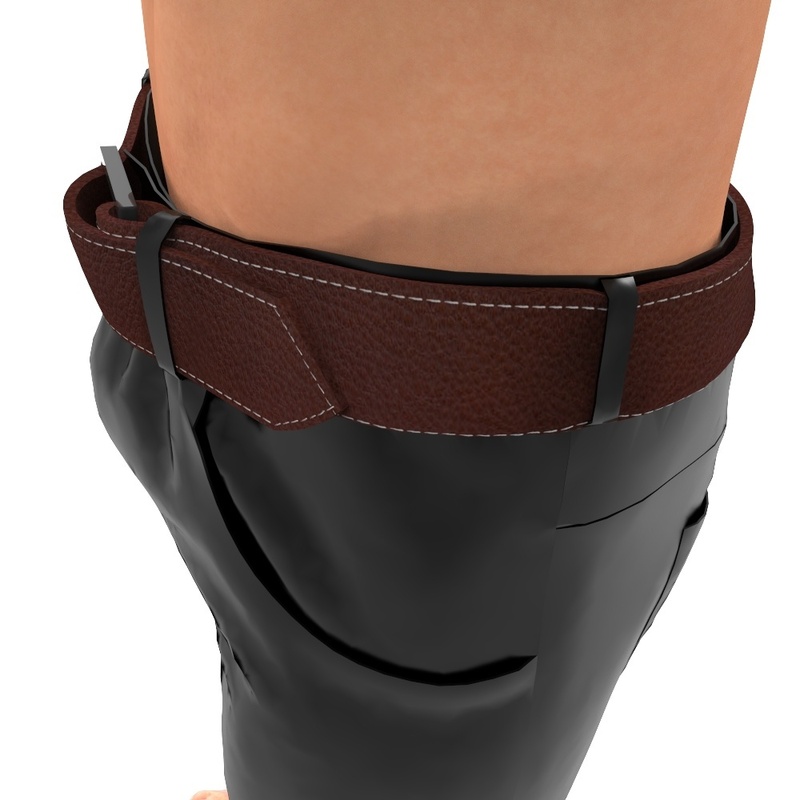 You’ll even learn how to make a belt (including a placeholder buckle) in Marvelous Designer and how to thread the belt through the buckle and attach it properly to the pants. 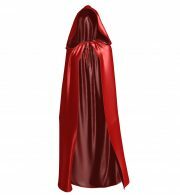 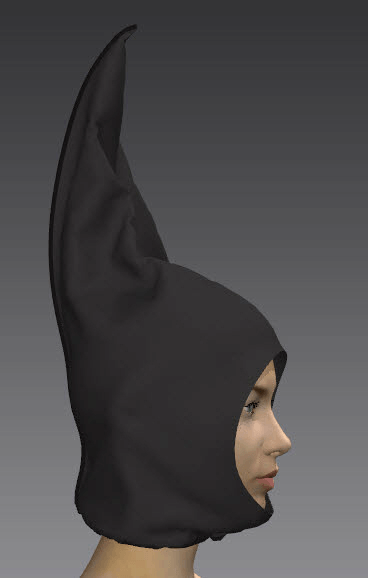 In this Marvelous Designer Hoods & Hats workshop you’ll learn how to make different shaped hoods, pointed hoods, standing up hoods, long pointed hanging hoods, a robber’s mask, a hoodlum hood, closed hoods, elastic-rim hoods which fit snugly around the face, plus a 2-piece hood and a 3-piece hood, which is commonly used for jackets. 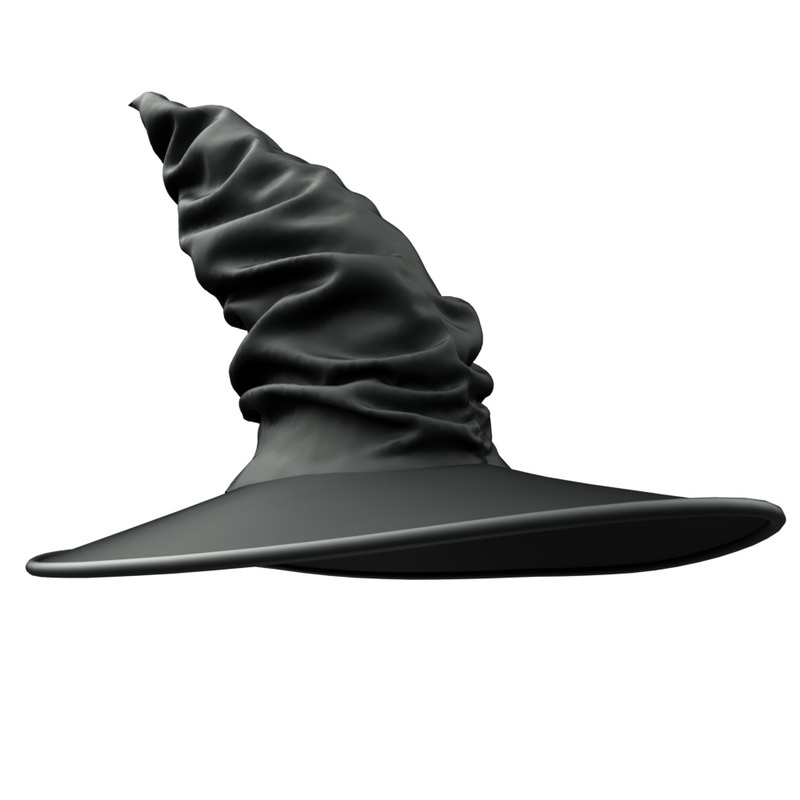 You’ll also learn how to create a cap hat, a beanie winter hat, a cool looking witch’s hat and a floppy sunhat. 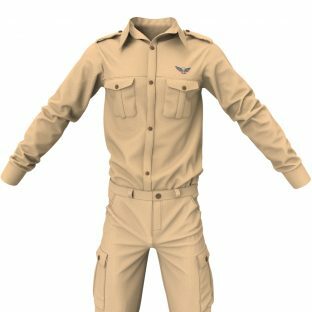 In this workshop you’ll learn how to make military cargo pants, a raglan military combat shirt, as well as an officer’s shirt. 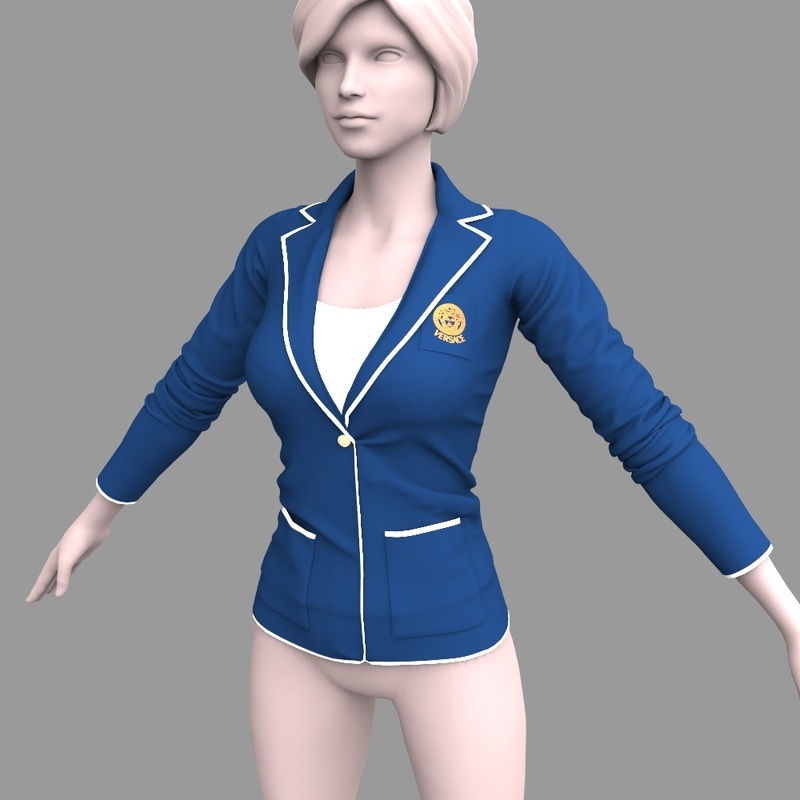 Change the colors, patterns and add any badge to create a police officer uniform or other civil service uniform. You’ll also learn how to create fake piping, box pleated pockets and tricks how to stuff them so they stick out. 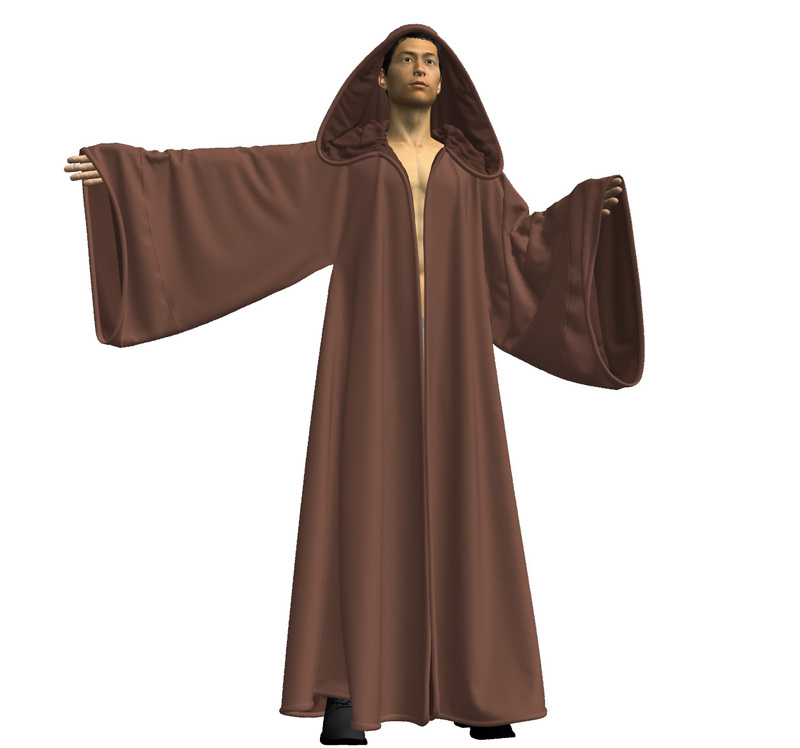 Last of all, I’ll teach you how to create a cuddly bathrobe and how to tie the knot and modify the physical properties to keep it from opening up again. 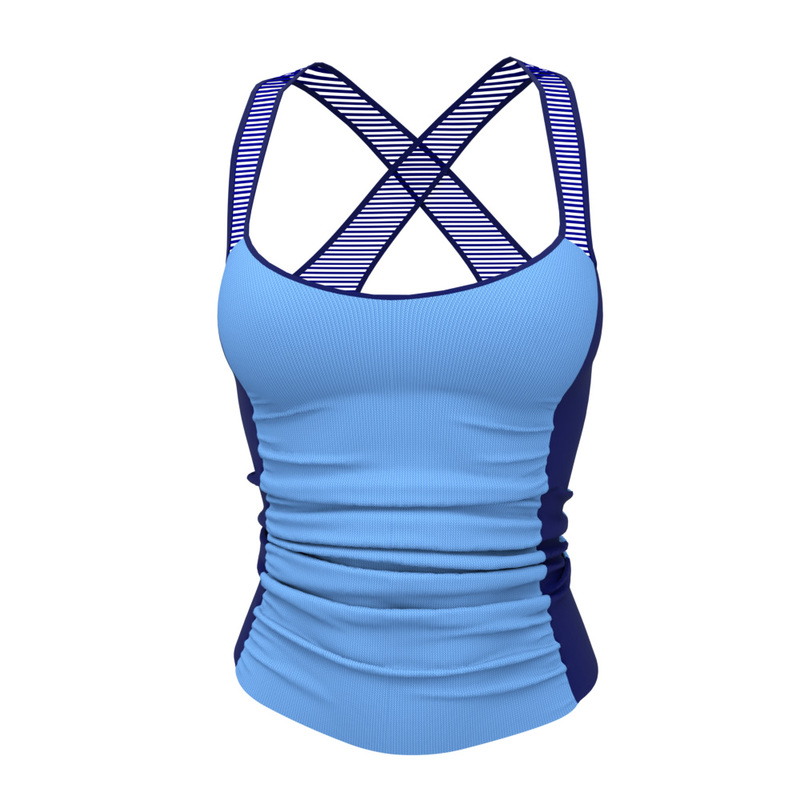 “Camille does an amazing job of simplifying a program that might seem overwhelming to a beginner. Yes, I Want this Marvelous Training Program - Enroll Me! Get lifetime ongoing access, on-demand, to all our Marvelous Designer Beginners Course & Advanced Workshops. 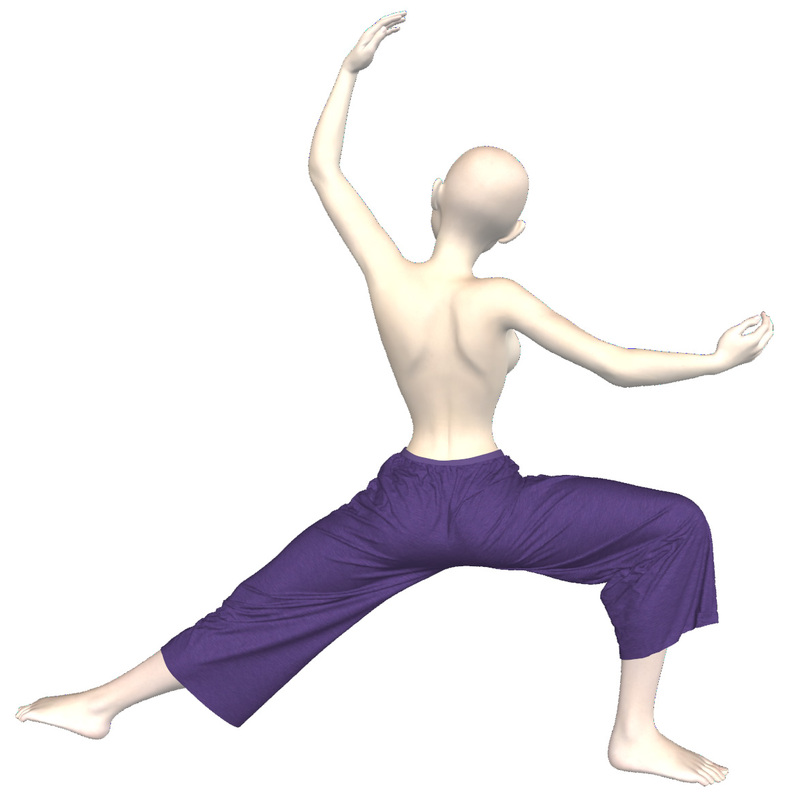 Learn what you need when it’s needed, no stress. 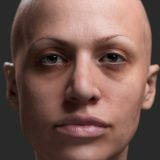 If you are a Student or a struggling artist use coupon “Success2019” to save $200! 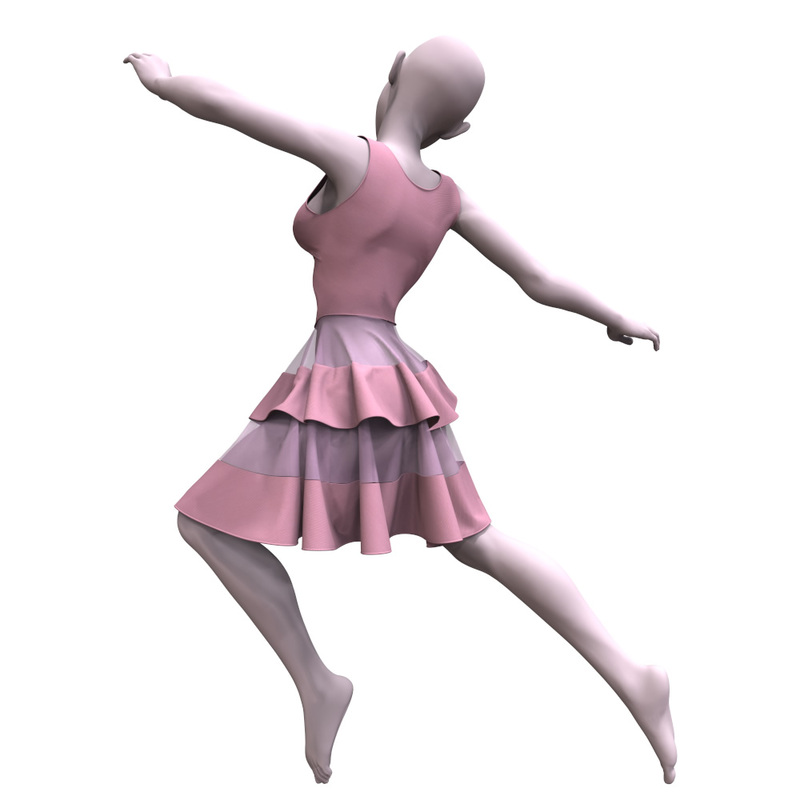 This training program license is for Artists (Single User). You get unlimited lifetime access to watch the training videos as often as you need, whenever you need. 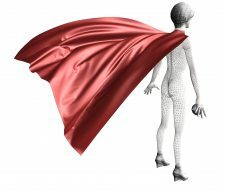 ALL Training Modules are available to you Online, On-Demand, so you can learn what you need whenever you need. We reserve the right to discontinue coupon or close the doors without prior warning. Master Marvelous Designer (lifetime access) - Enroll Now! 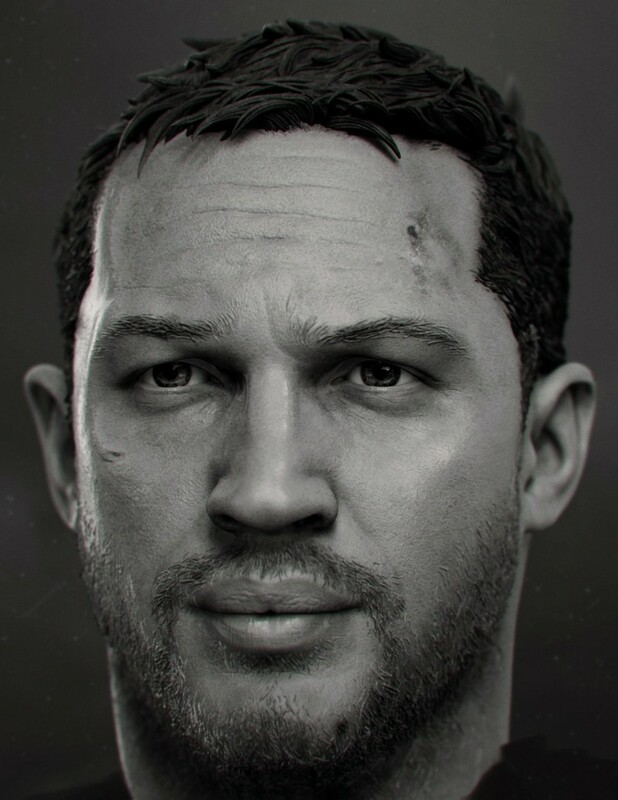 If you are a Student or a struggling artist use coupon “Success2019” to save a massive $200!